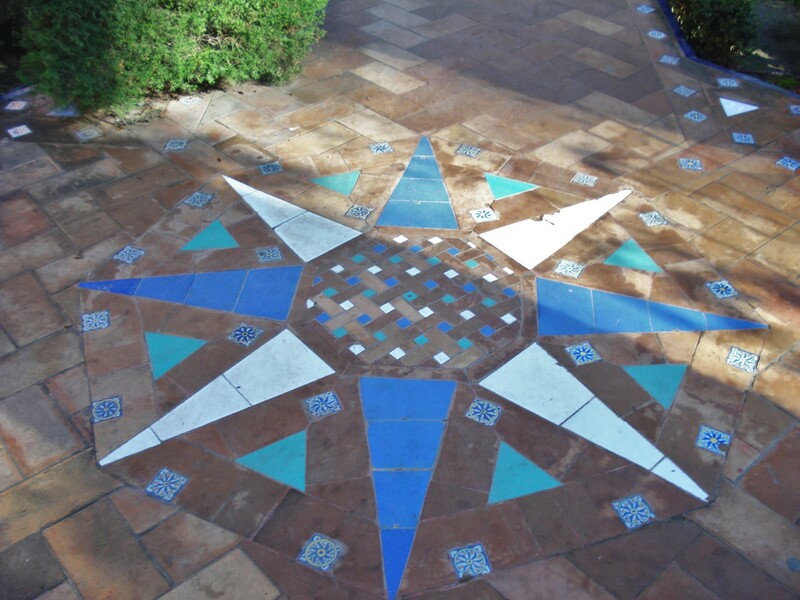 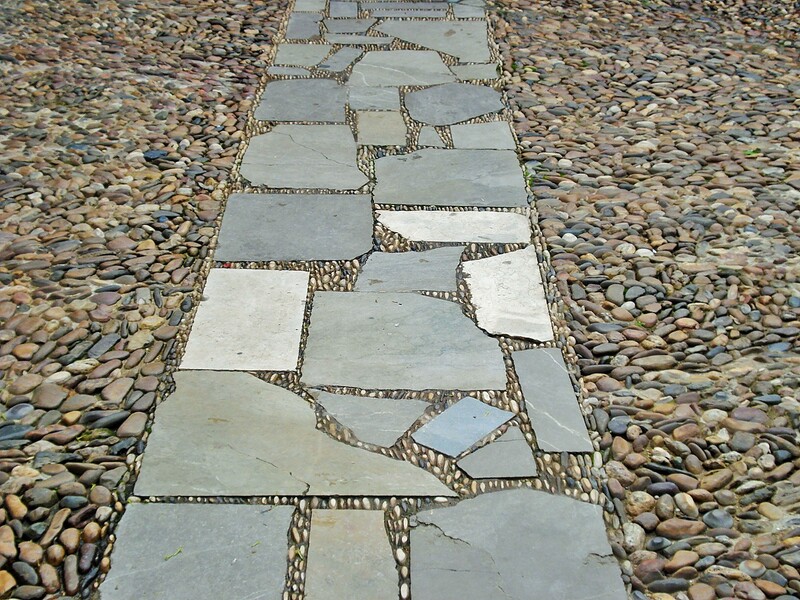 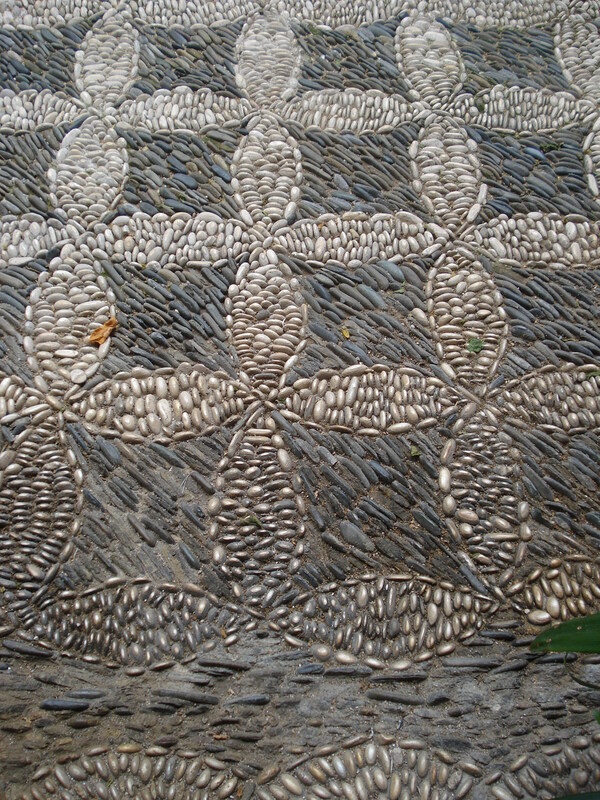 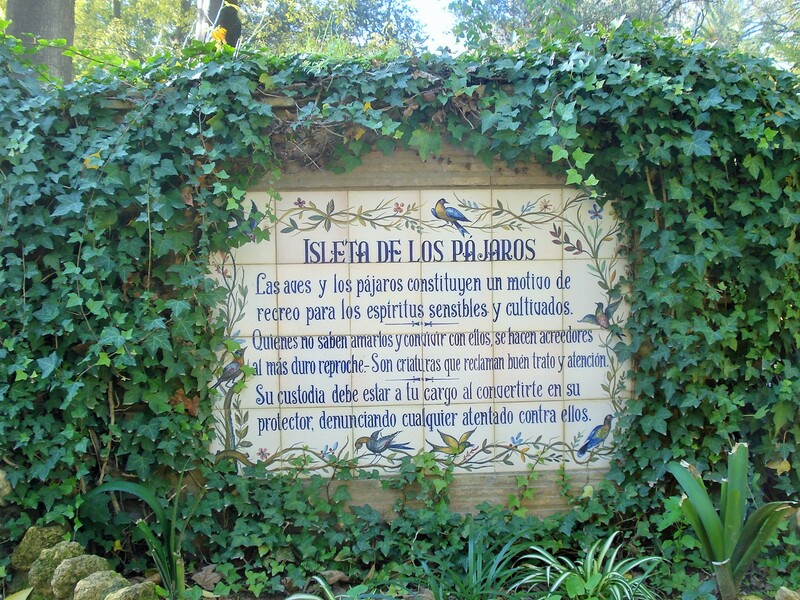 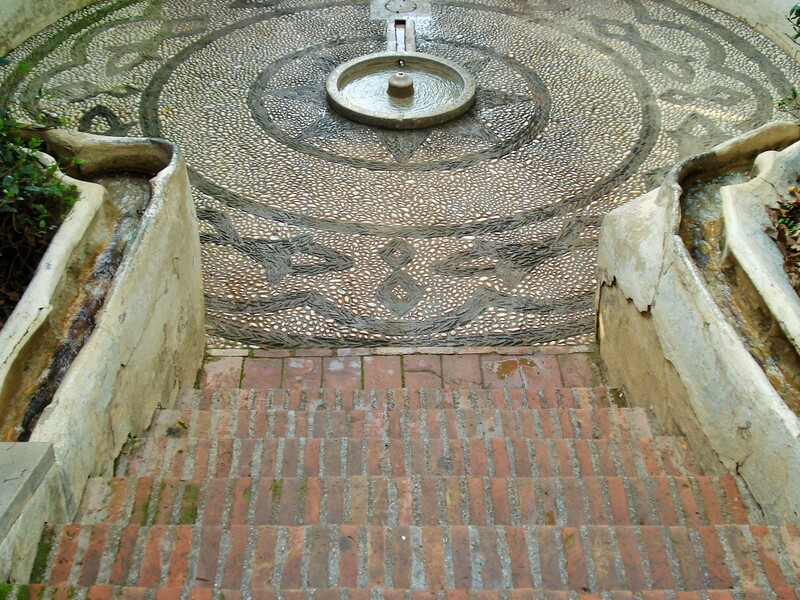 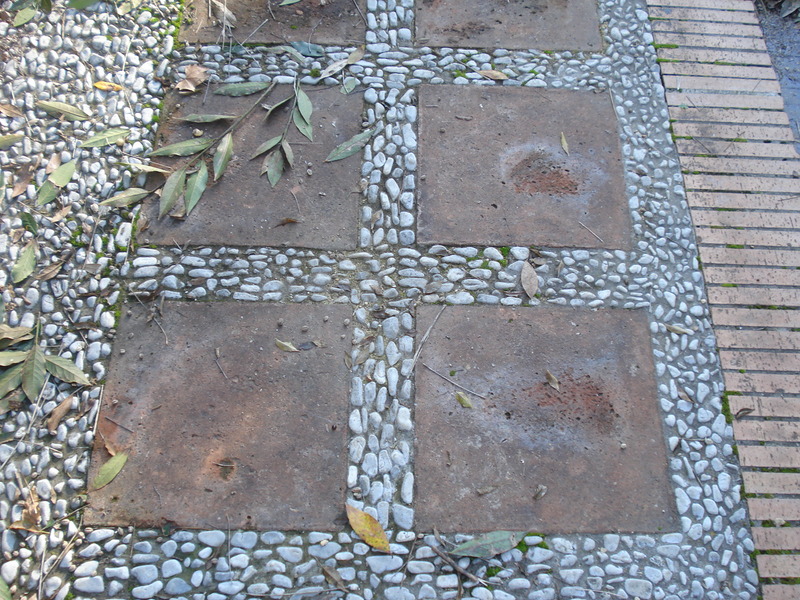 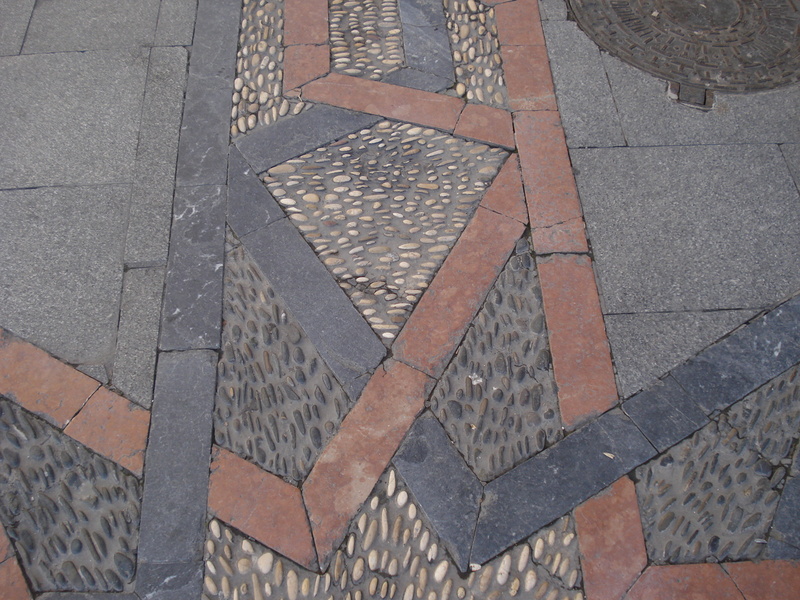 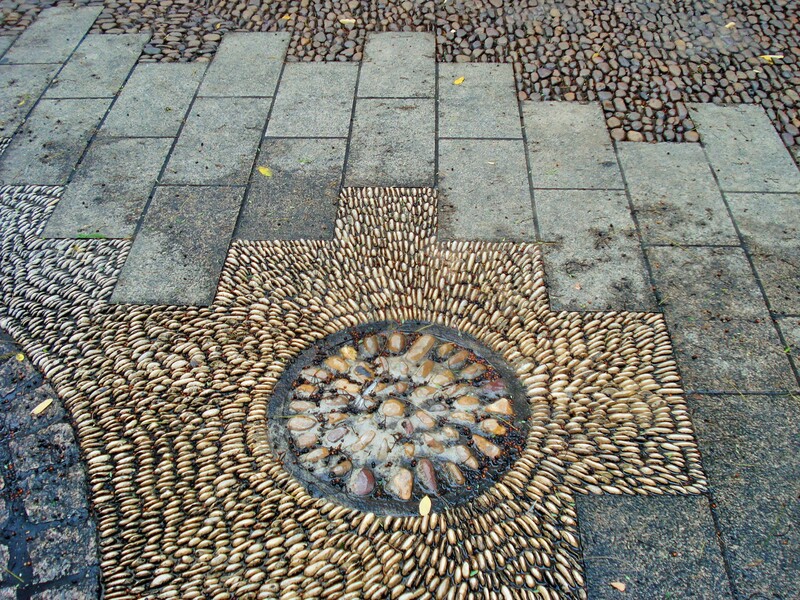 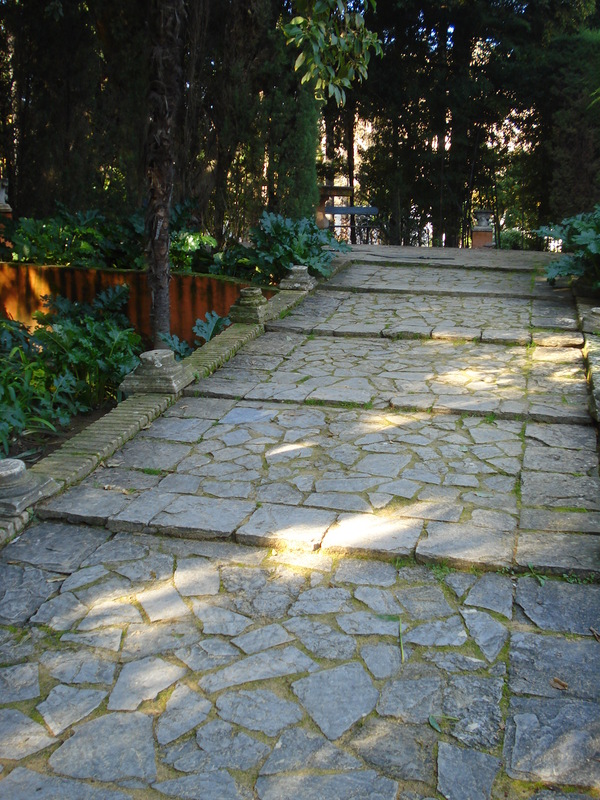 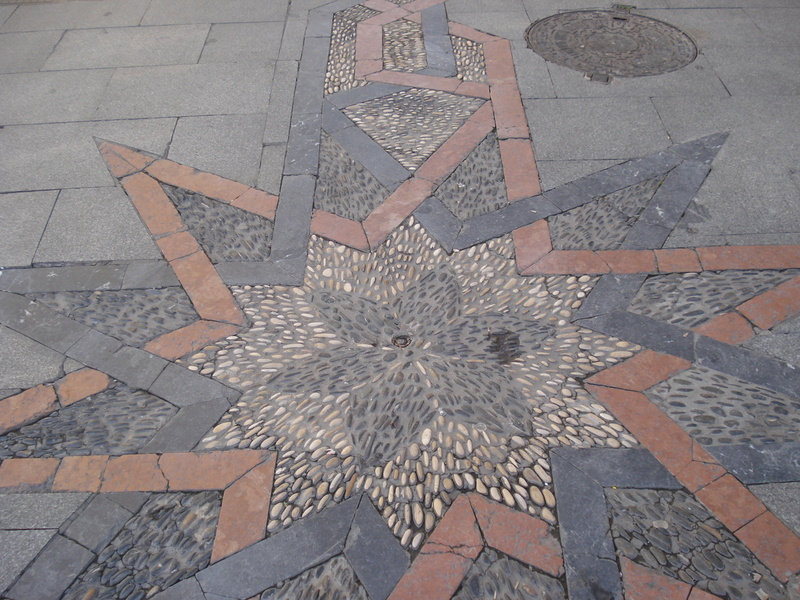 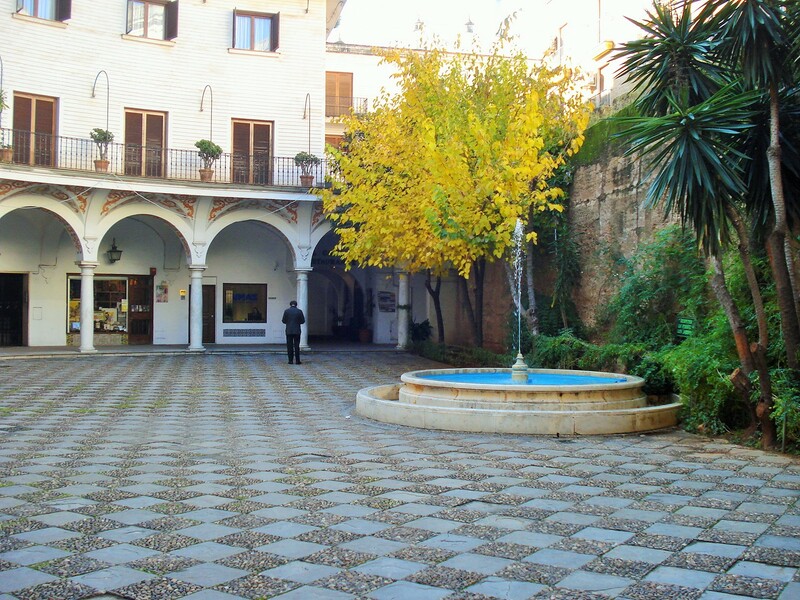 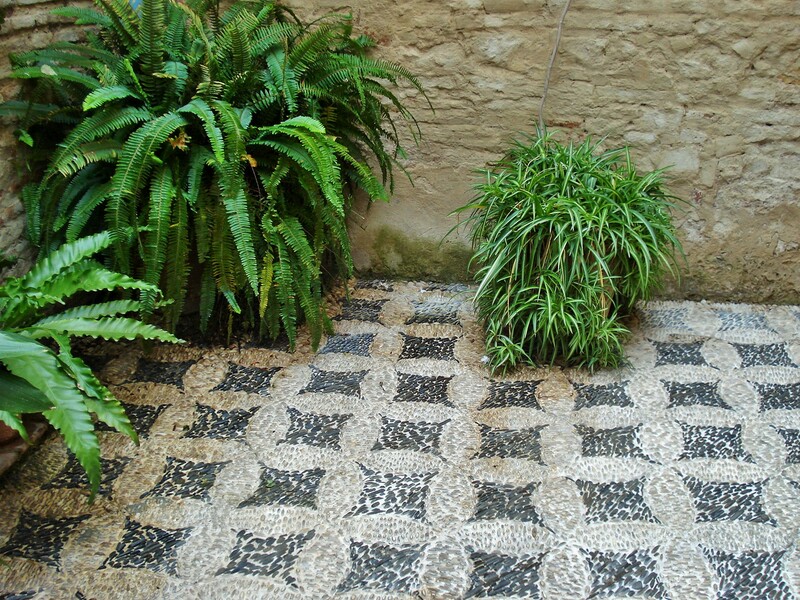 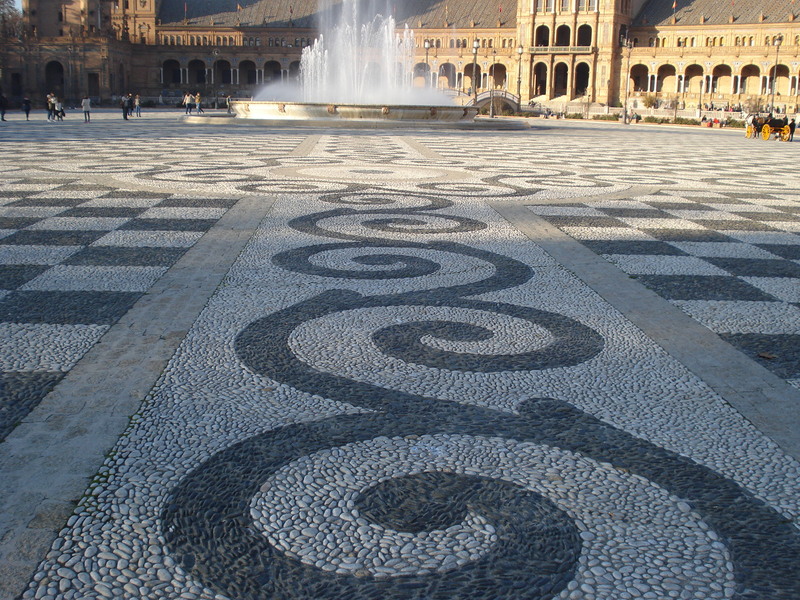 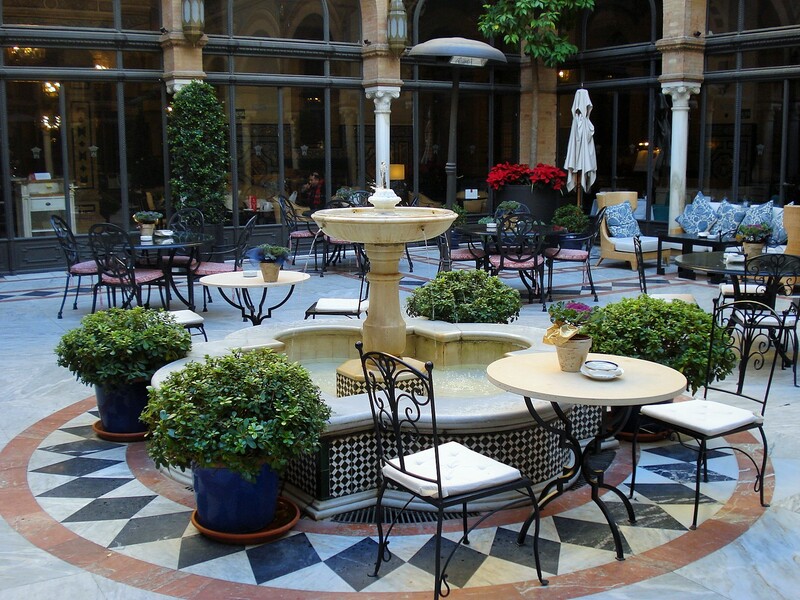 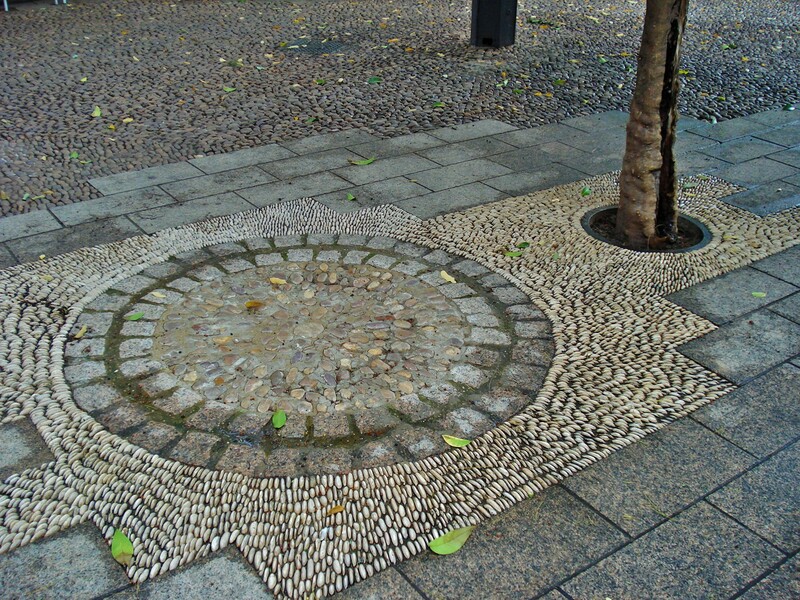 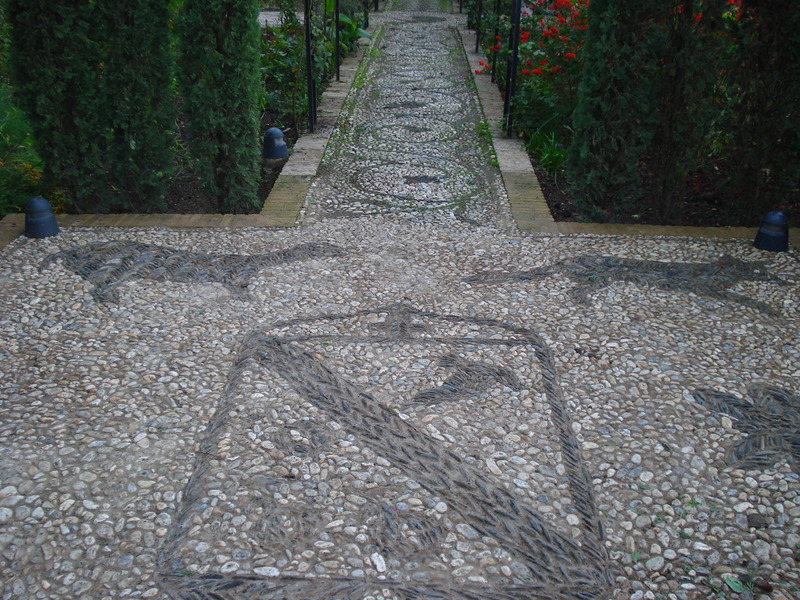 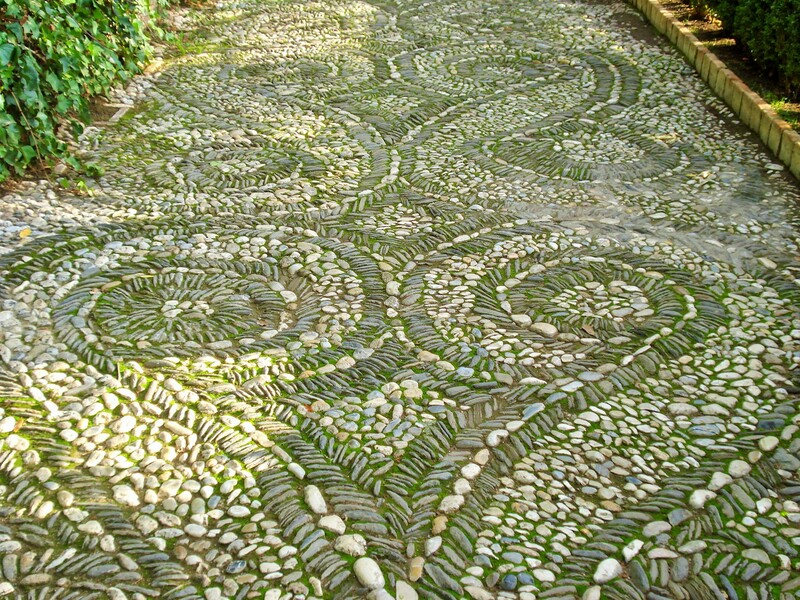 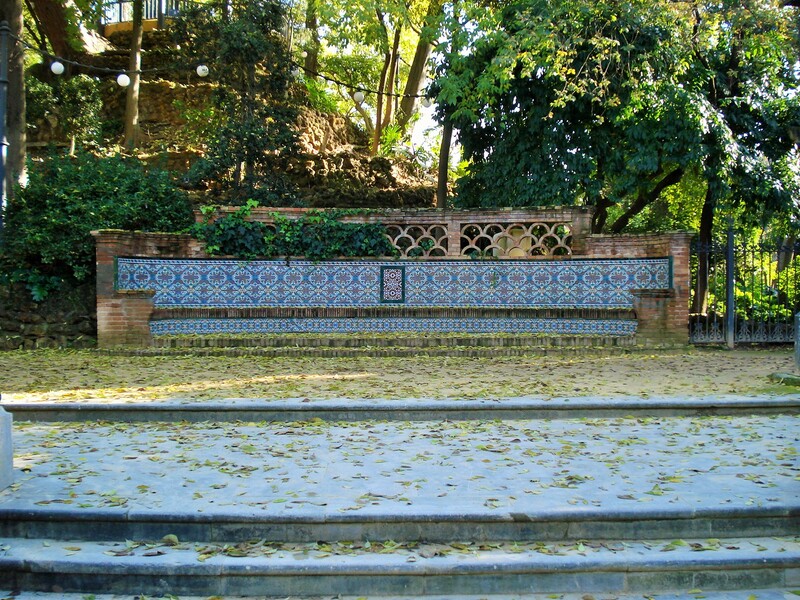 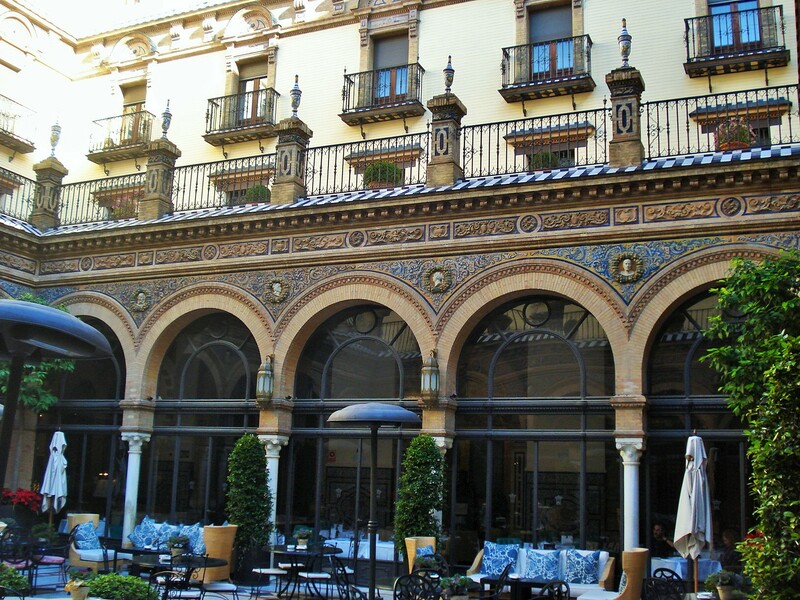 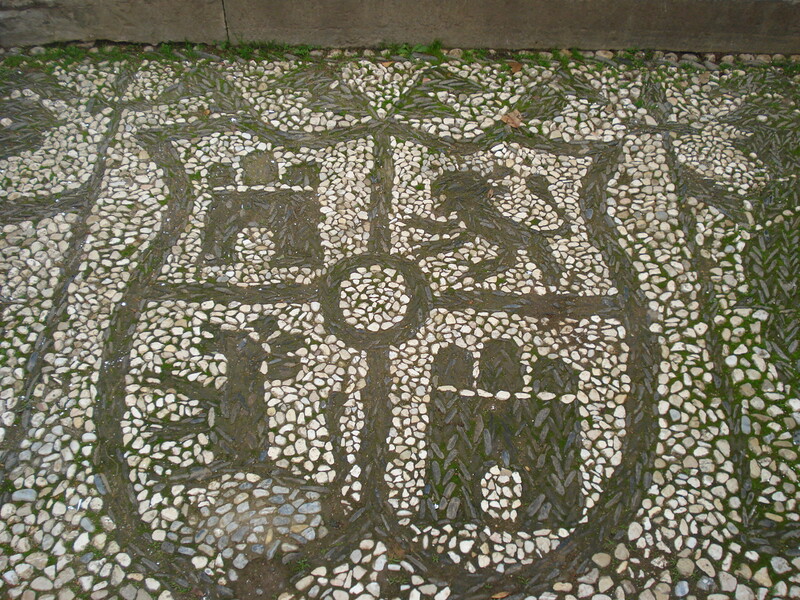 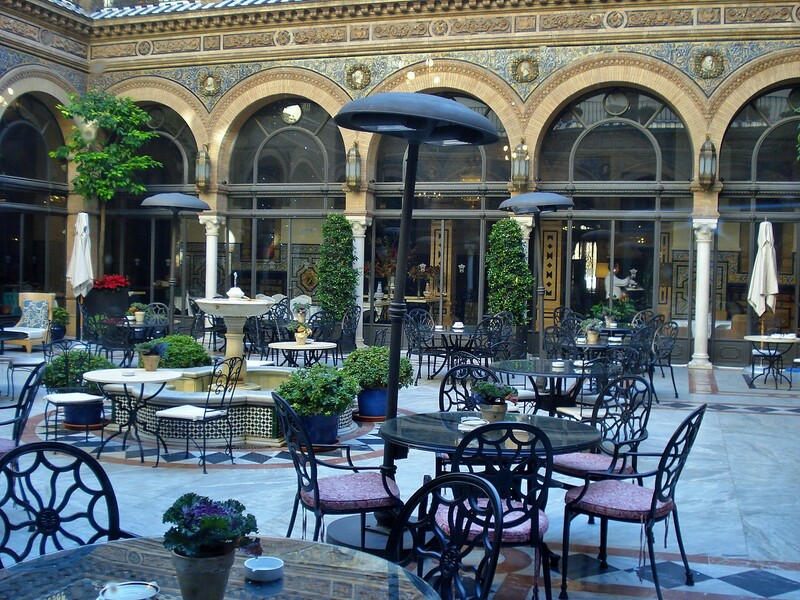 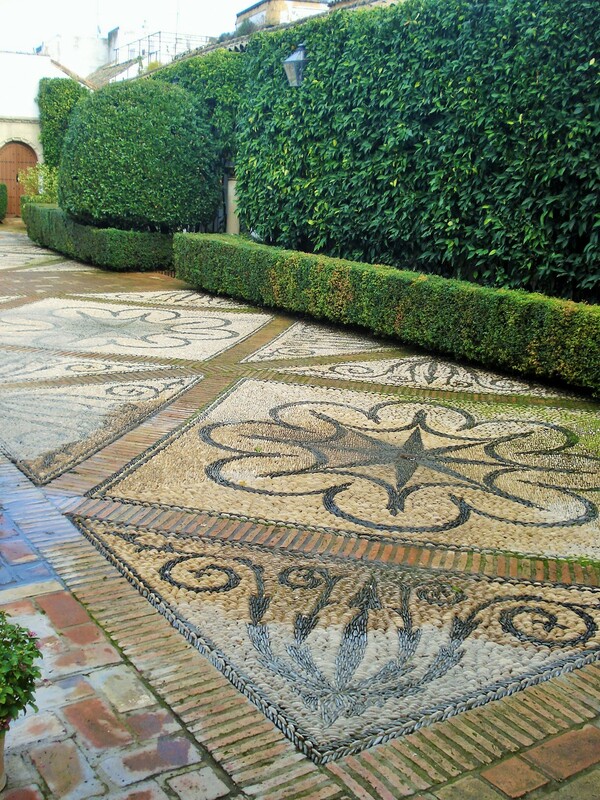 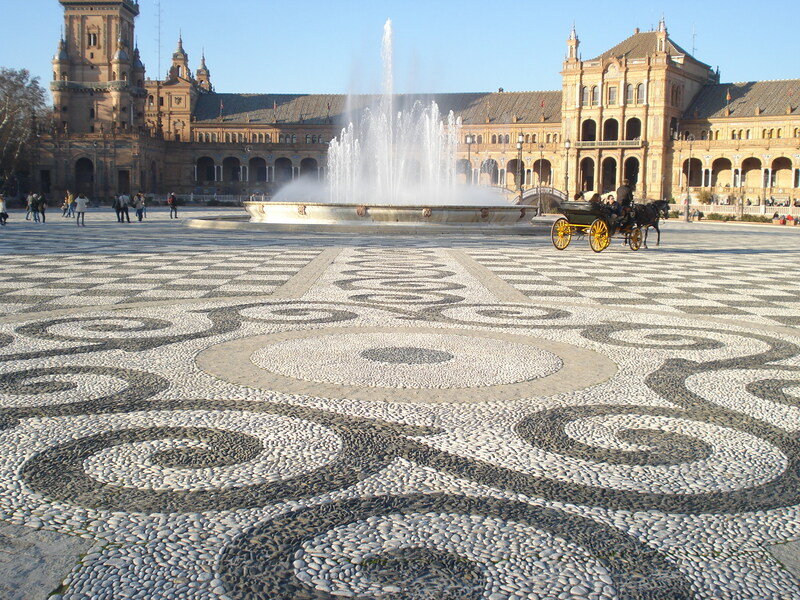 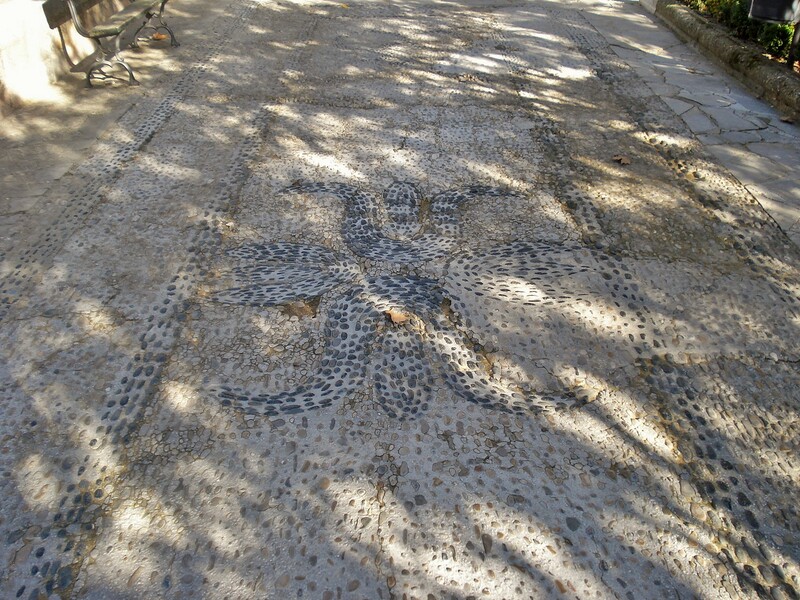 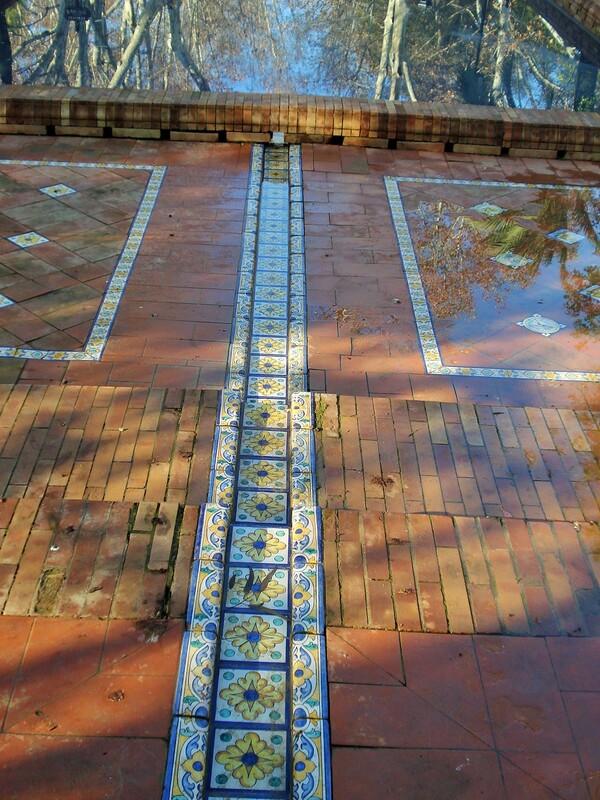 Found throughout the south of Spain is the use of intricate pebble designs not only in the patios and courtyards, but also in many public areas and city squares. 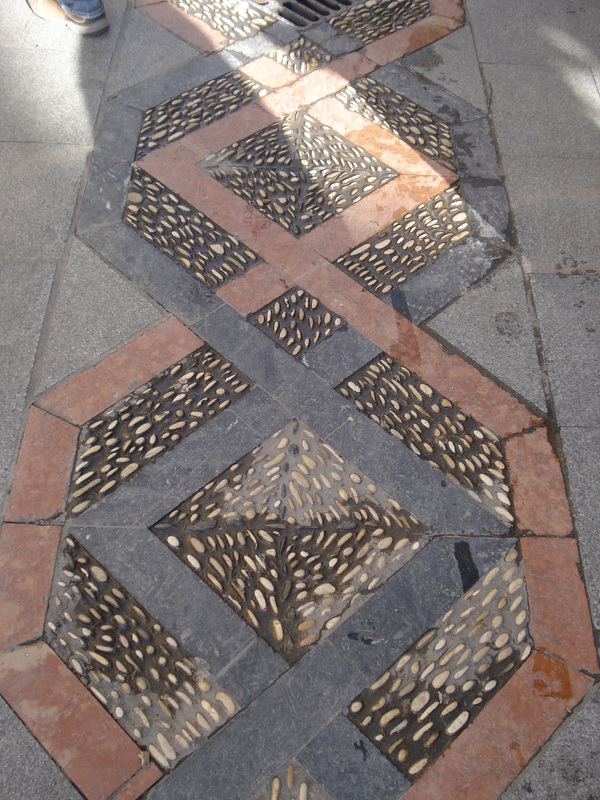 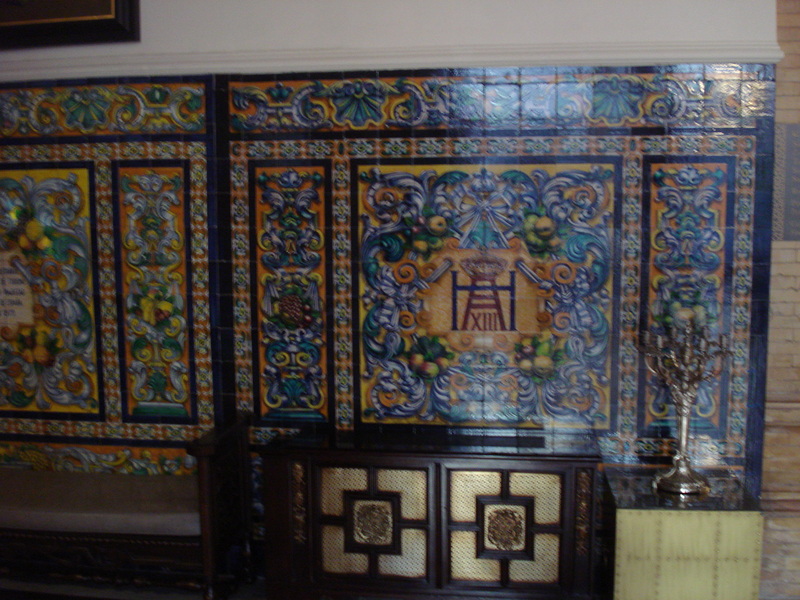 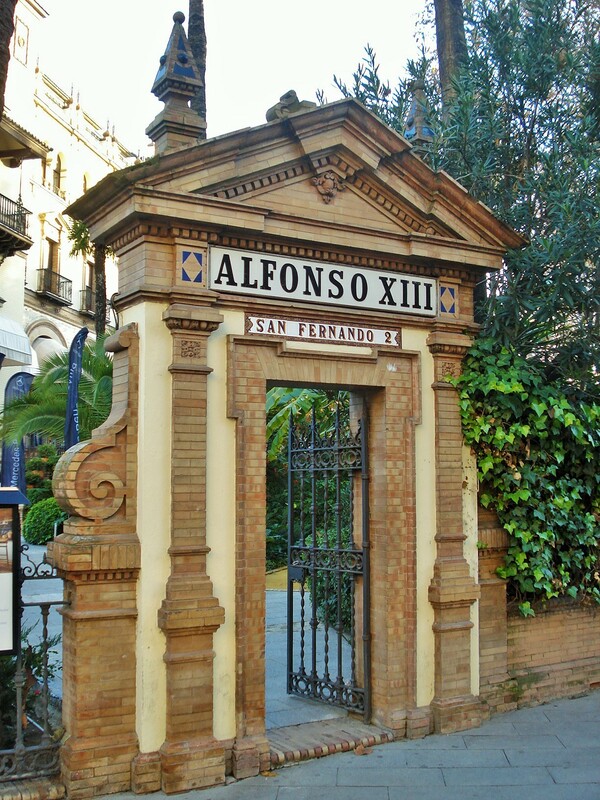 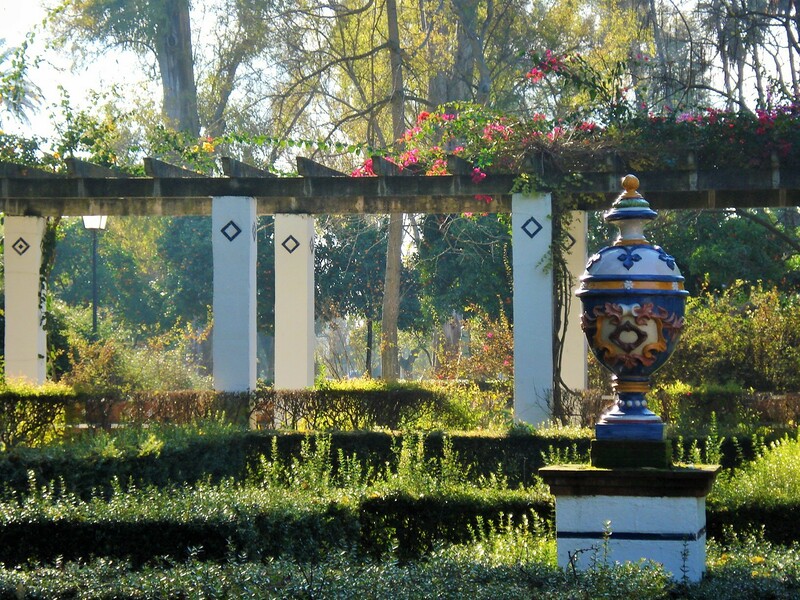 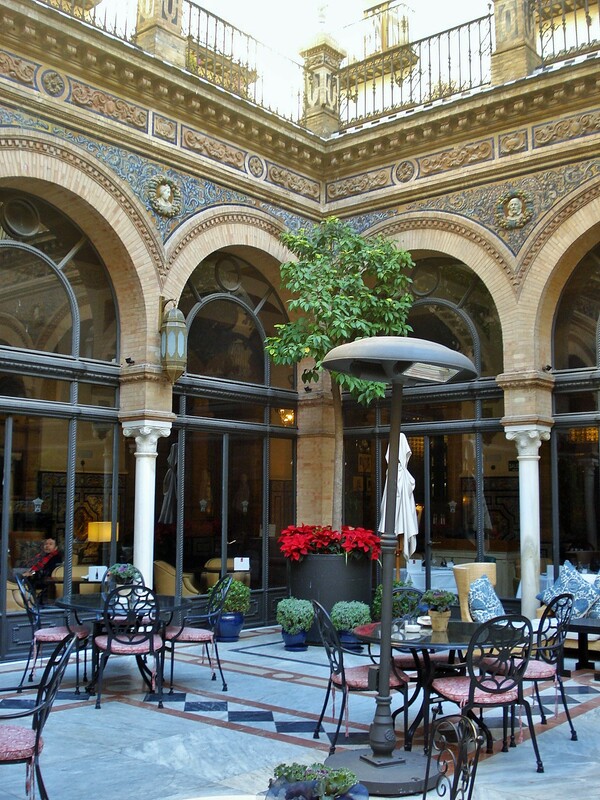 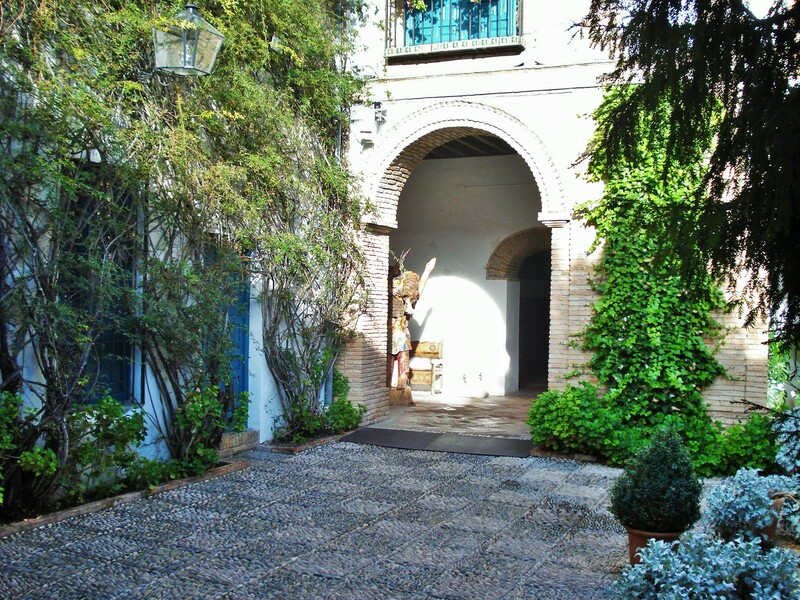 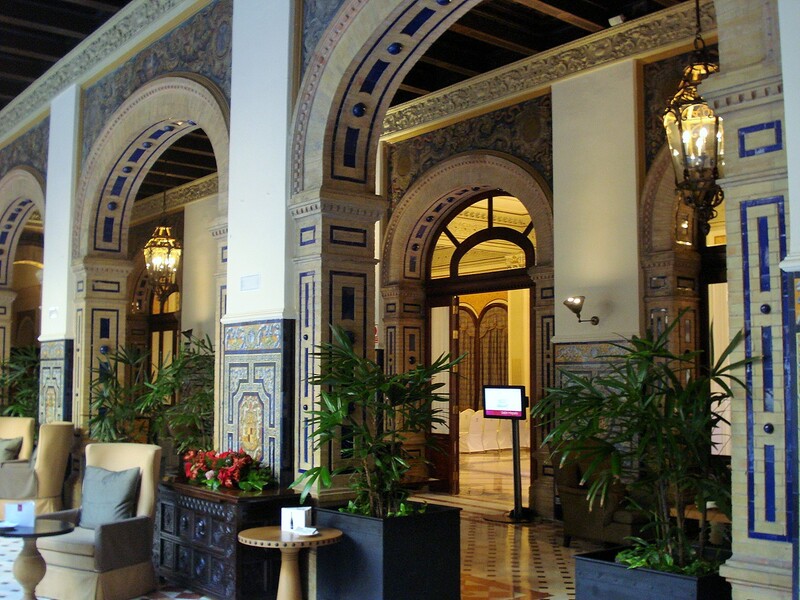 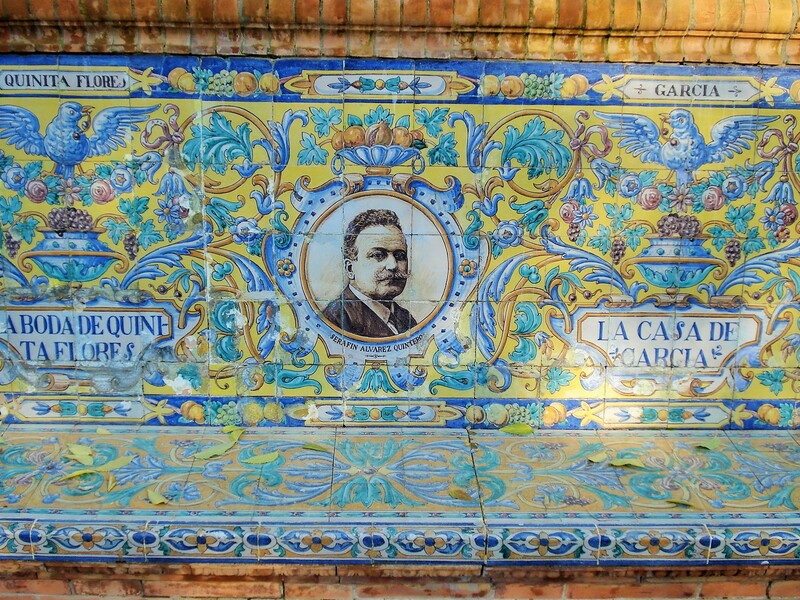 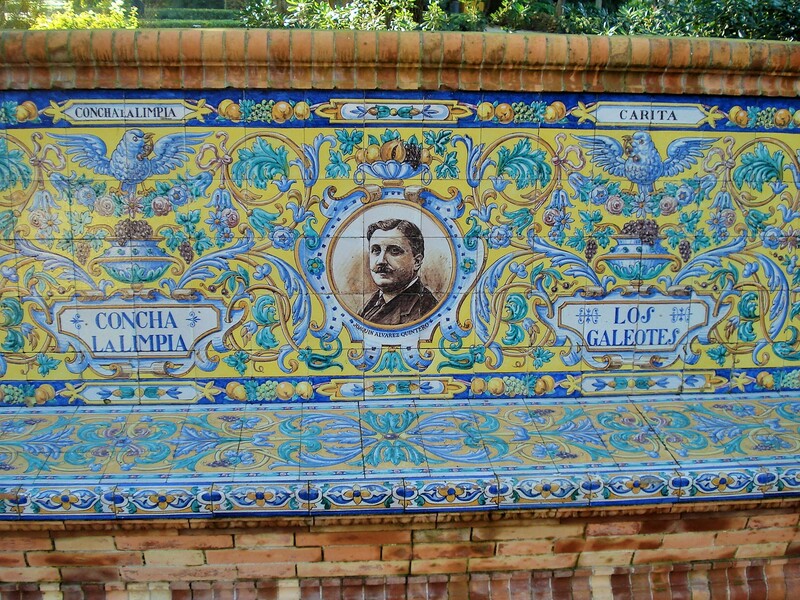 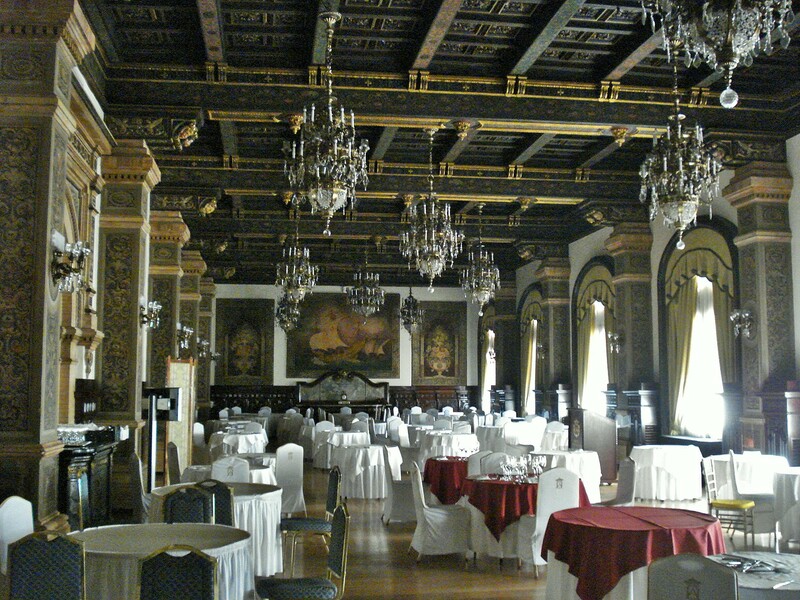 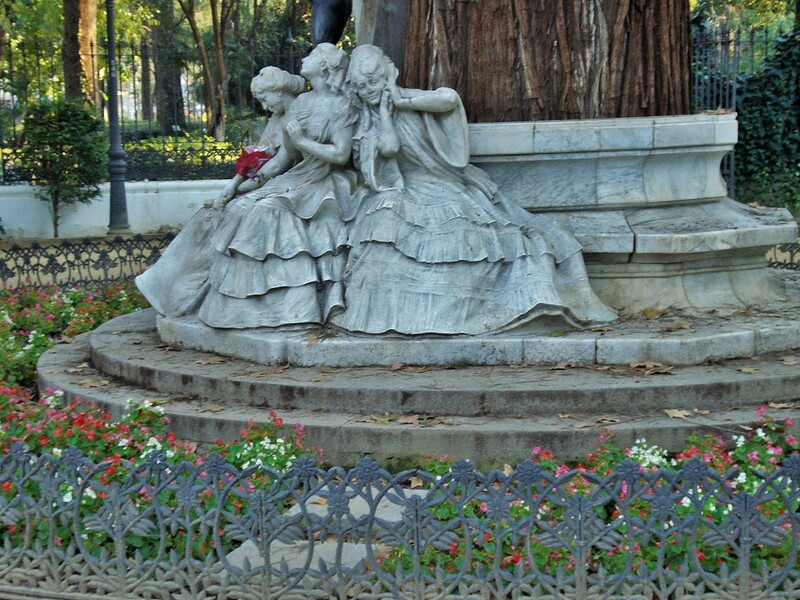 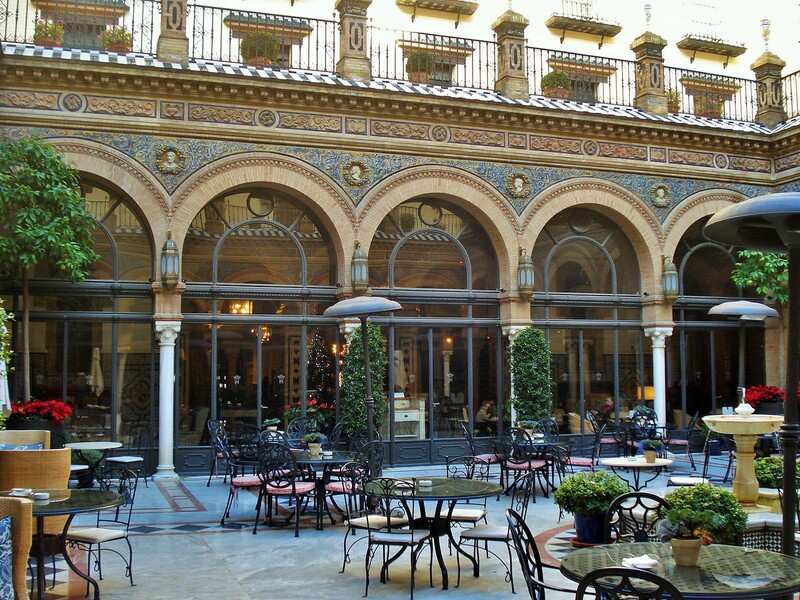 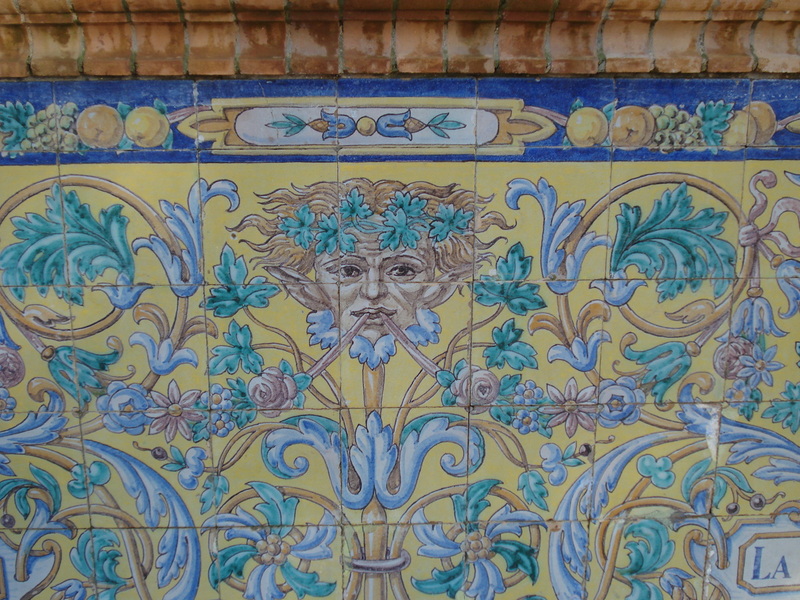 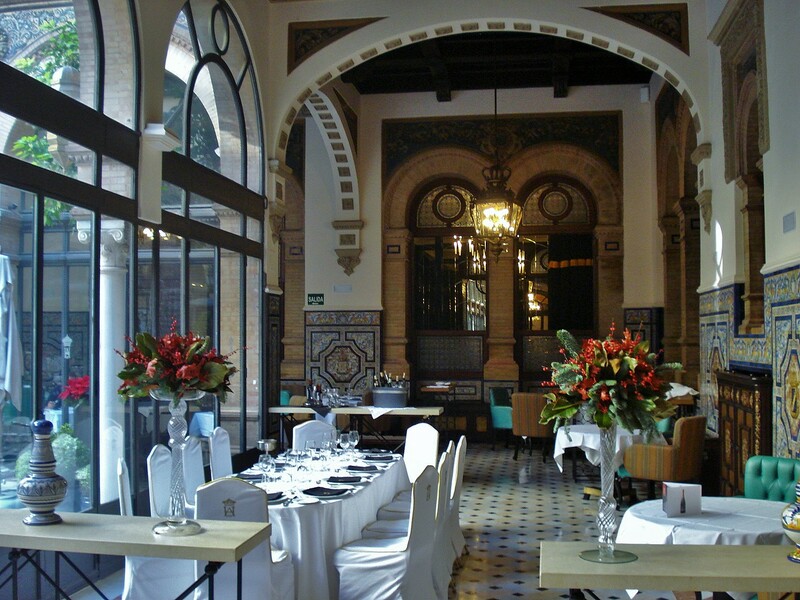 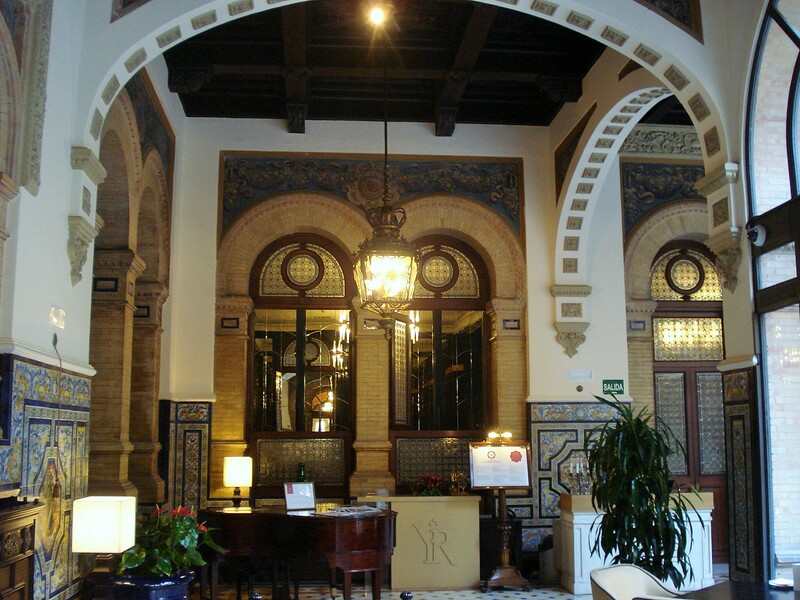 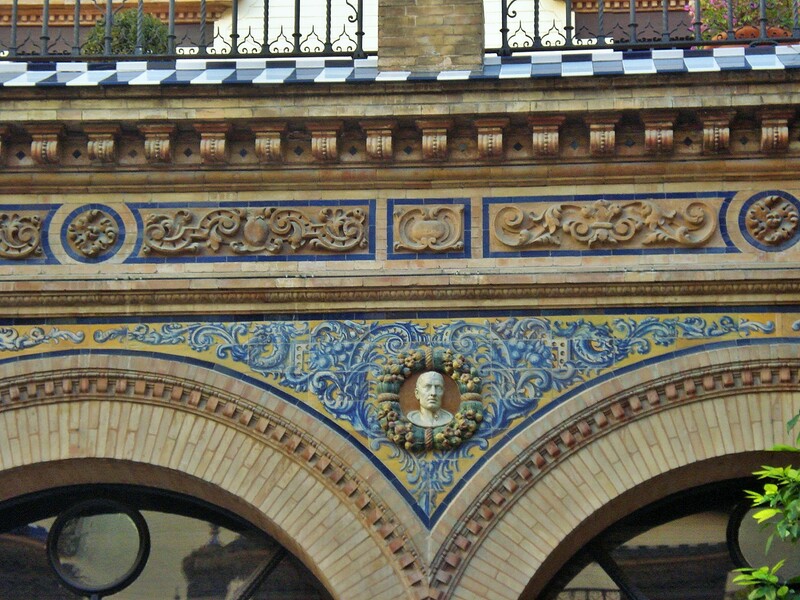 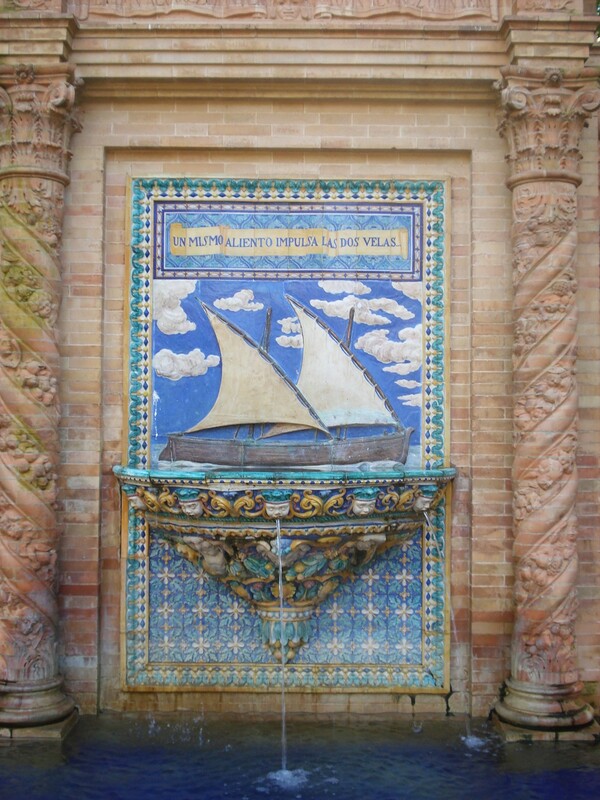 I am featuring here some of the many designs I came across, in particular in Granada , Cordoba and Sevilla. 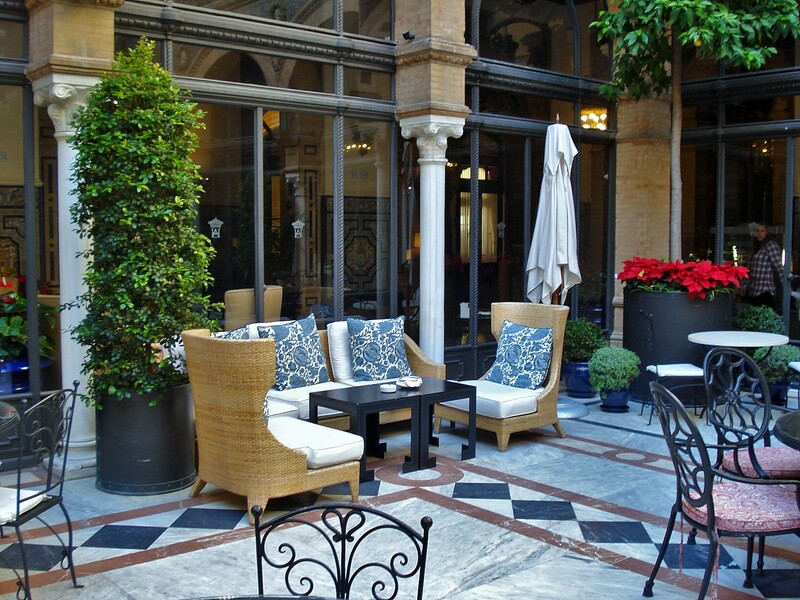 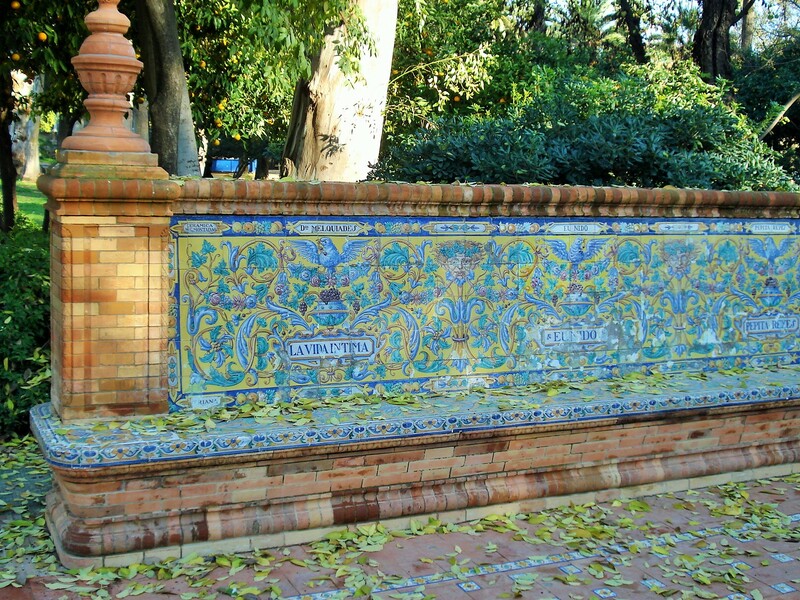 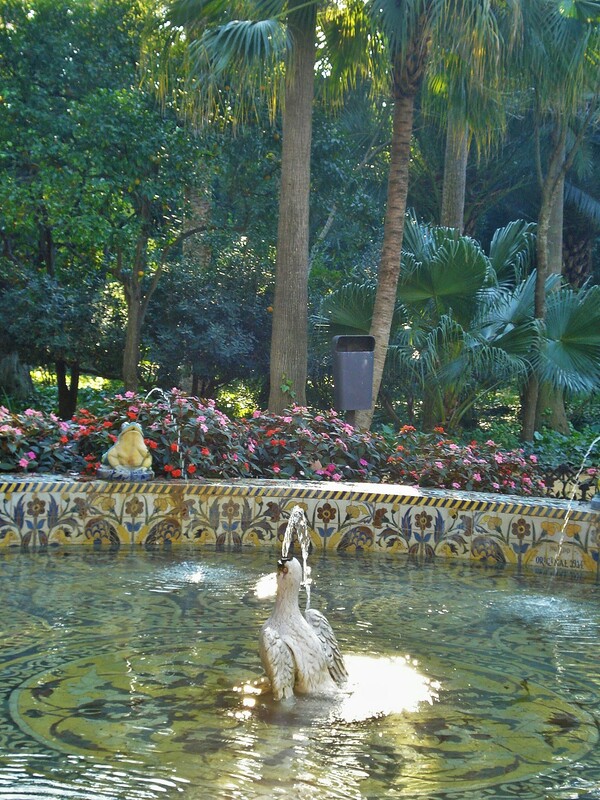 Sevilla is a truly beautiful city, and one of my favorites in Spain. 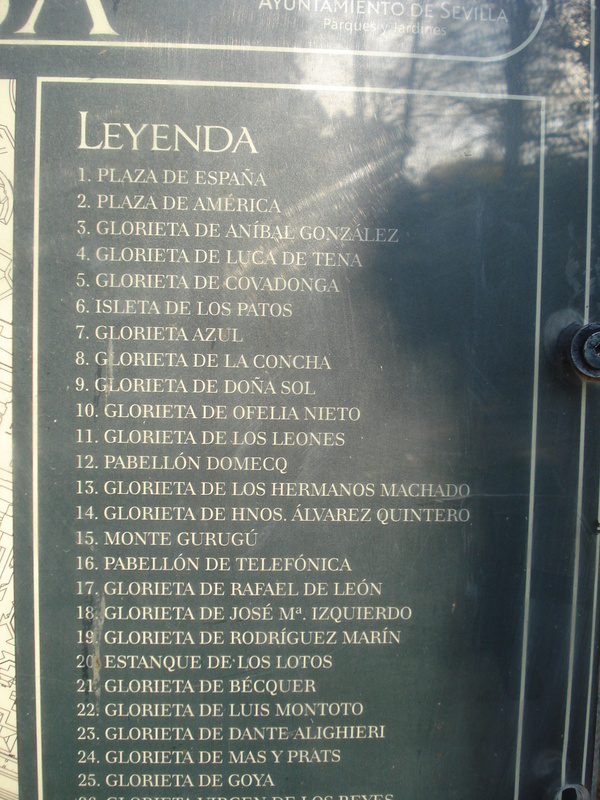 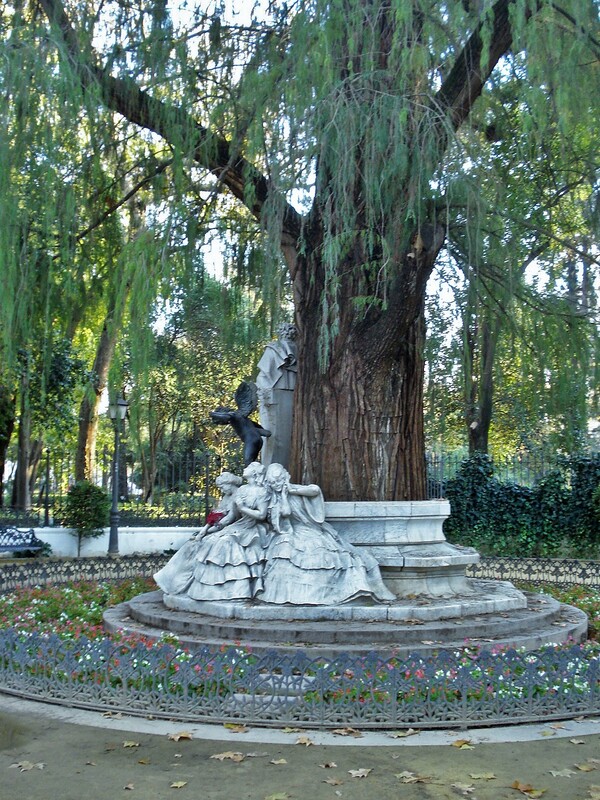 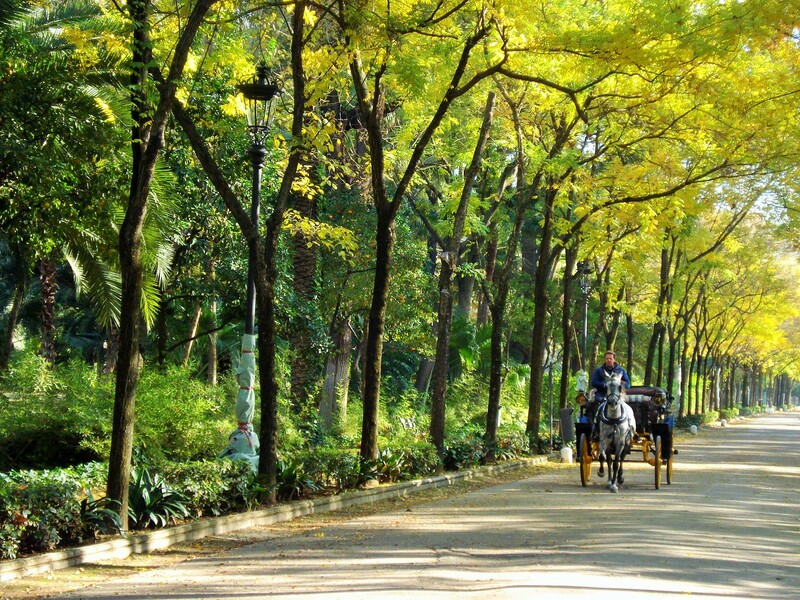 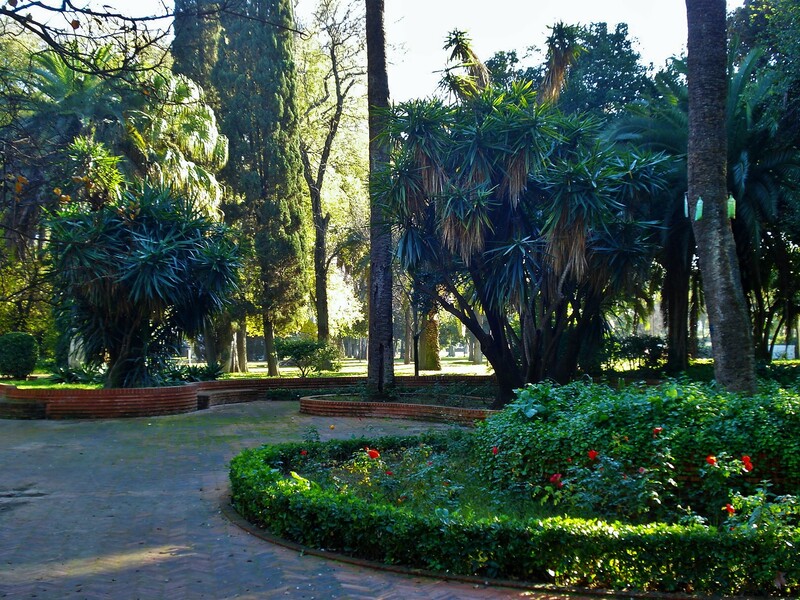 It is full of historic neigborhoods, stunning architecture and monuments, but its many plazas, squares, parks, green spaces, narrow streets, and pedestrian areas make it also very charming and people friendly. 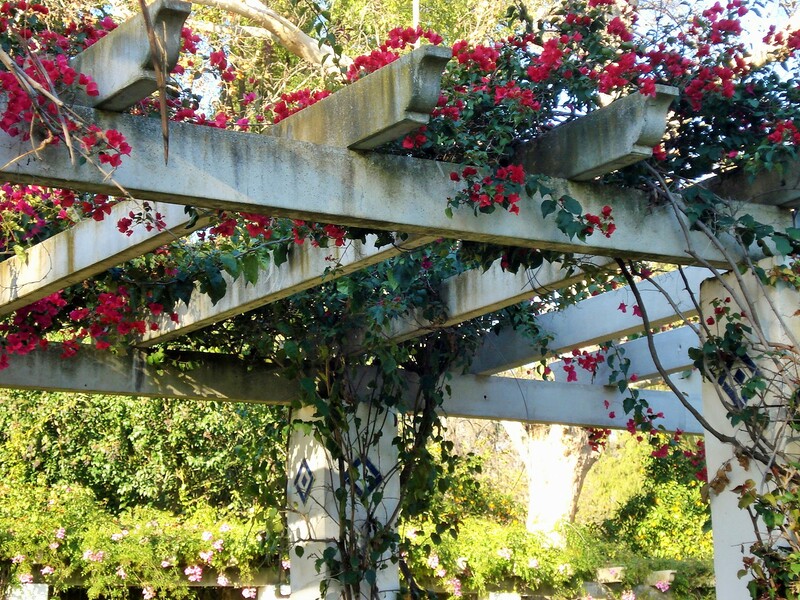 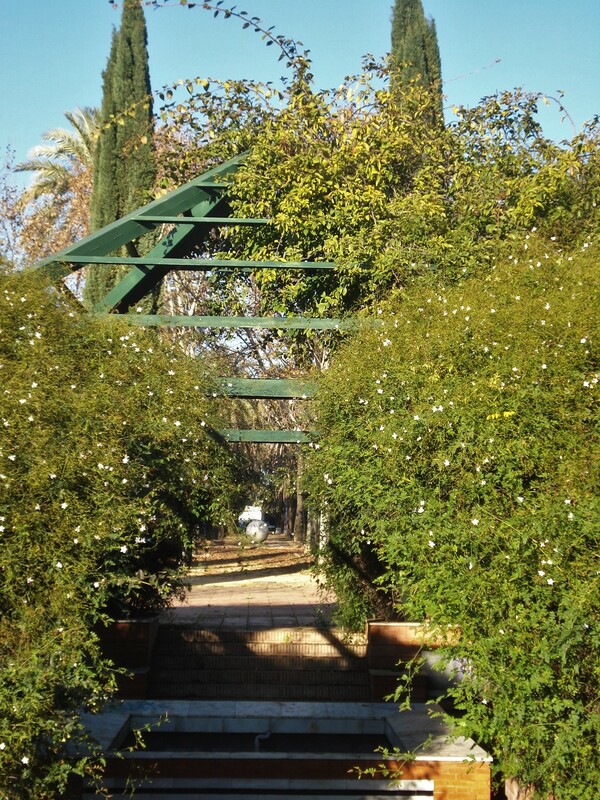 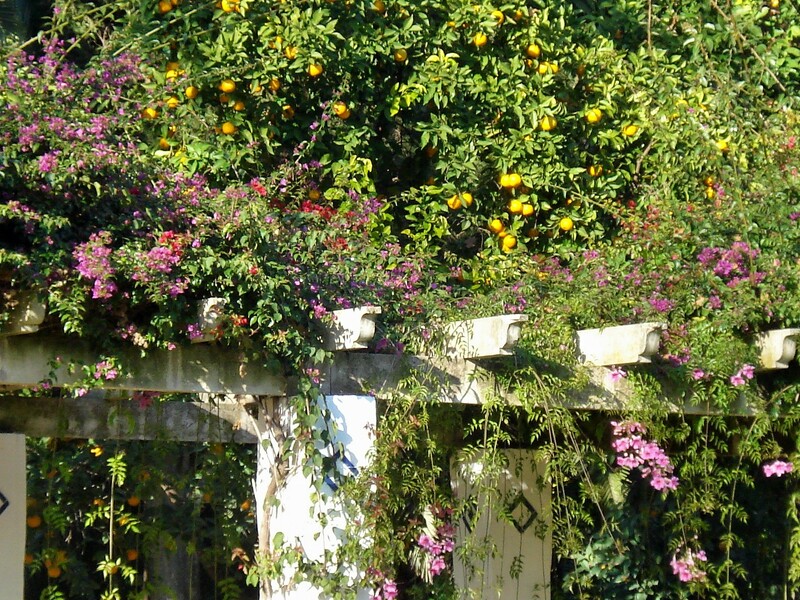 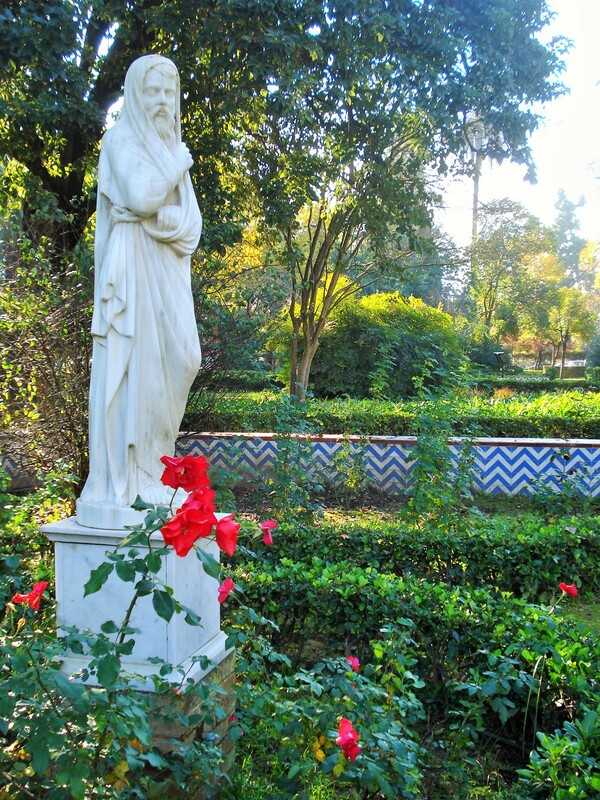 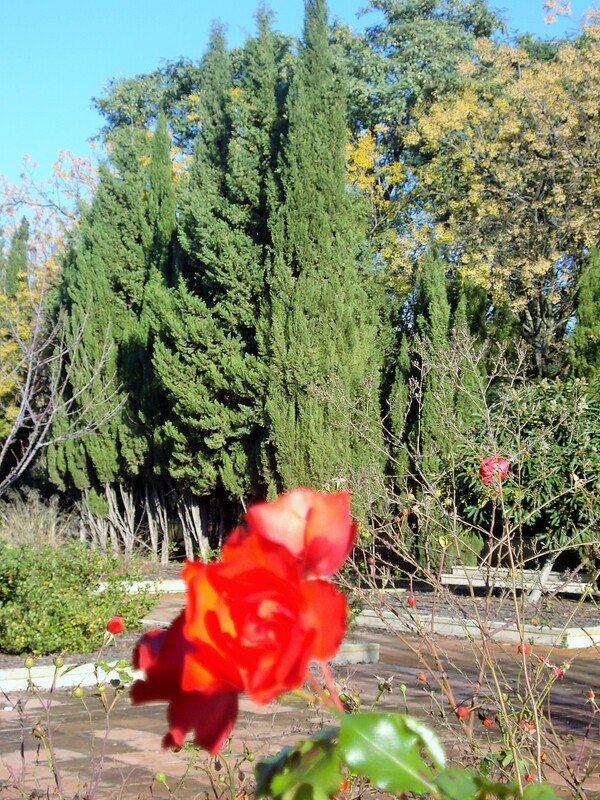 I was visiting Sevilla off season, but the warmer Mediterranean climate still had roses and bougainvilleas blooming in December. 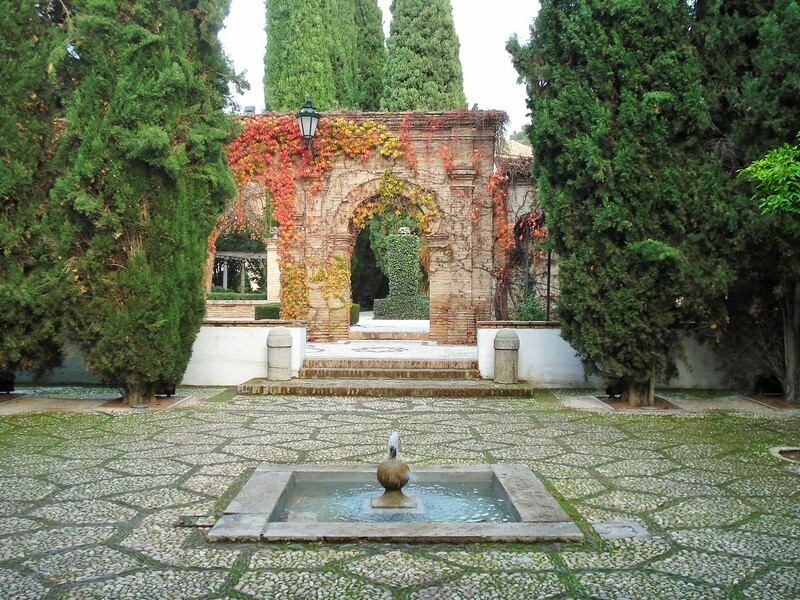 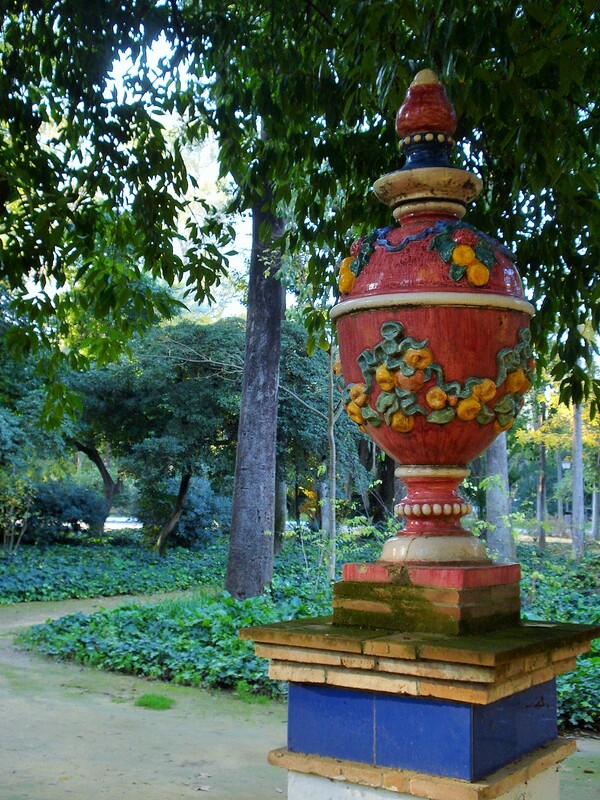 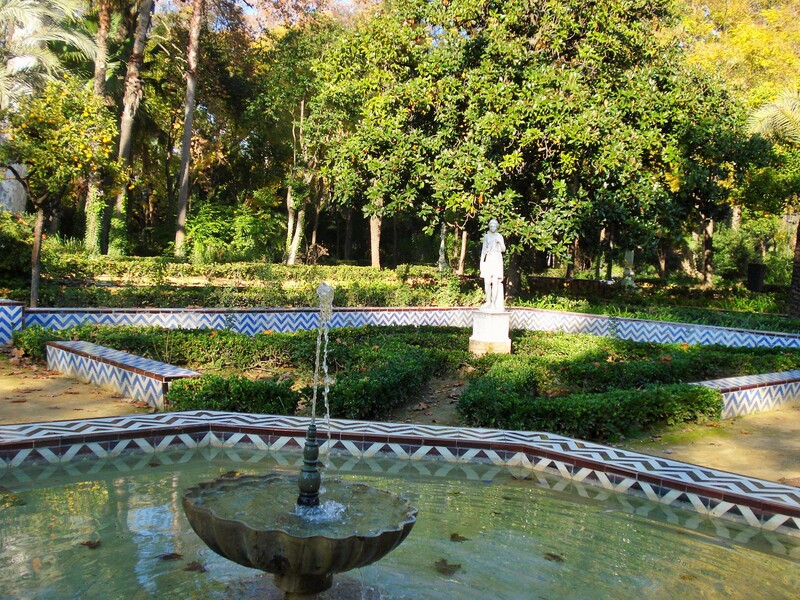 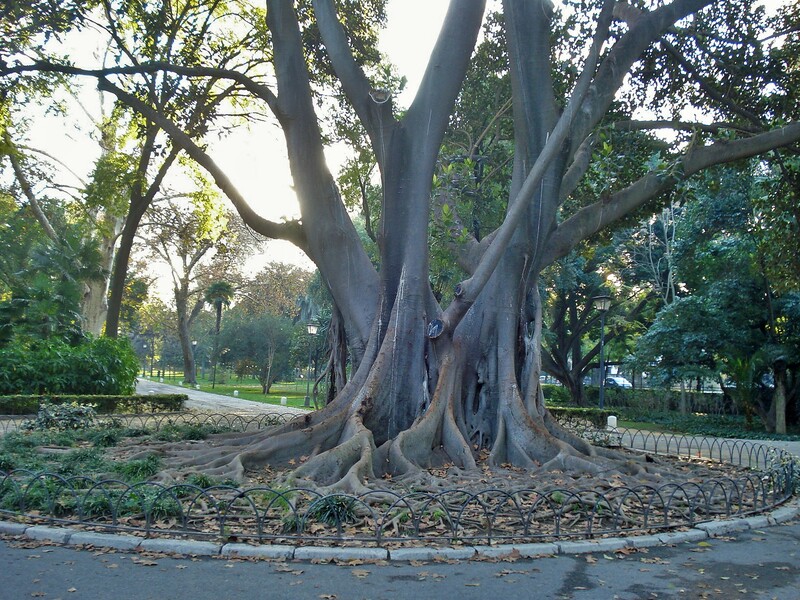 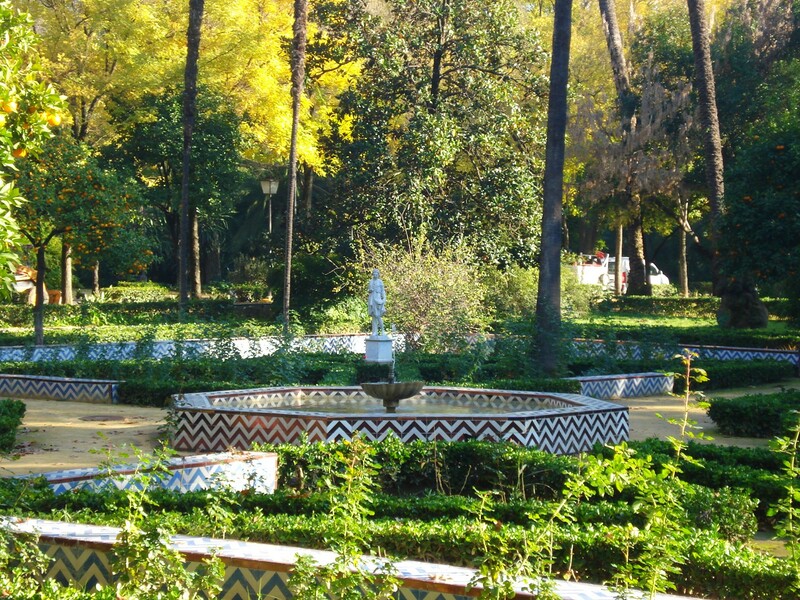 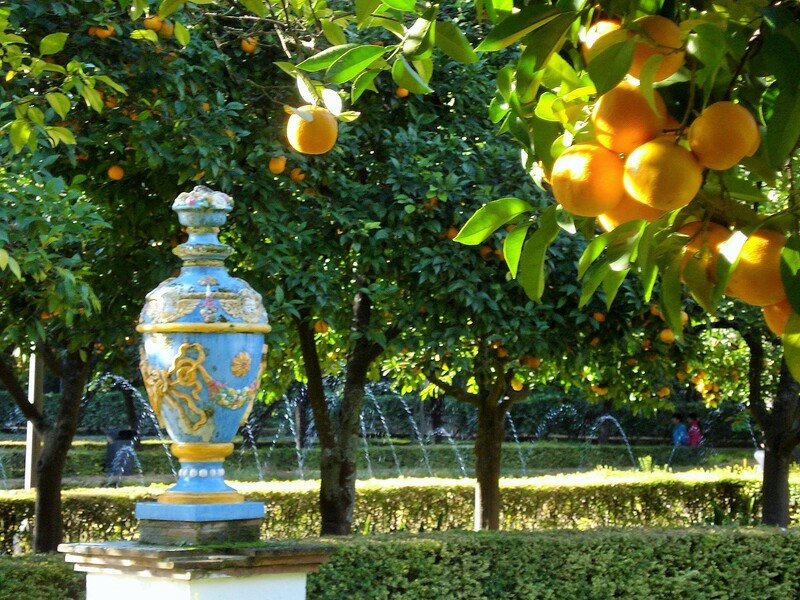 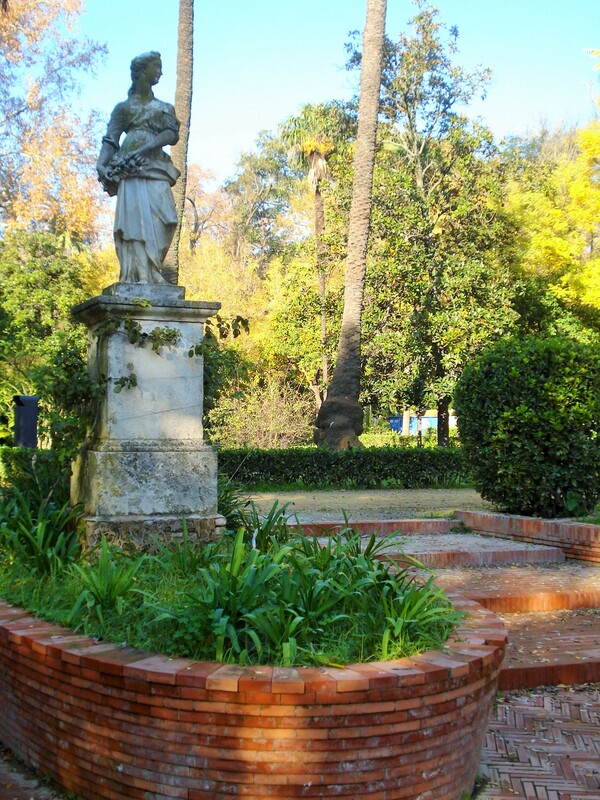 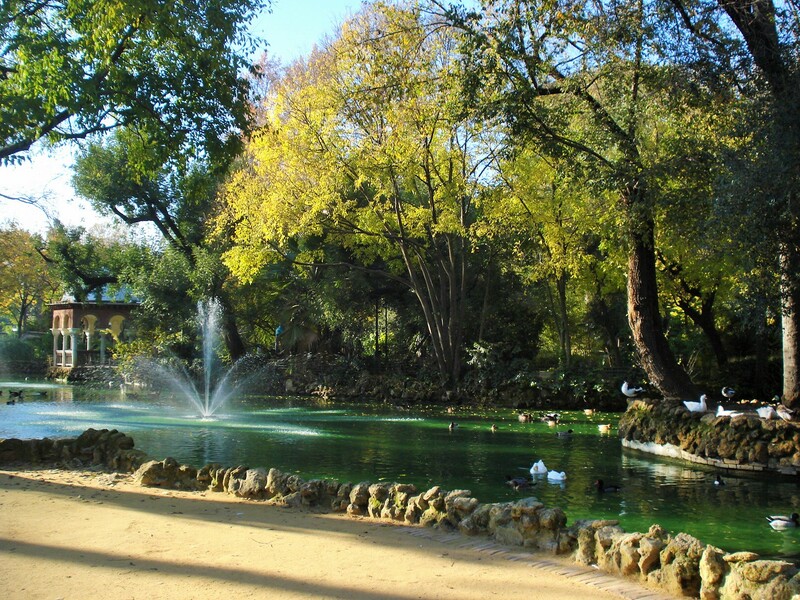 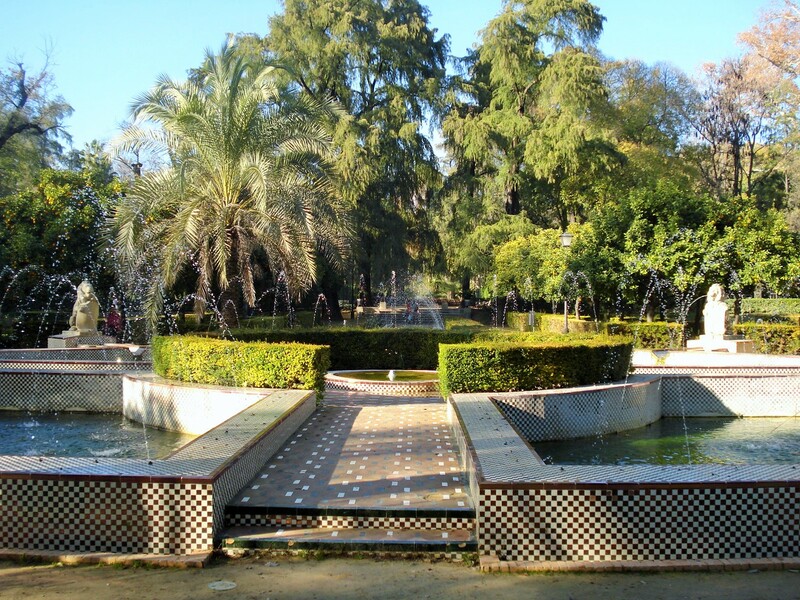 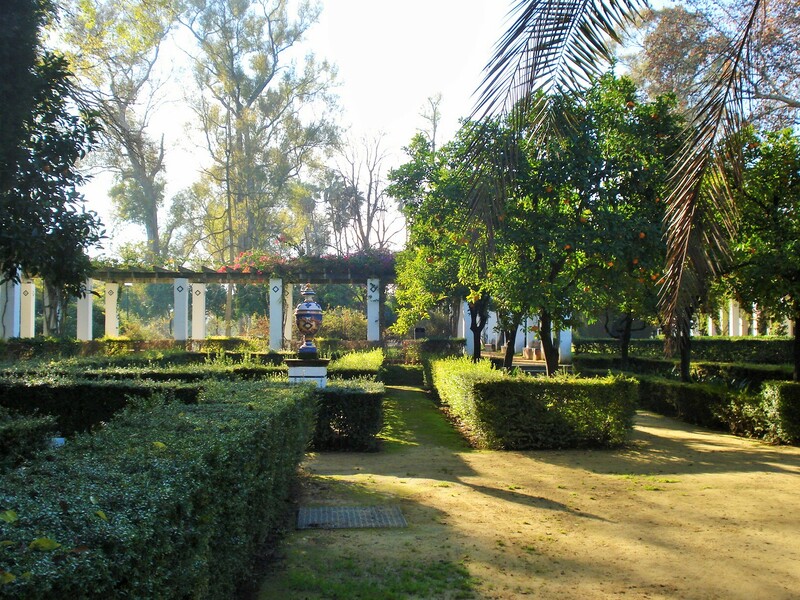 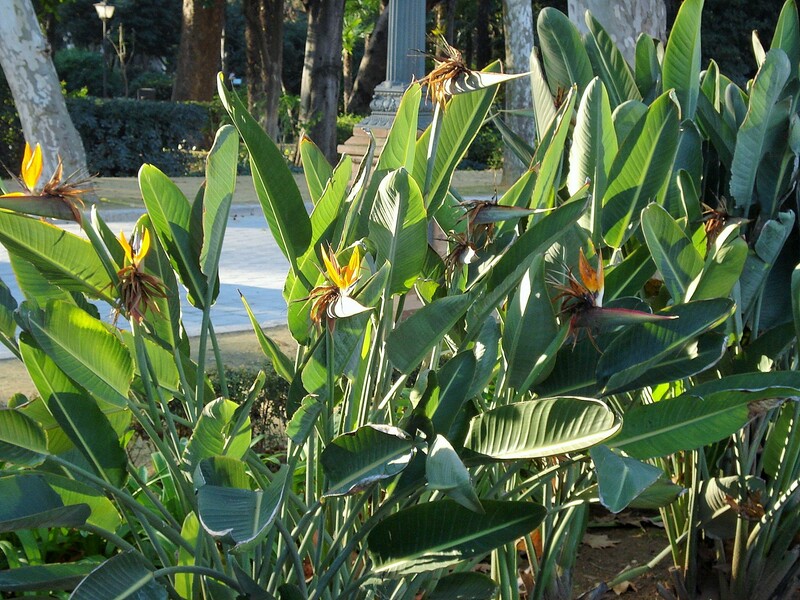 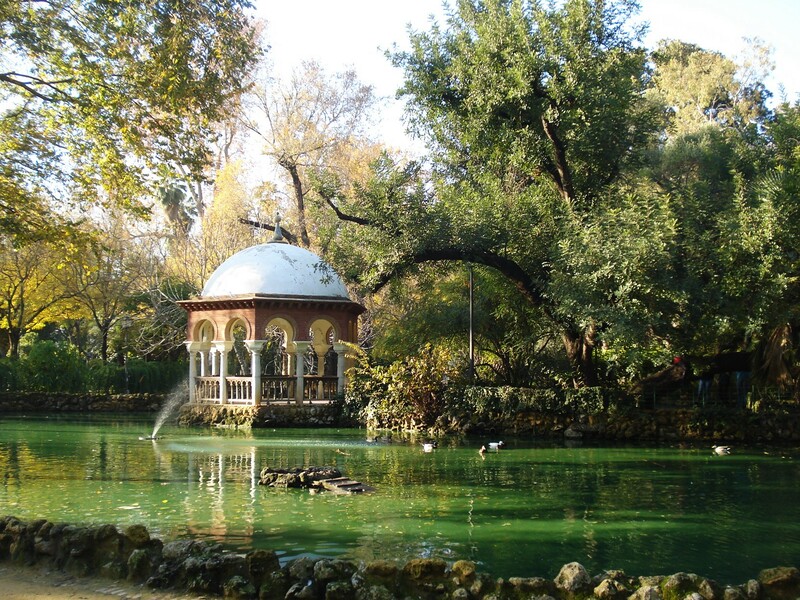 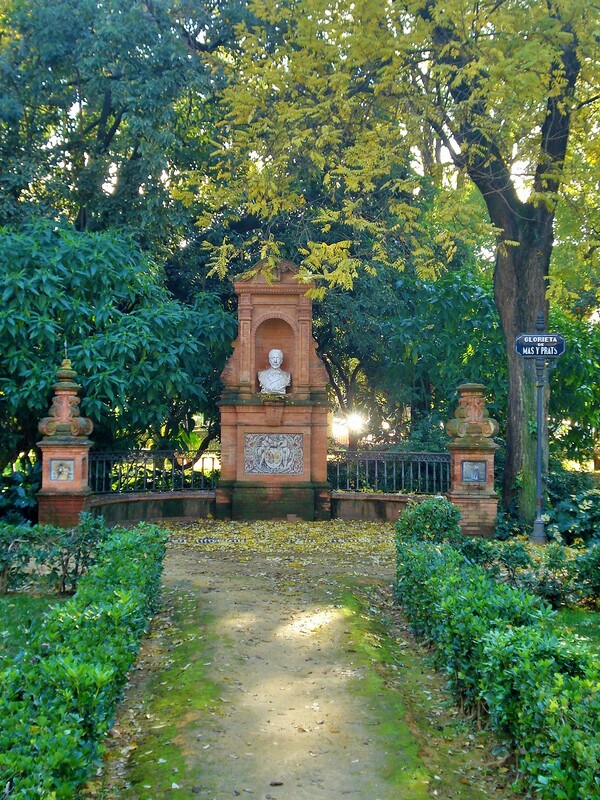 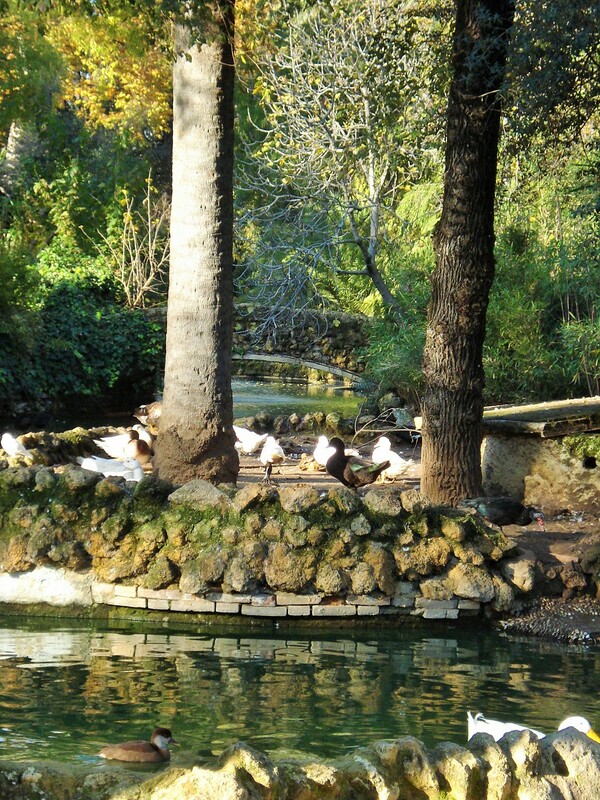 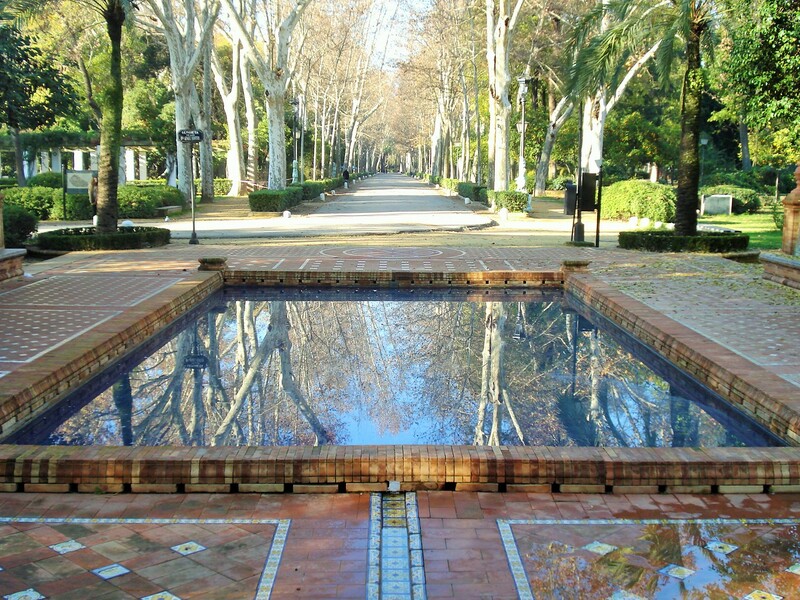 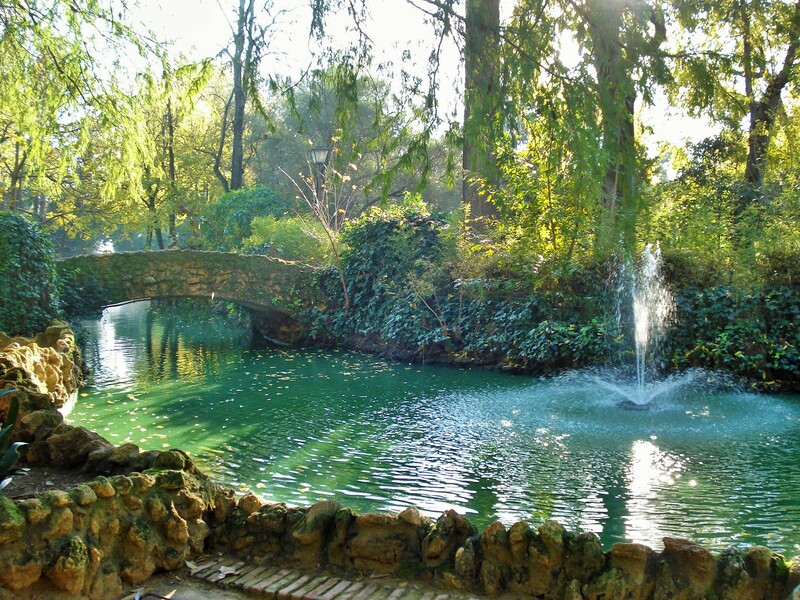 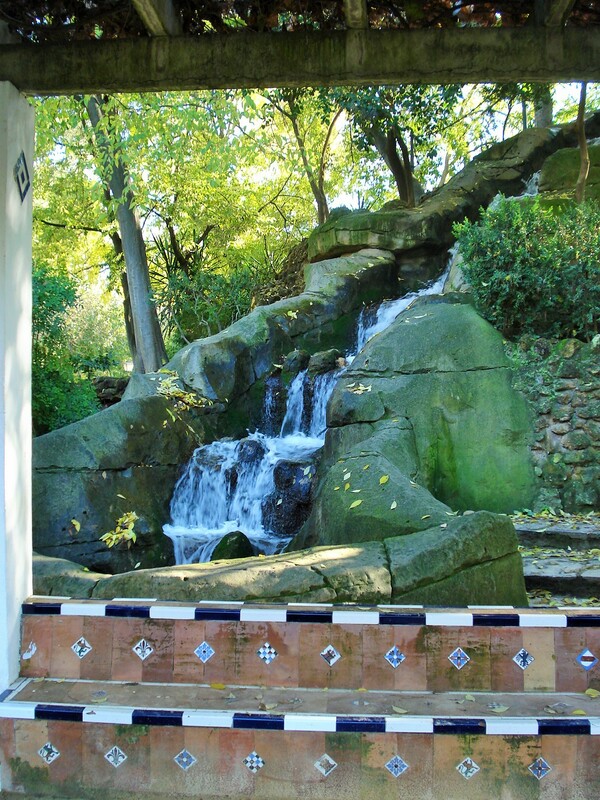 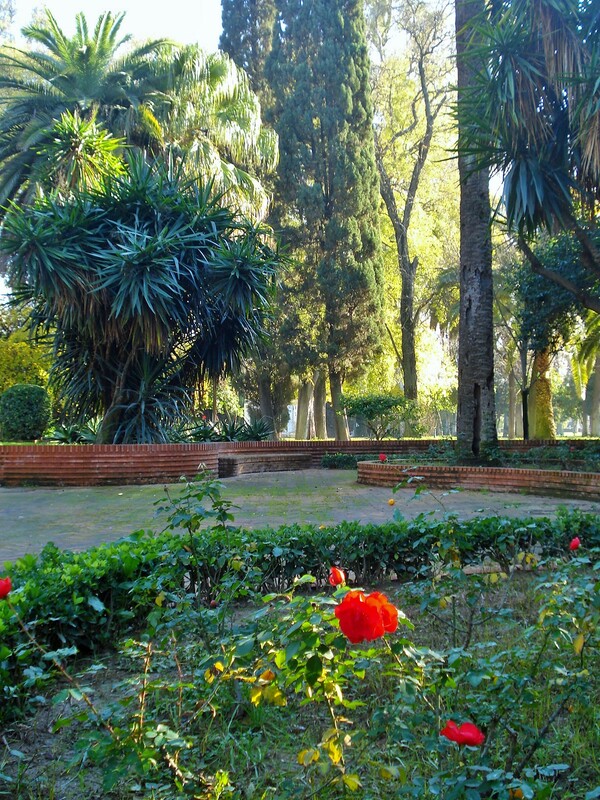 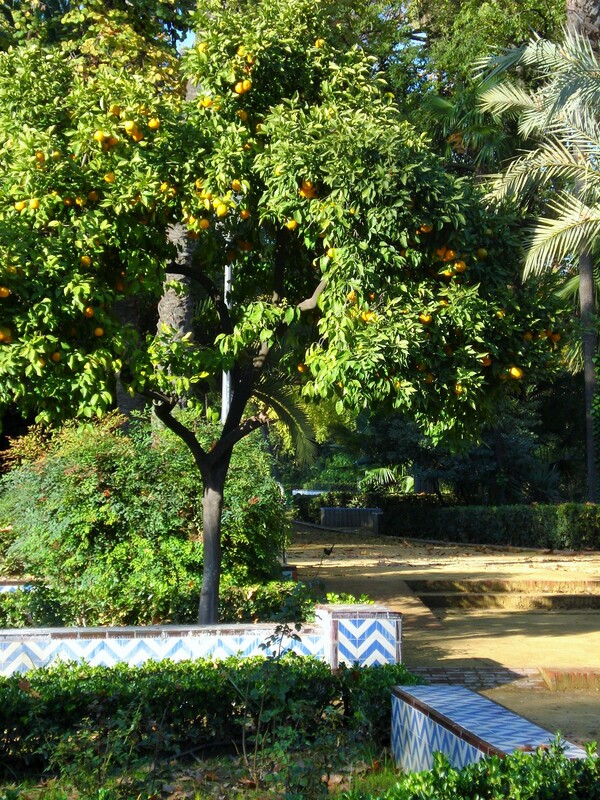 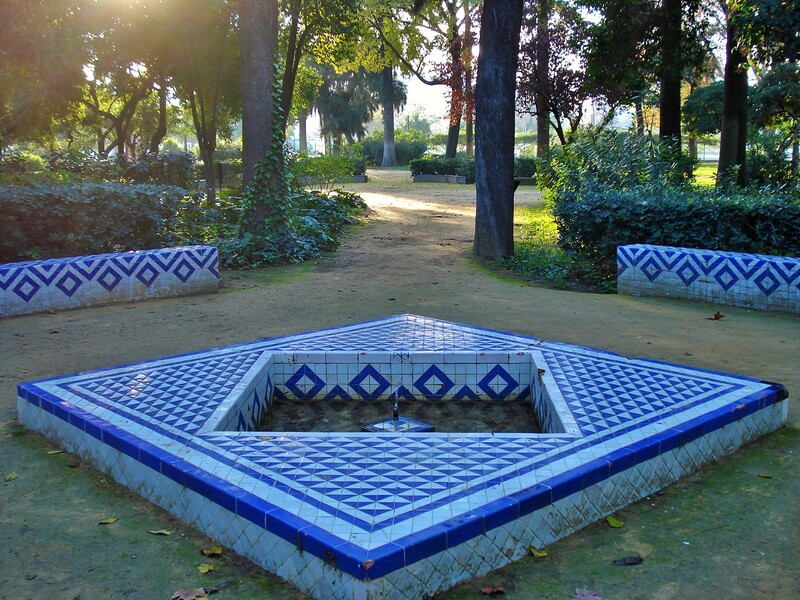 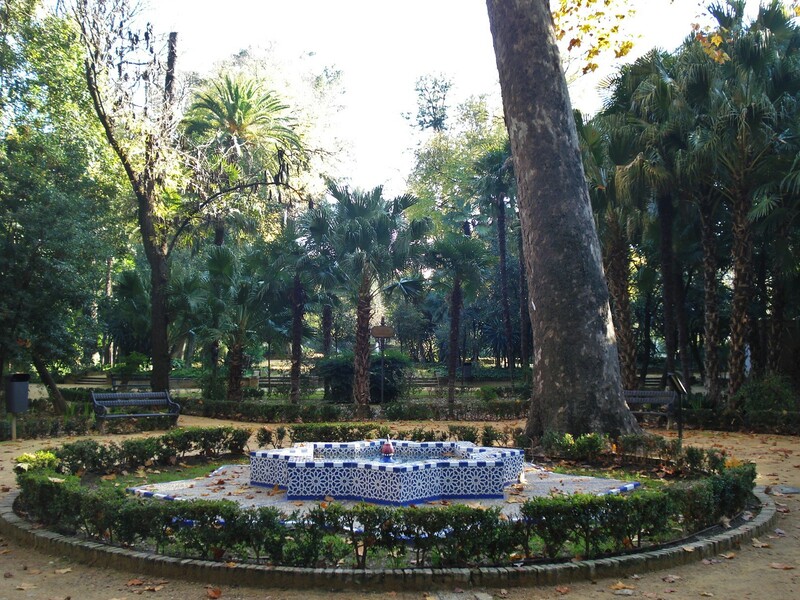 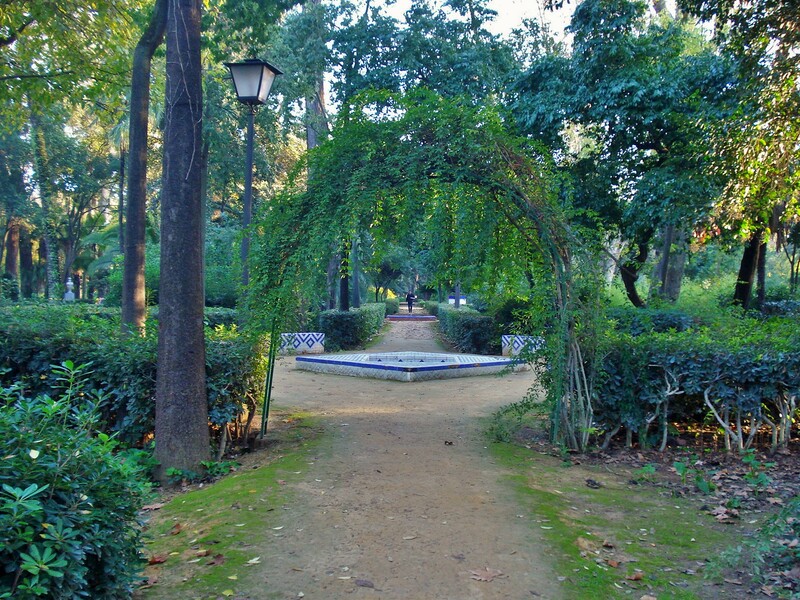 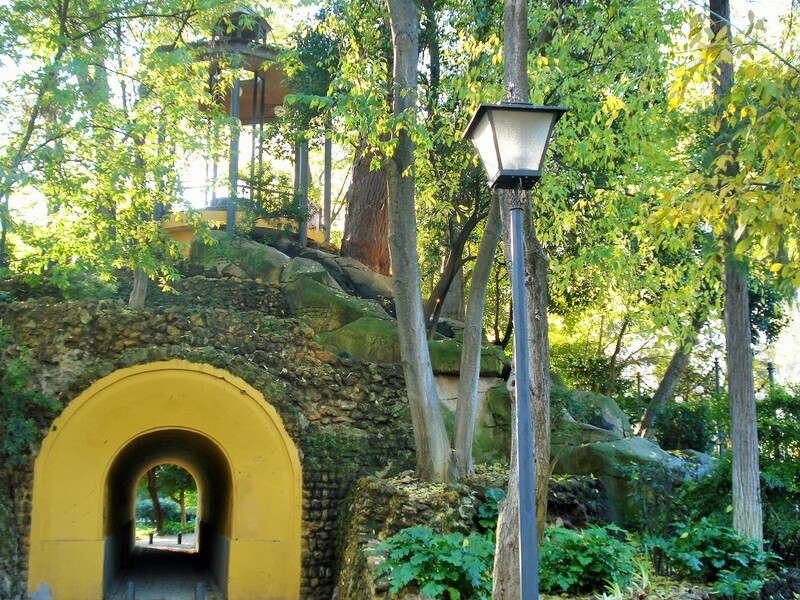 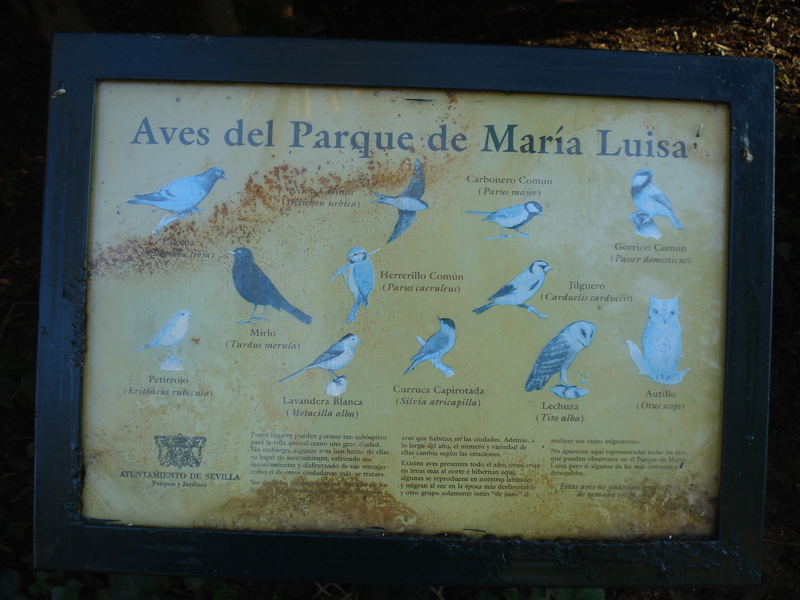 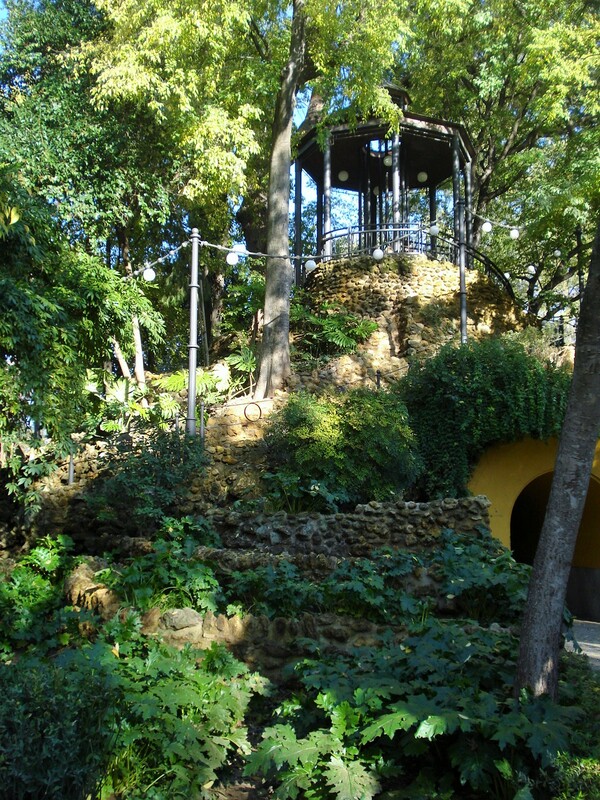 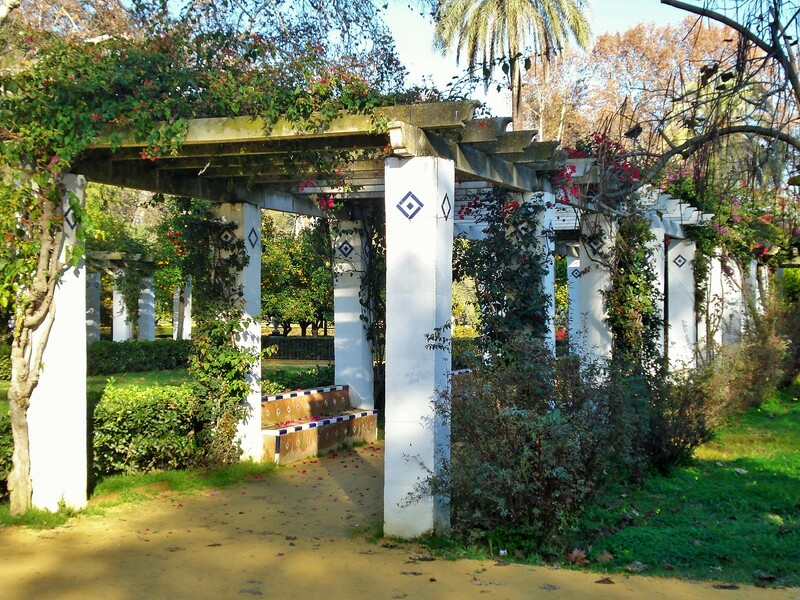 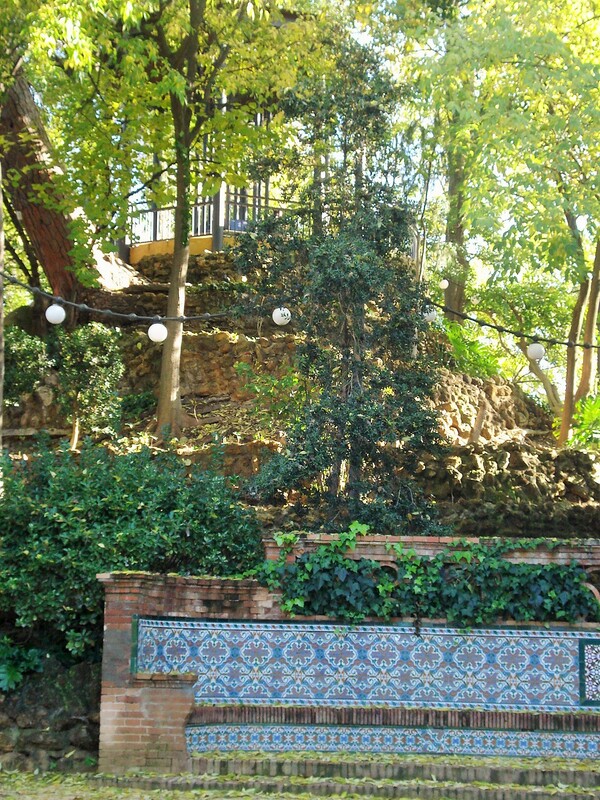 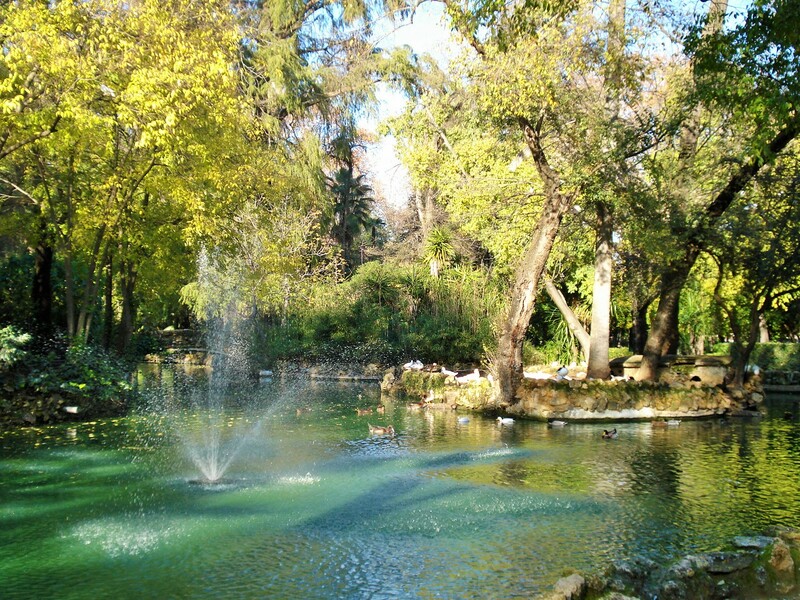 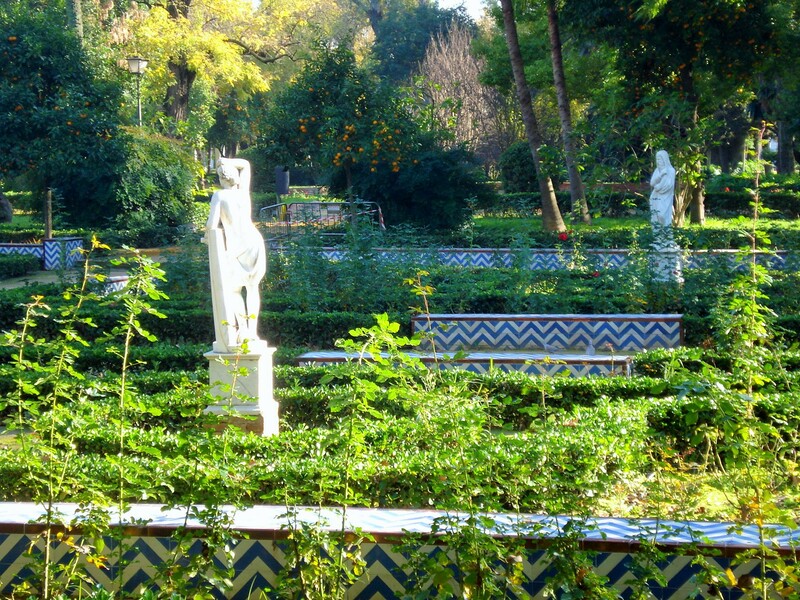 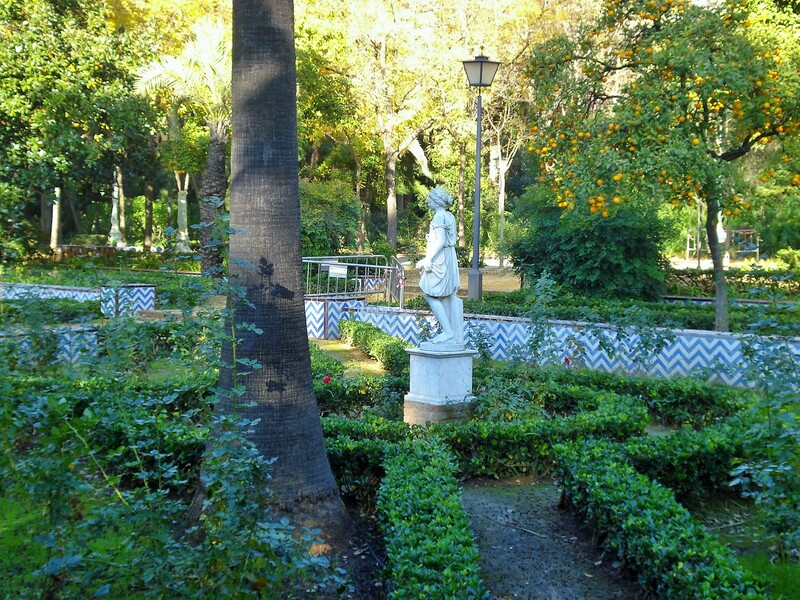 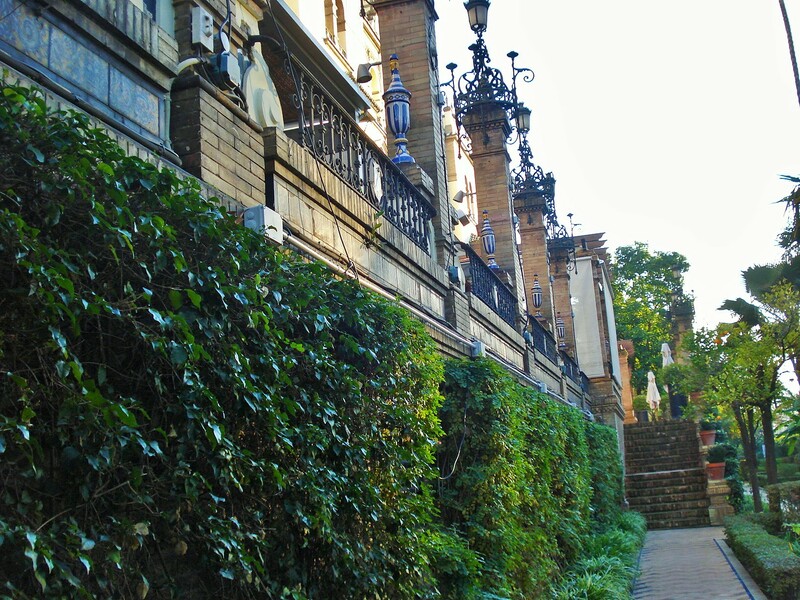 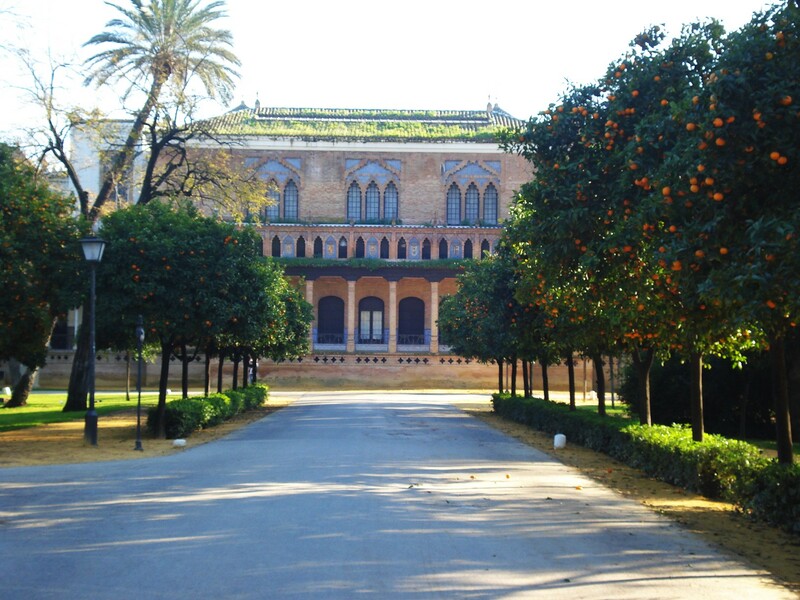 I first visited the Maria Luisa Park, designed by one of my favorite landscape architects Jean Claude Nicholas Forrestier, then the famous Alcazar Palace and its famous gardens. 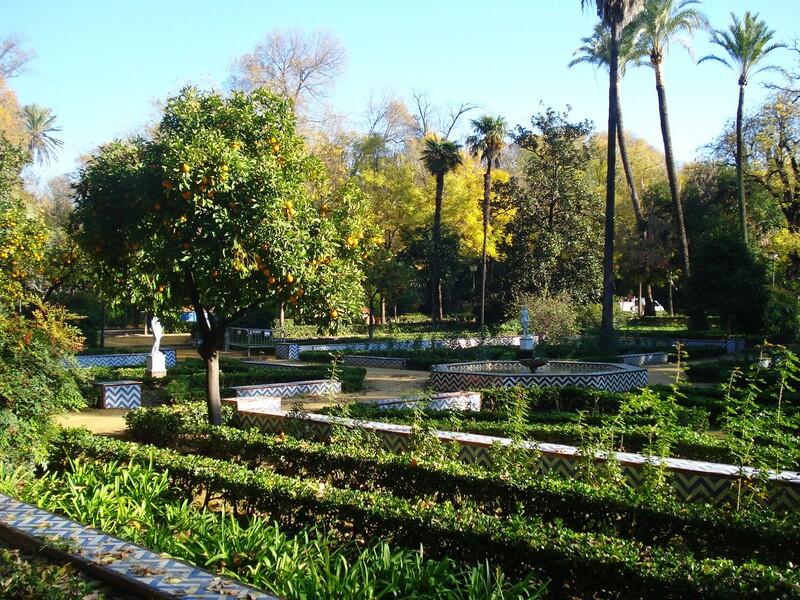 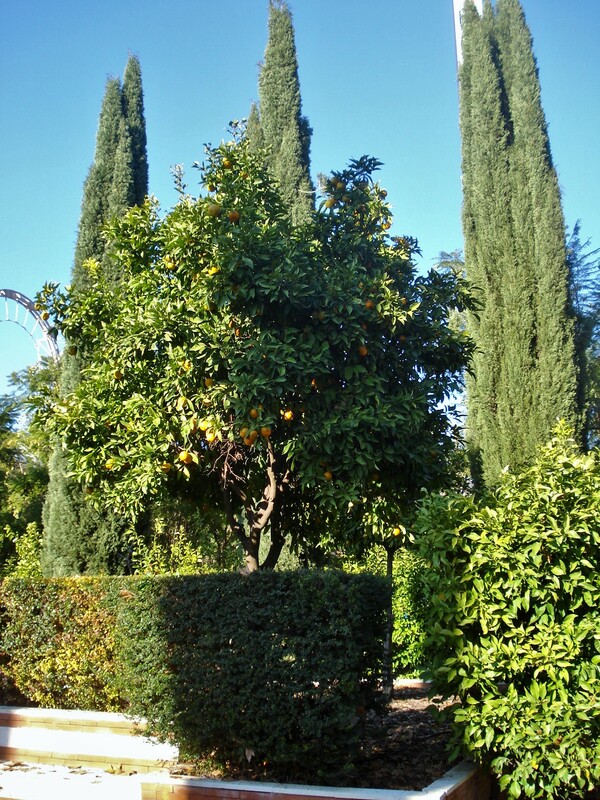 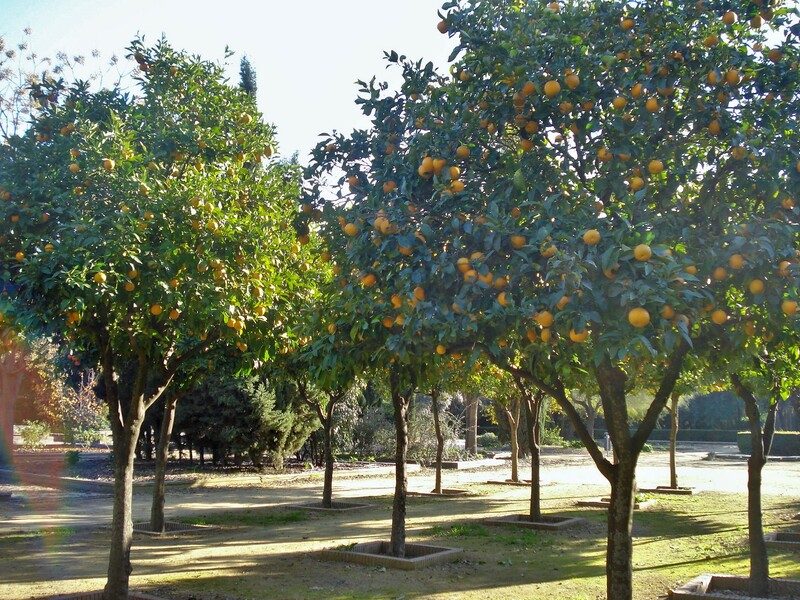 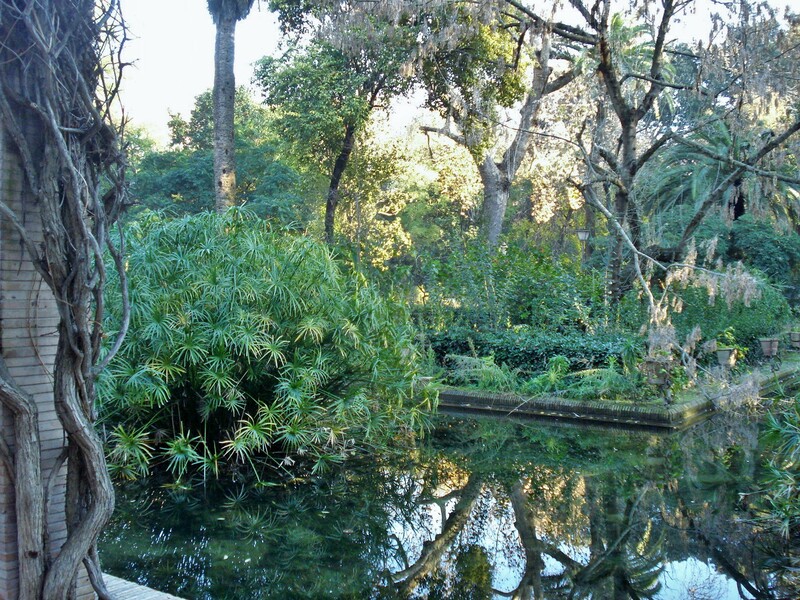 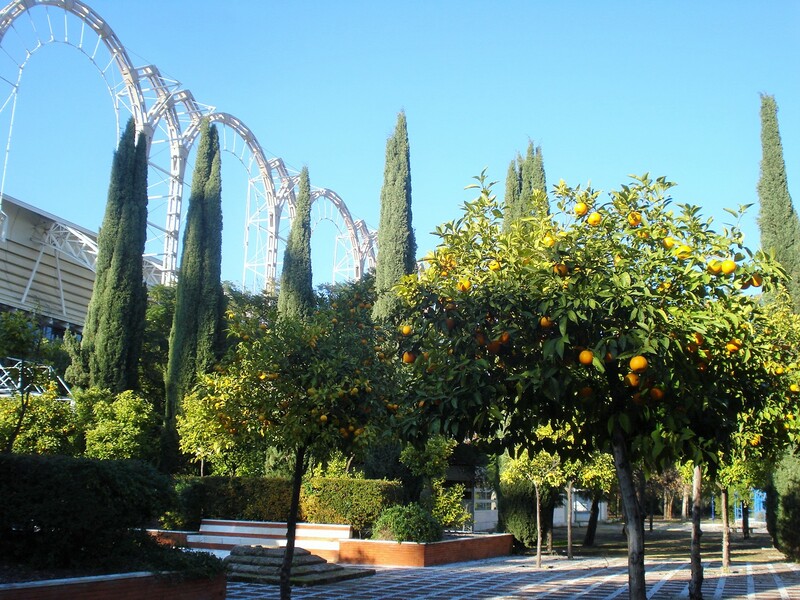 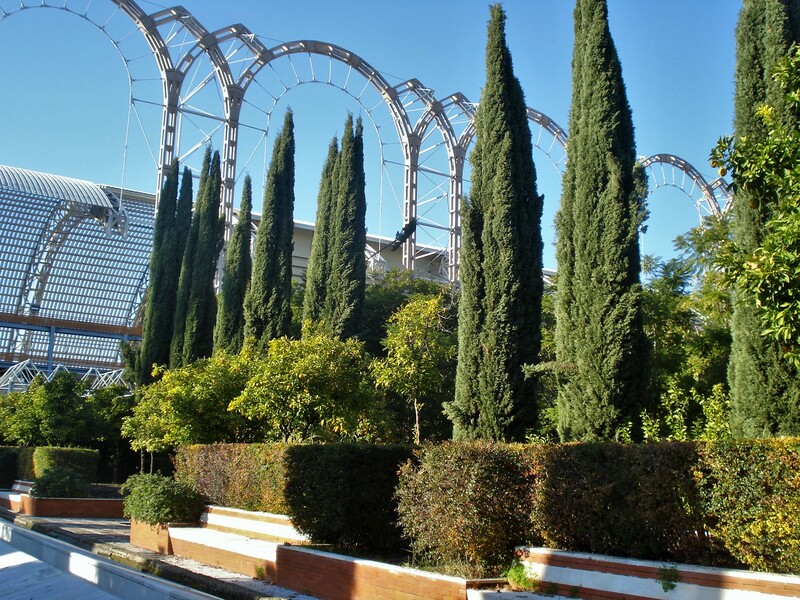 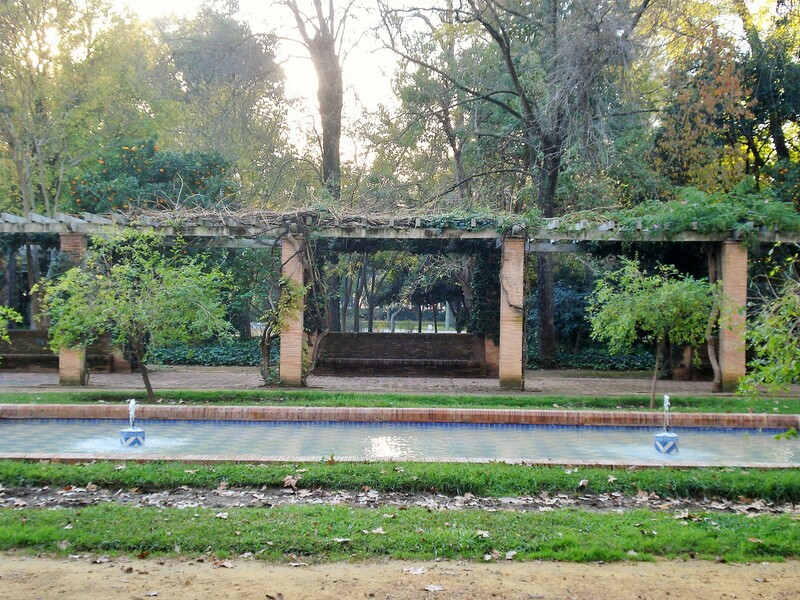 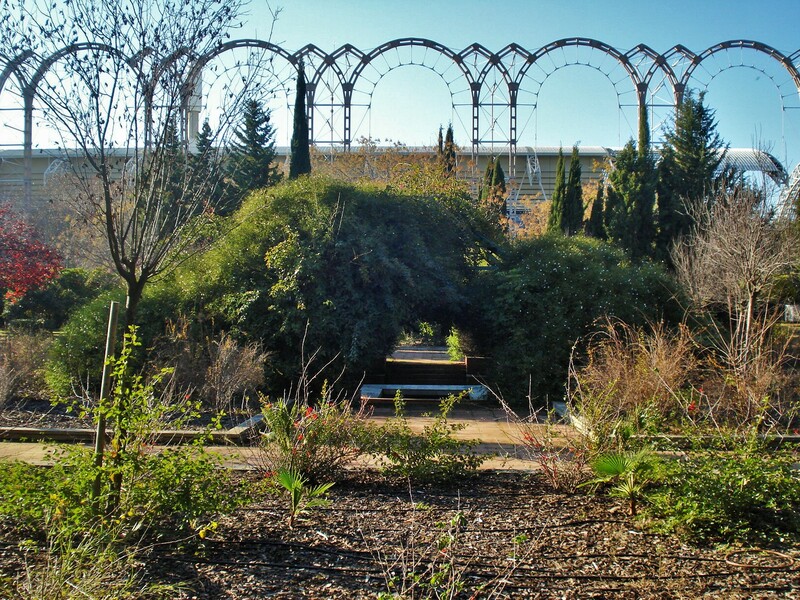 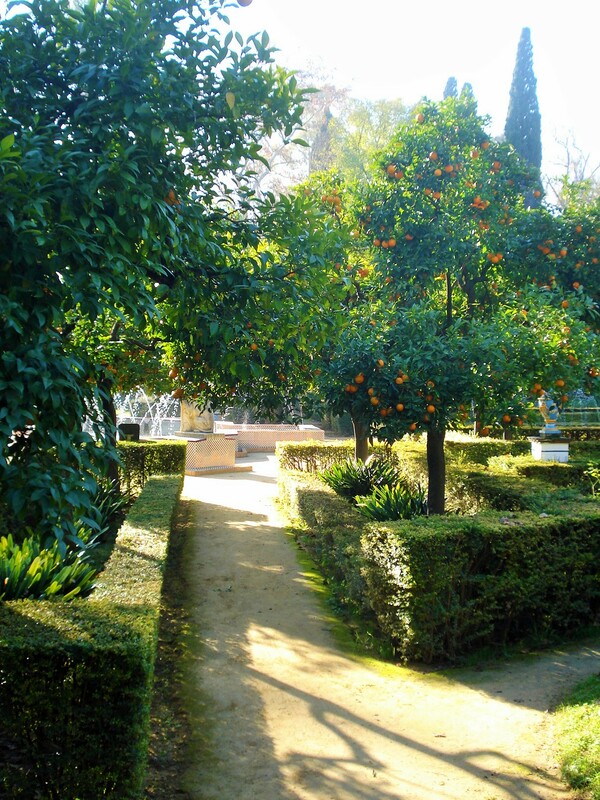 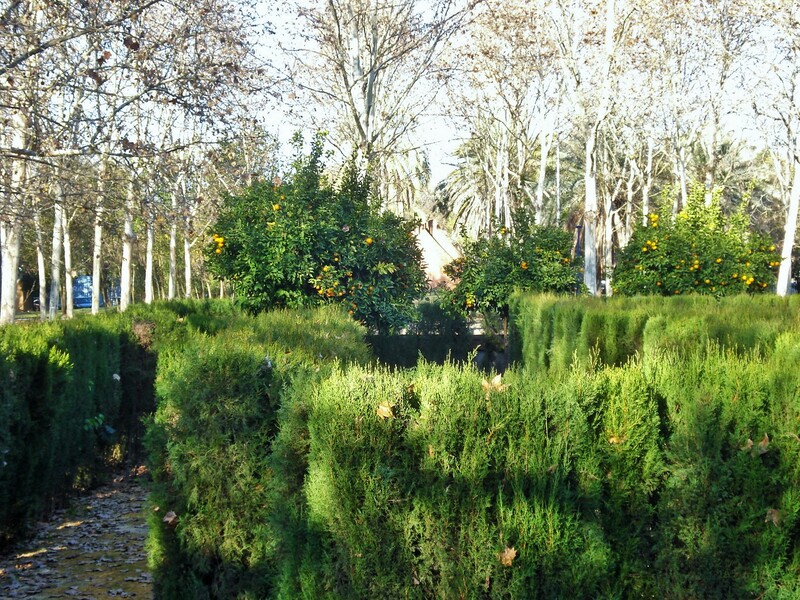 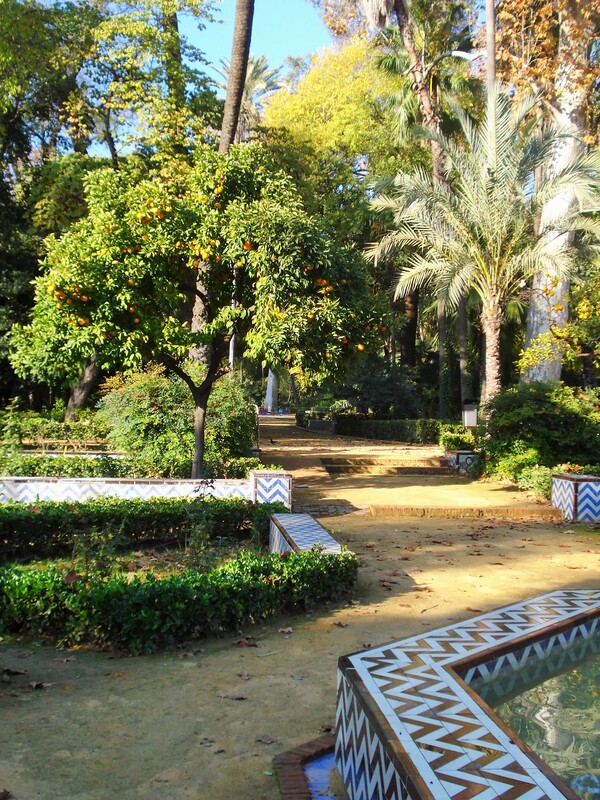 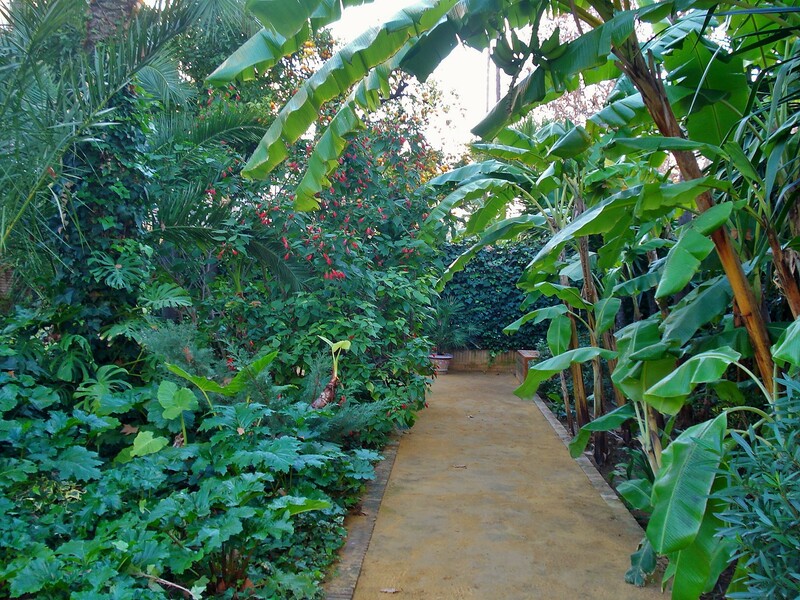 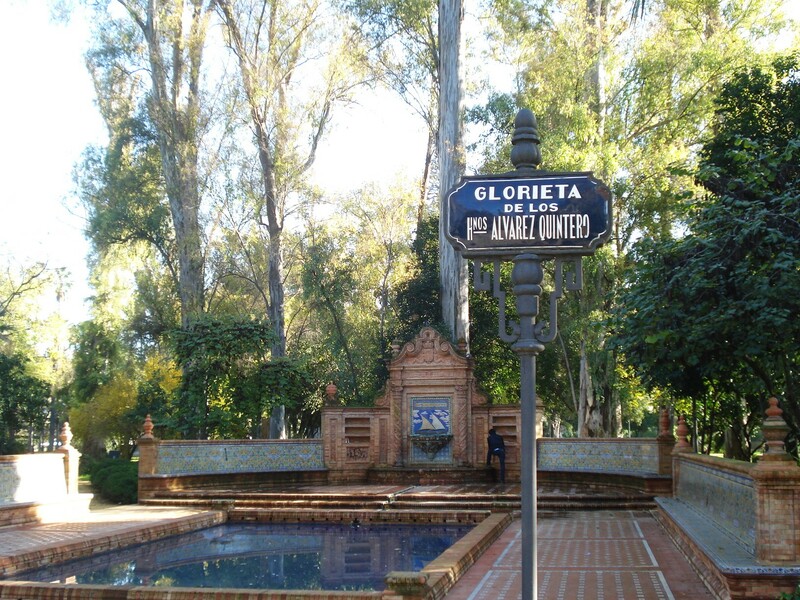 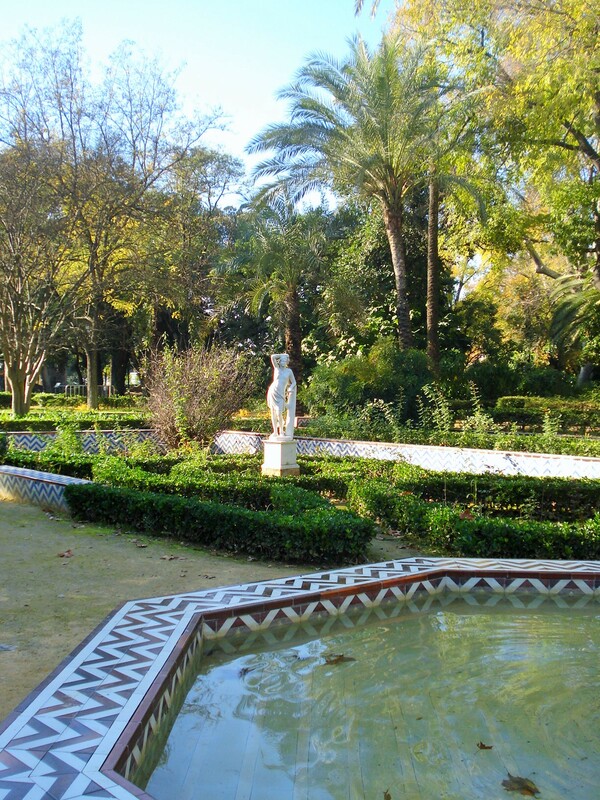 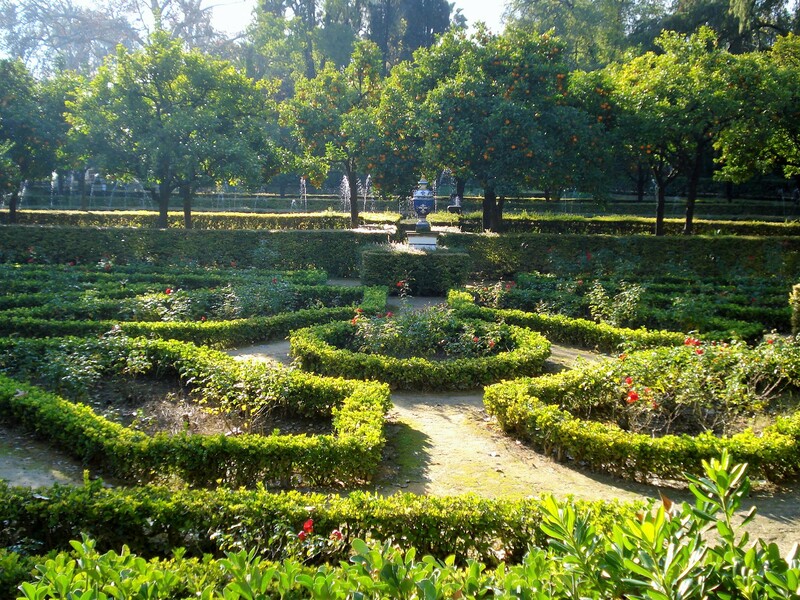 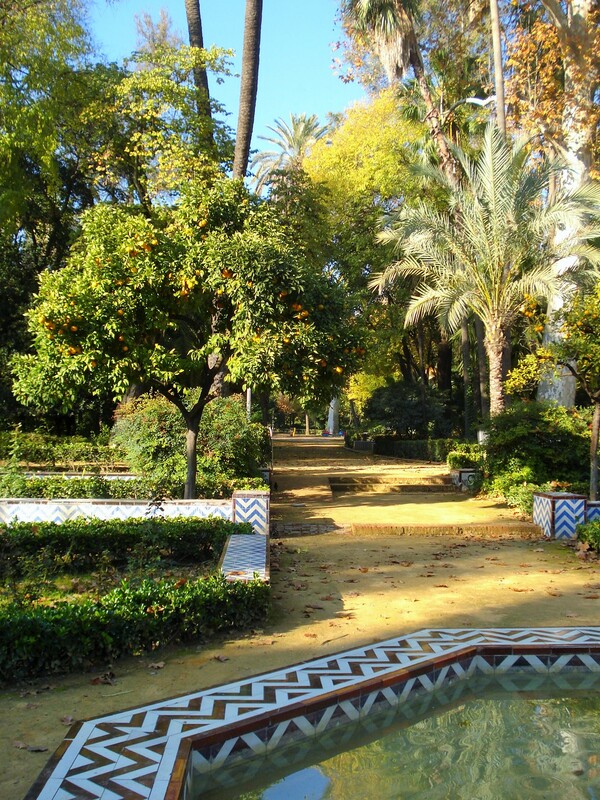 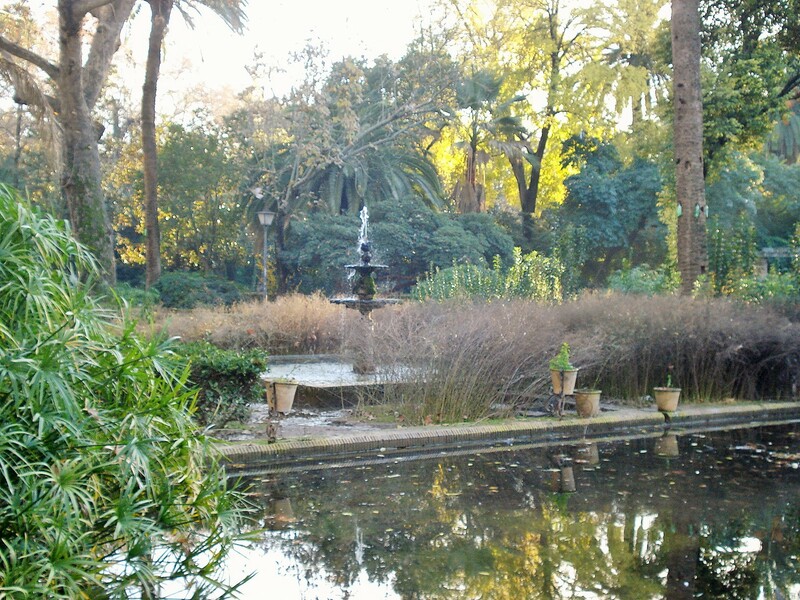 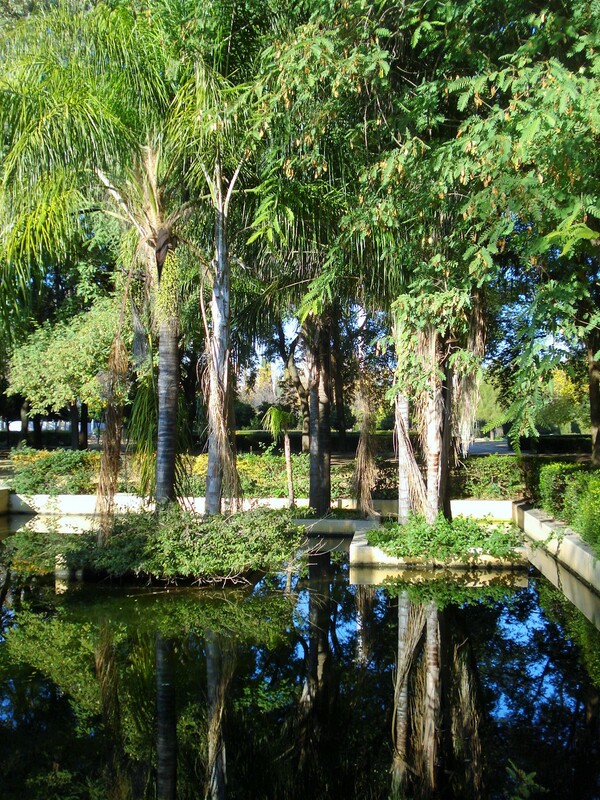 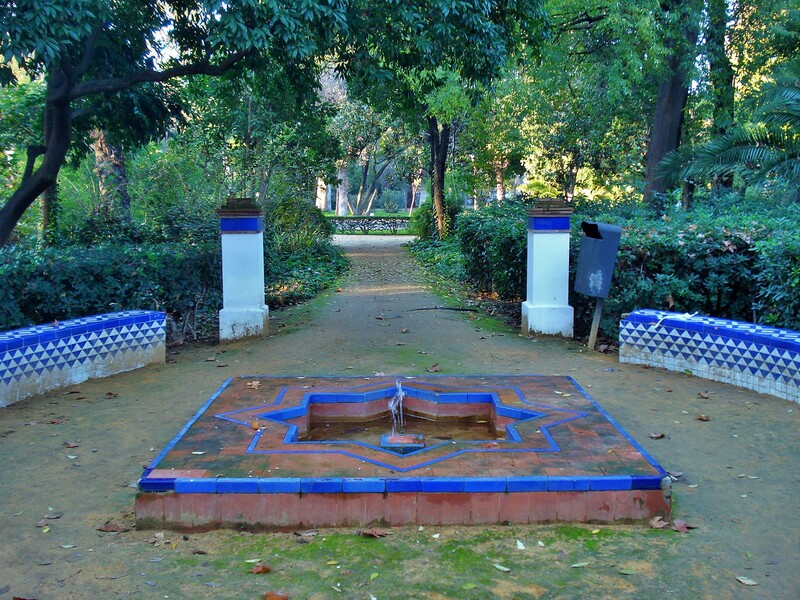 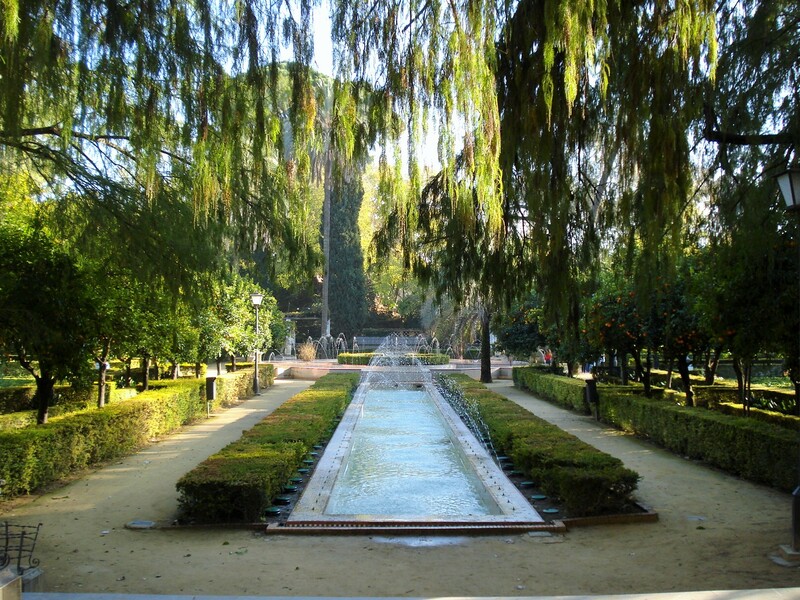 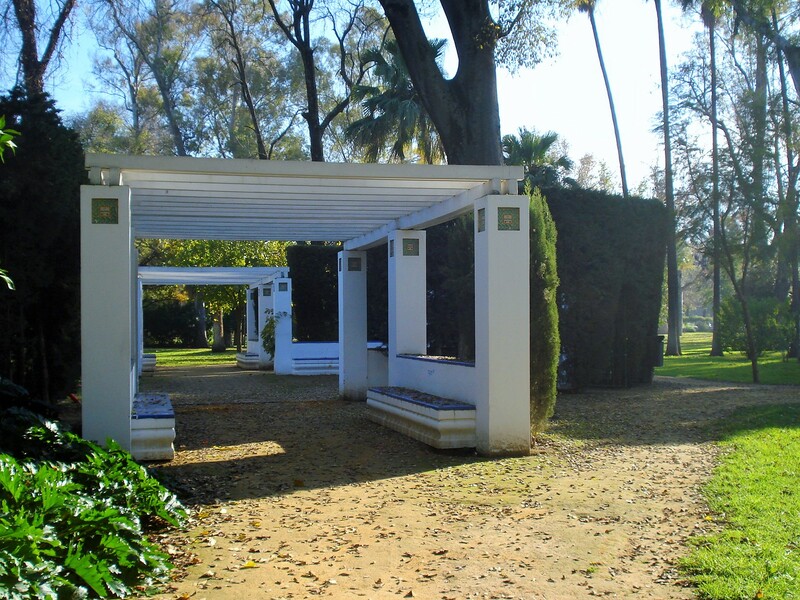 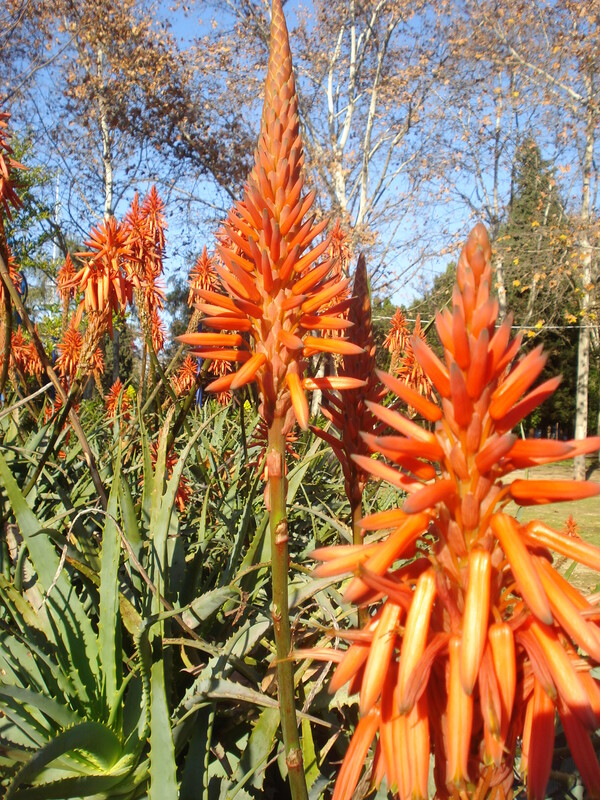 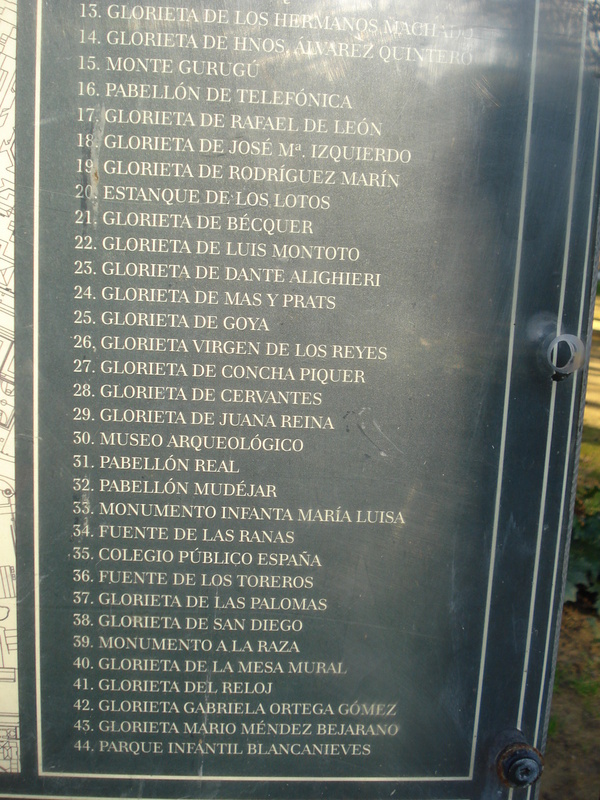 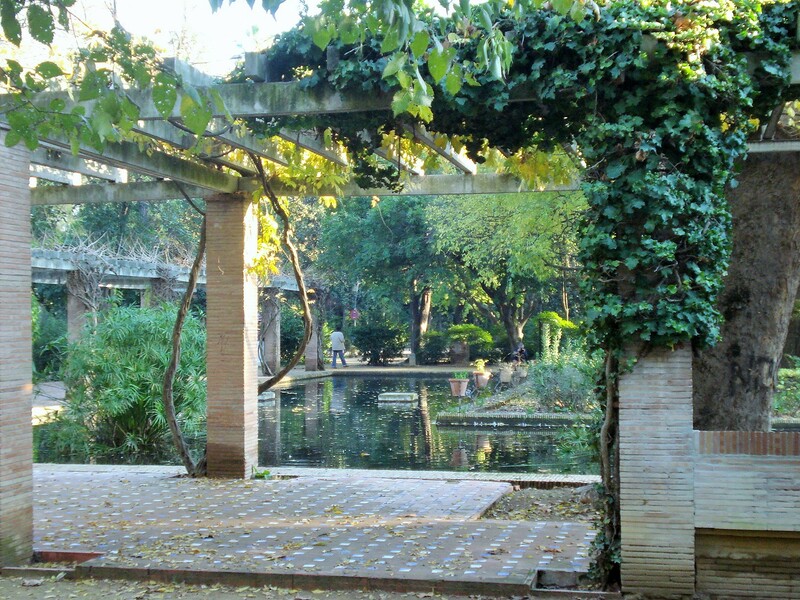 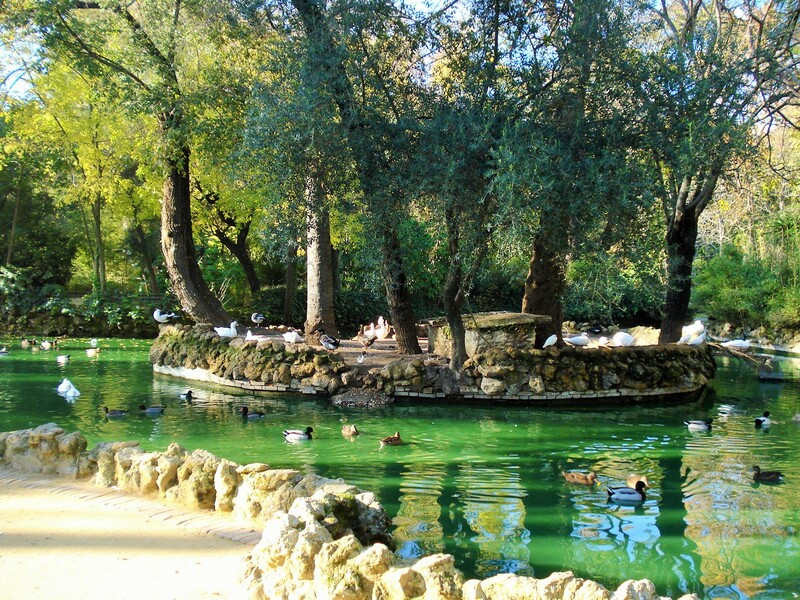 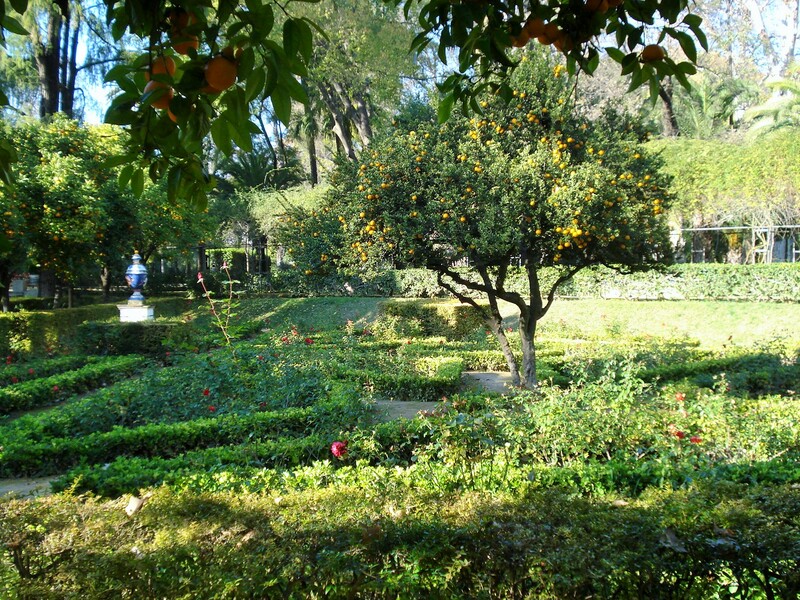 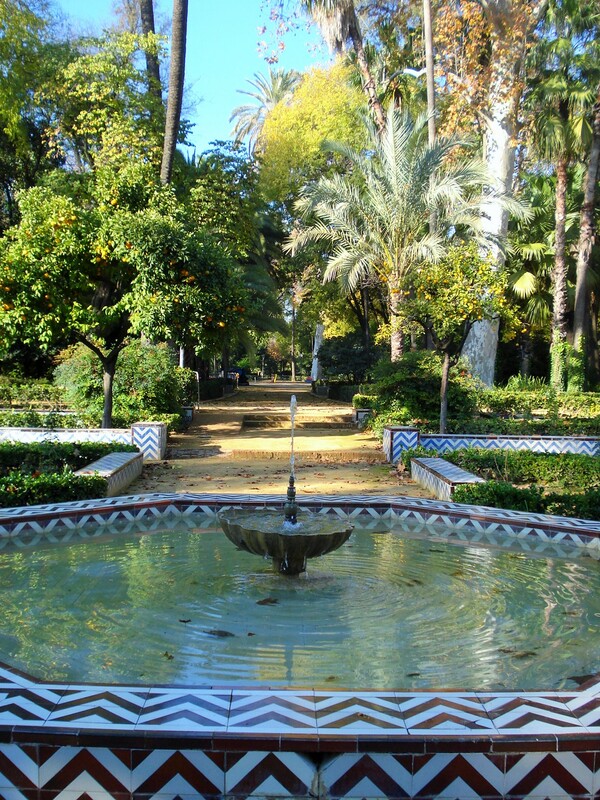 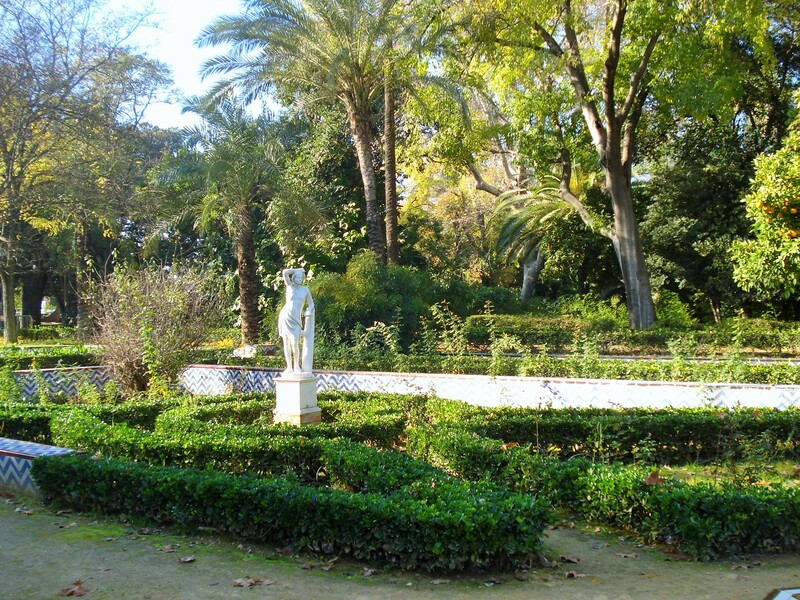 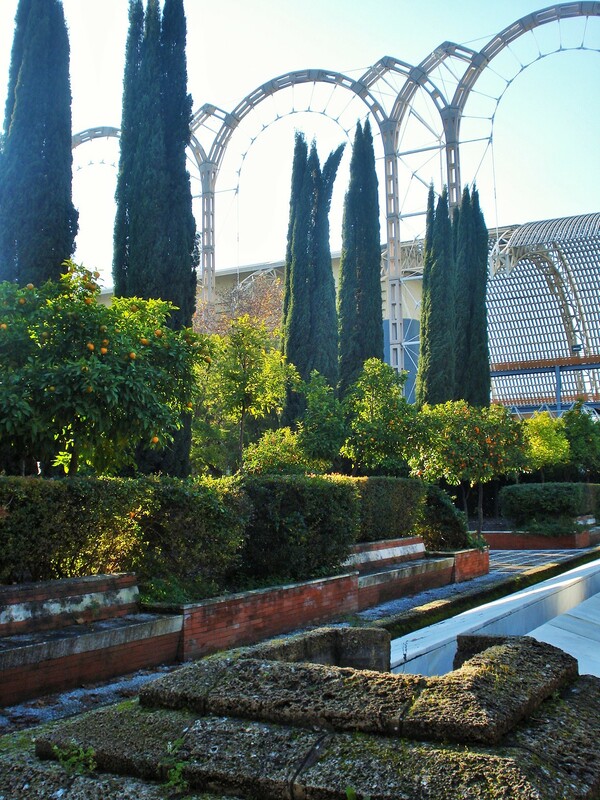 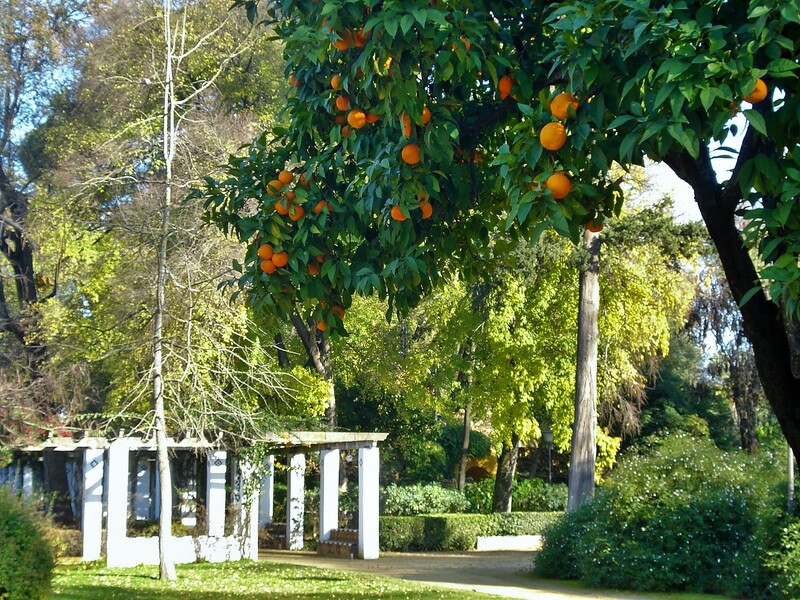 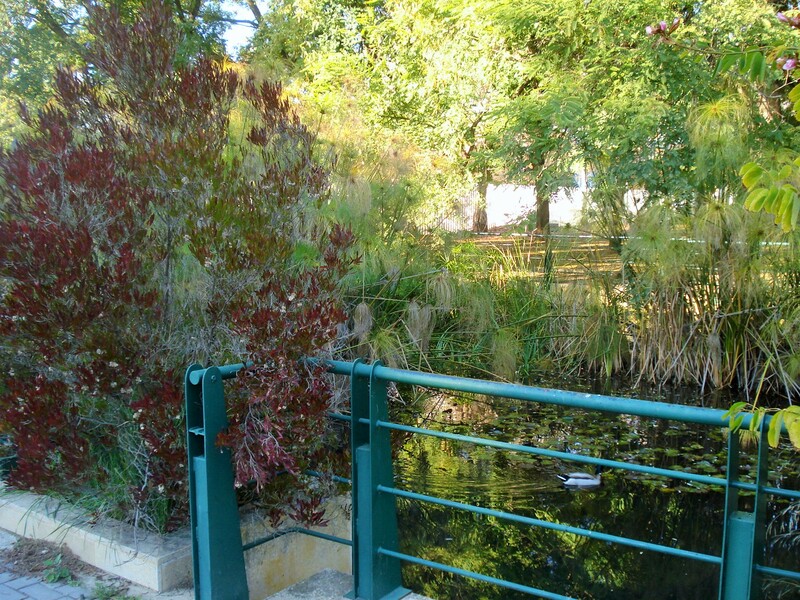 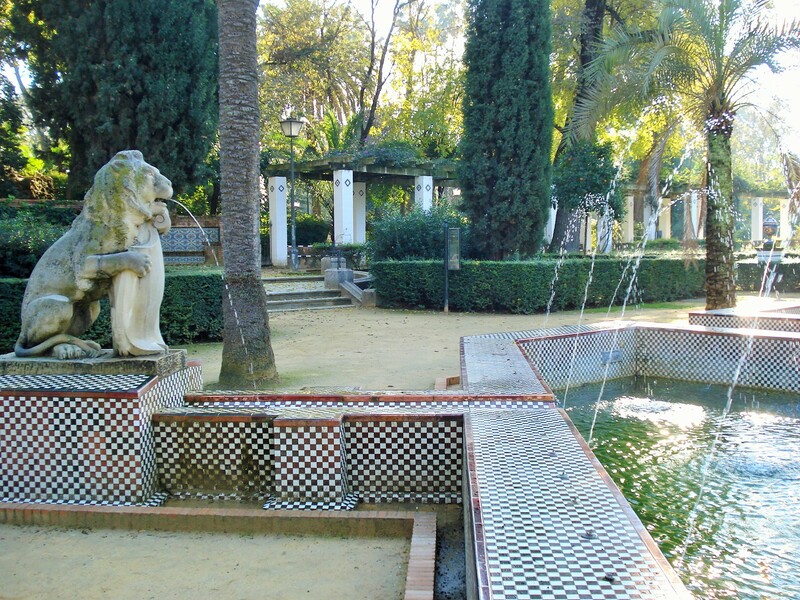 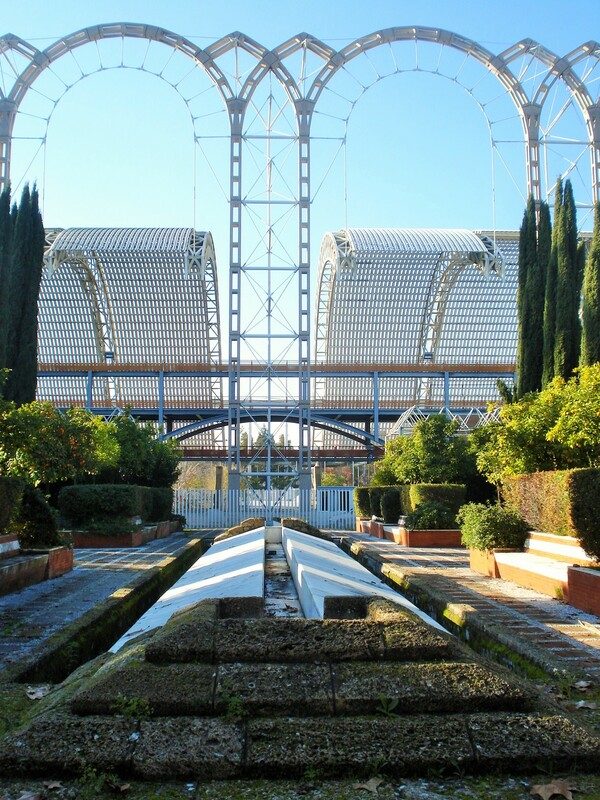 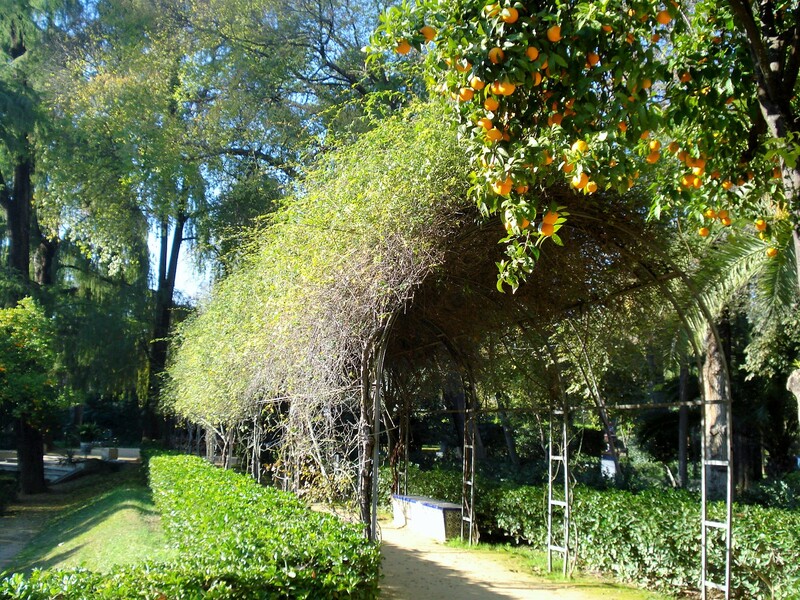 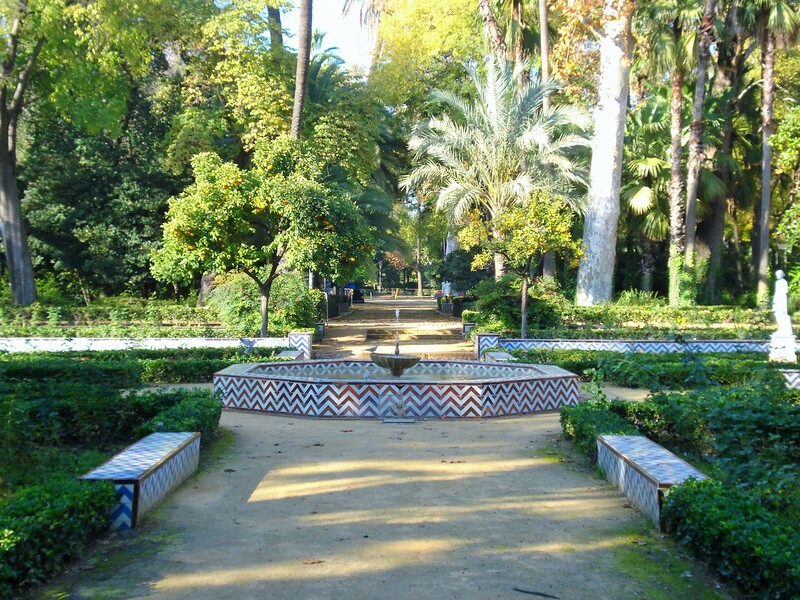 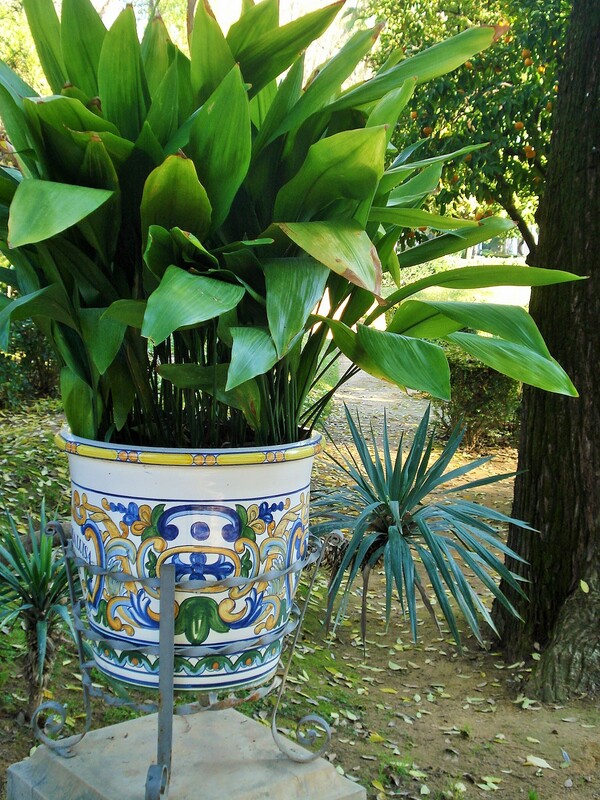 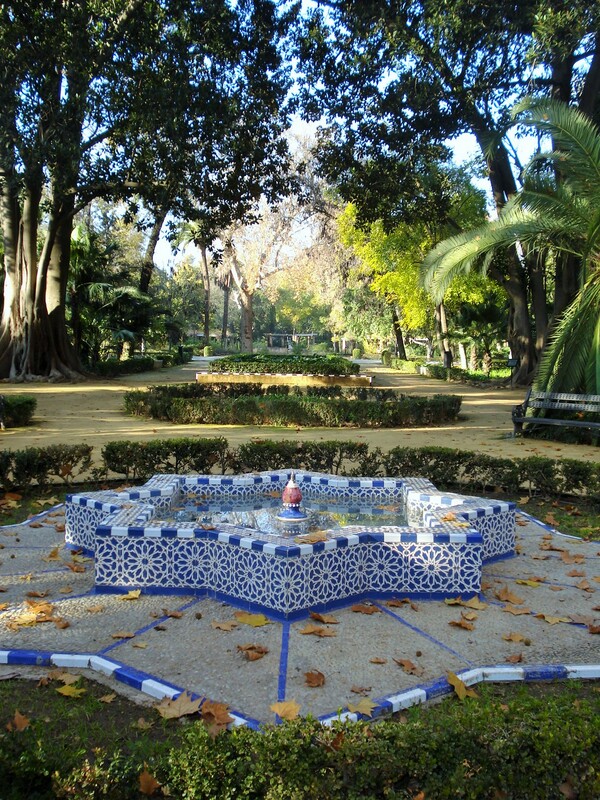 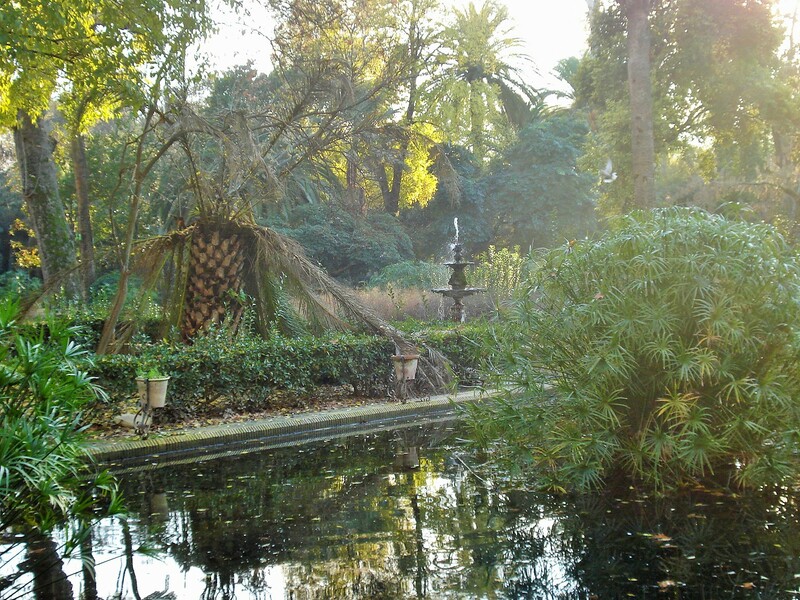 Maybe I should have visited the Jardines de Guadalquivir and the Jardin Americano (the Botanical Garden next to it) first, because I must say they were a huge let down after seeing such world class gardens. 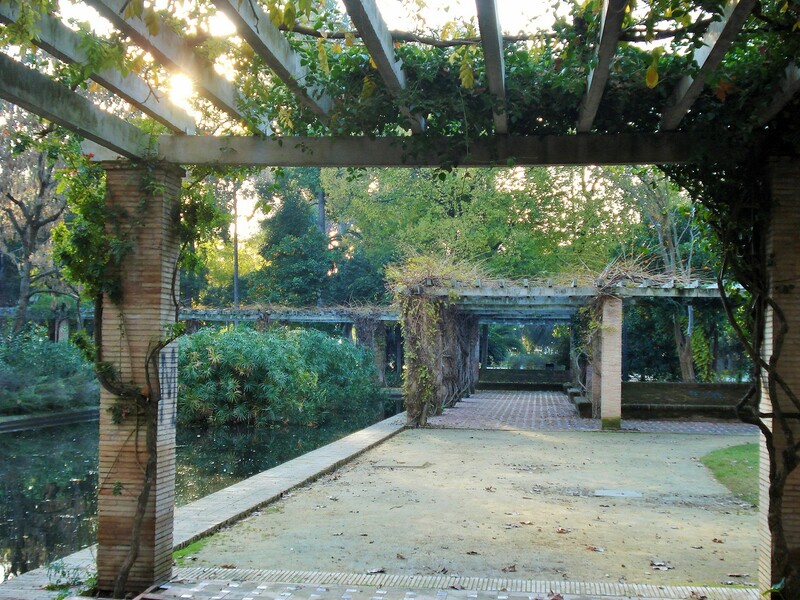 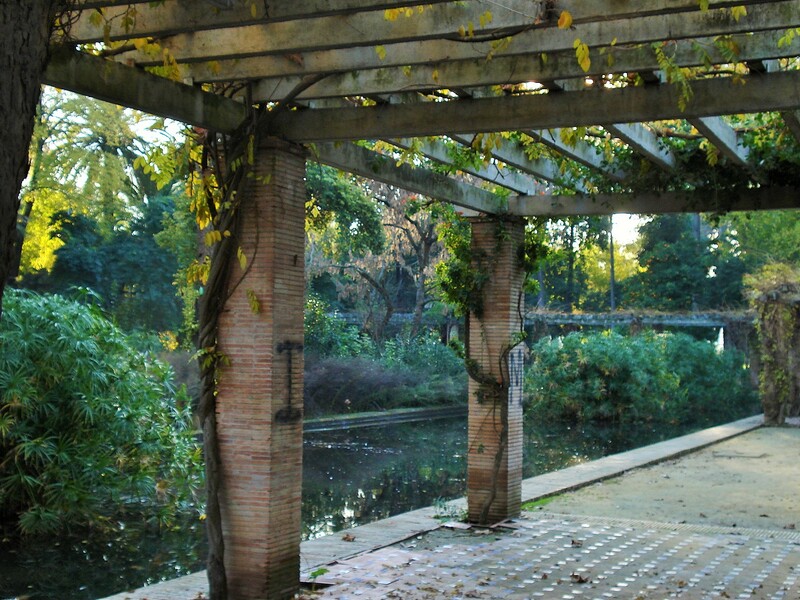 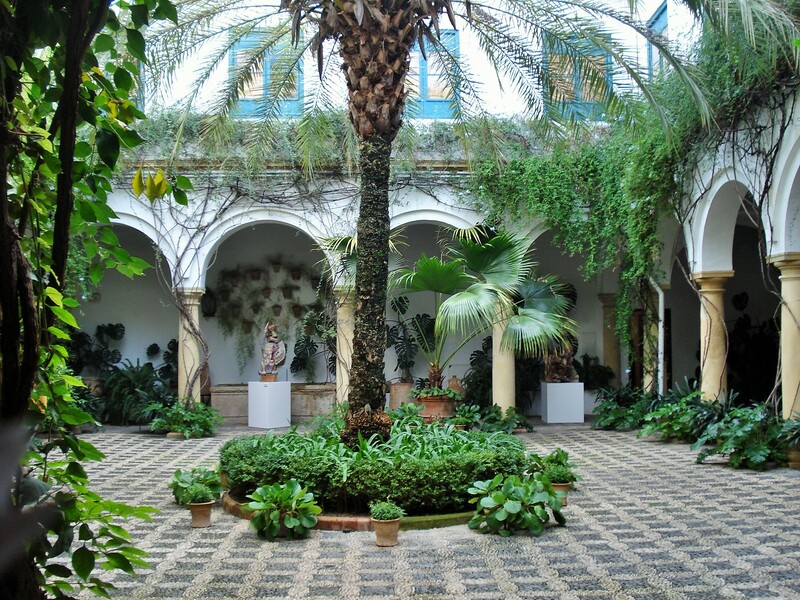 On the river that goes through Sevilla is an island, named Isla de La Catuja after the cloistered monastery (Cartuja) that is now the Contemporary Arts Center. 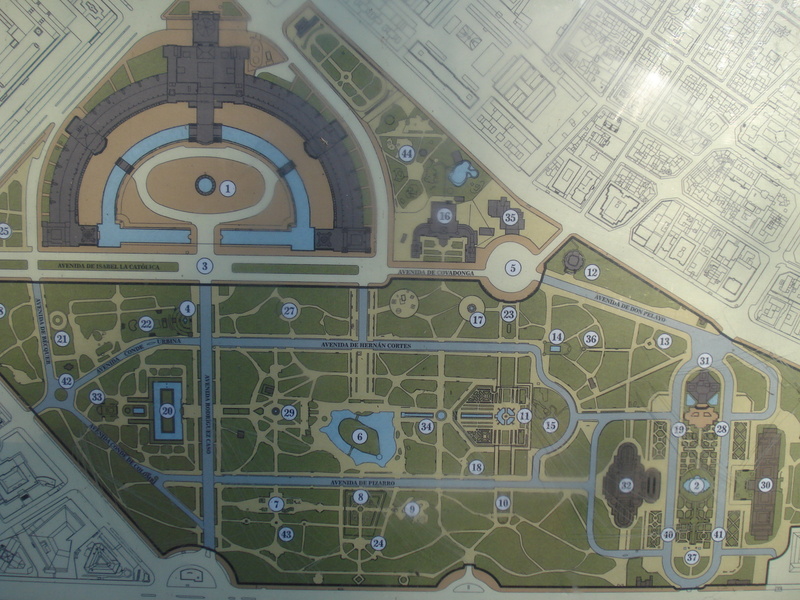 The island was isolated and undeveloped until the 1992 World Expo, at which time the monastwery was converted, bridges were added, A huge research and development complex was built, as well as university schools, a stadium, an auditorium, an amusement park, theaters and concert venues, and of course, the gardens. 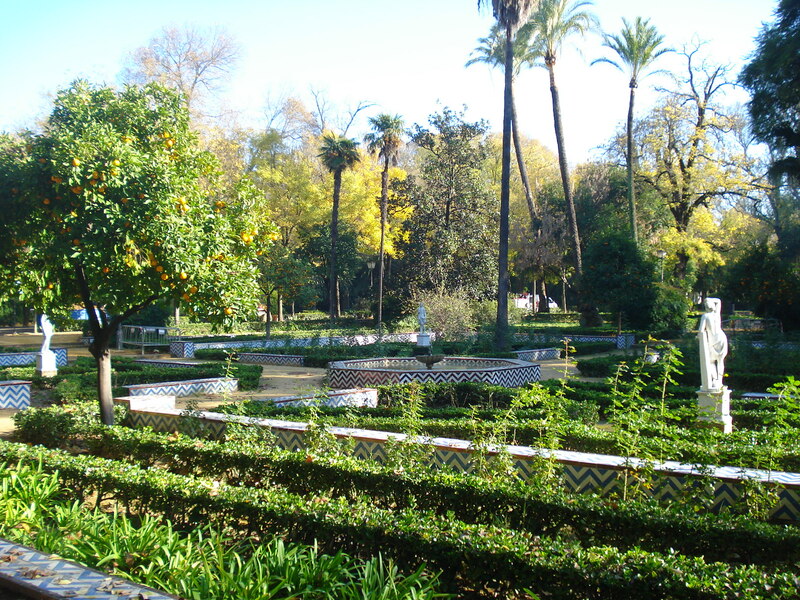 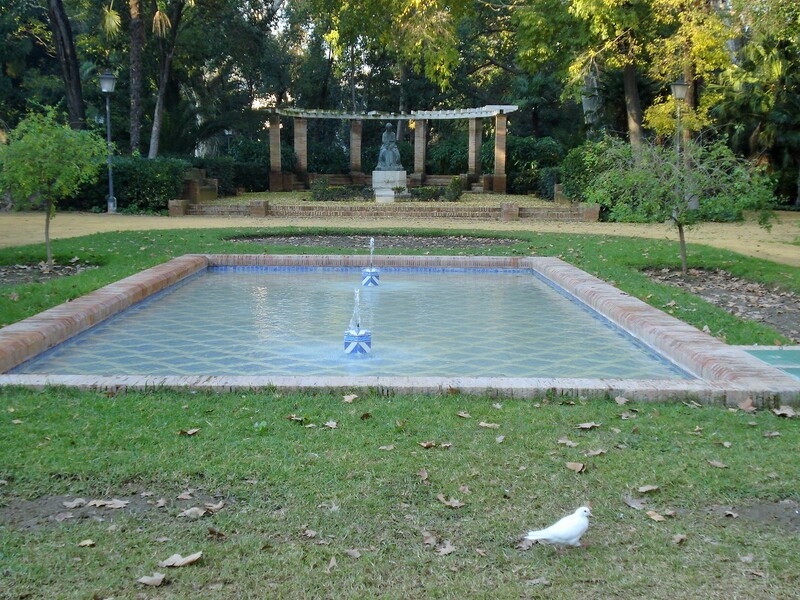 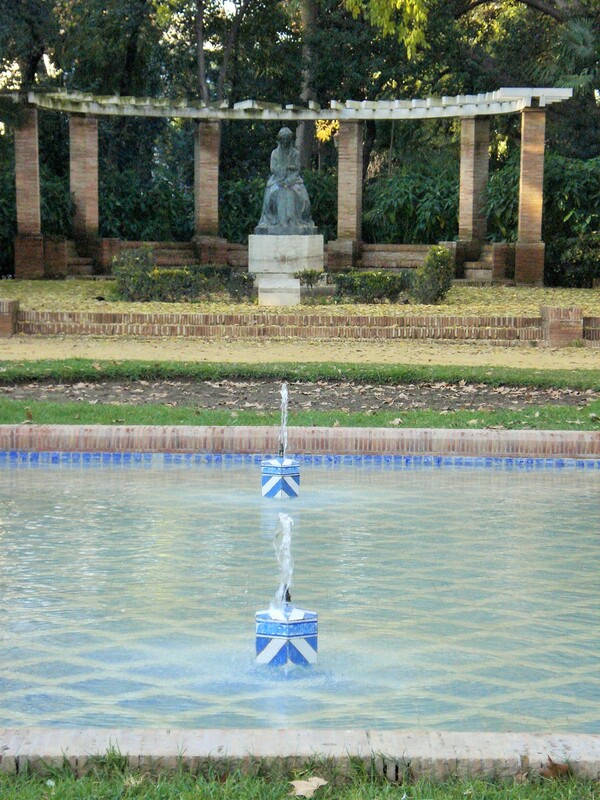 Jardines de Guadalquivir seemed disappointing at first also because they seemed poorly maintained and most water features weren’t running. 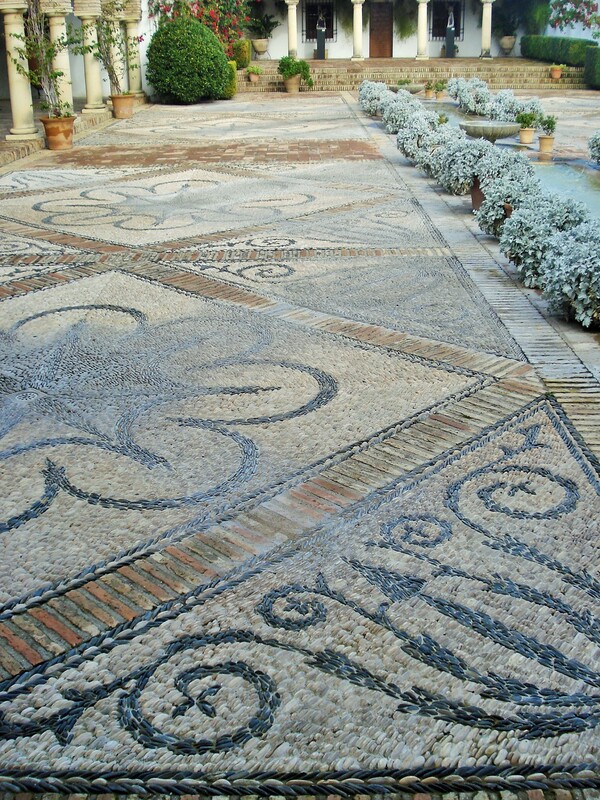 In all fairness, it was almost winter, and while the city maintains extremely well its most visited sights, this out of the way garden must be a prime candidate for budget cuts. 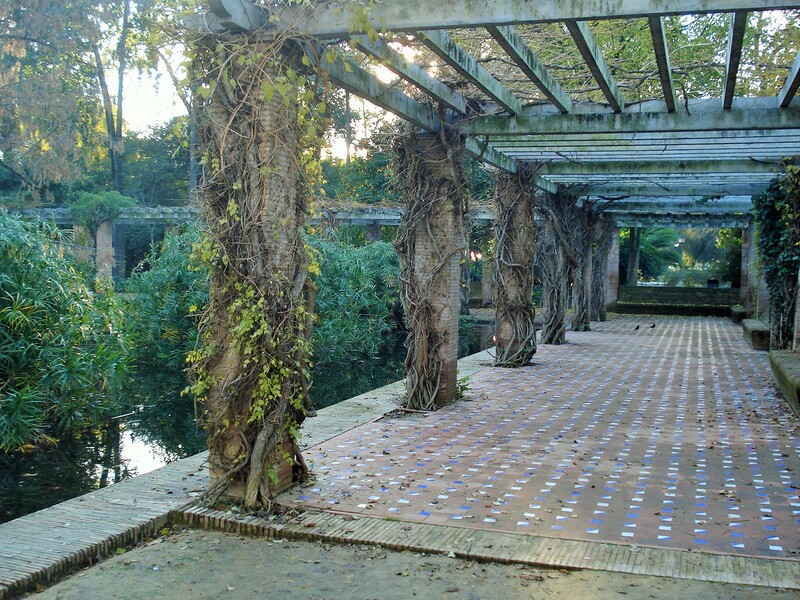 It may get a big spring cleaning and look lovely in the summer, but felt completely abandoned when I was there. 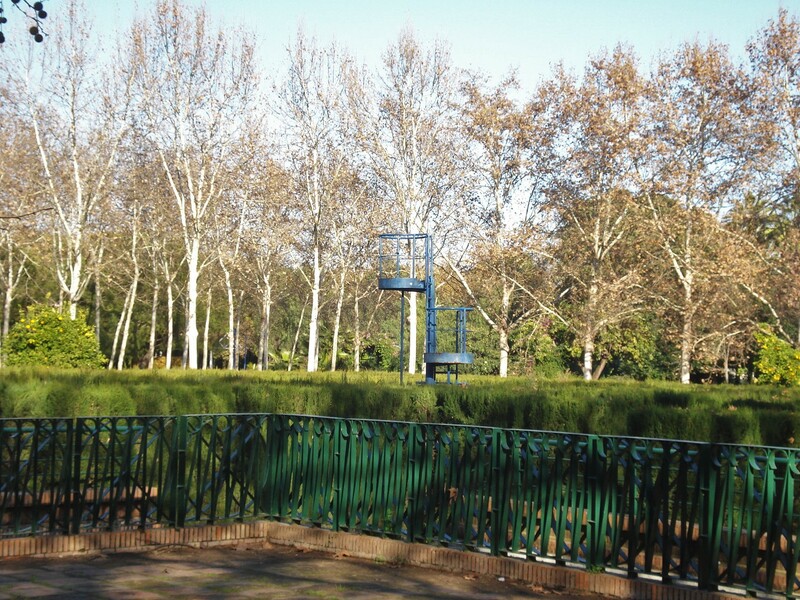 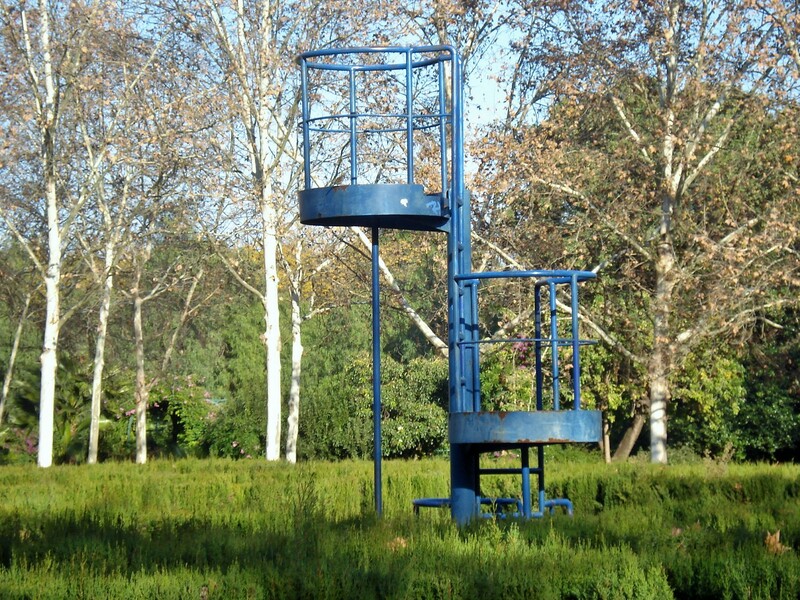 It was almost eerie actually visiting this garden full of the forgotten monuments of the big Expo (towers and stages are still there). 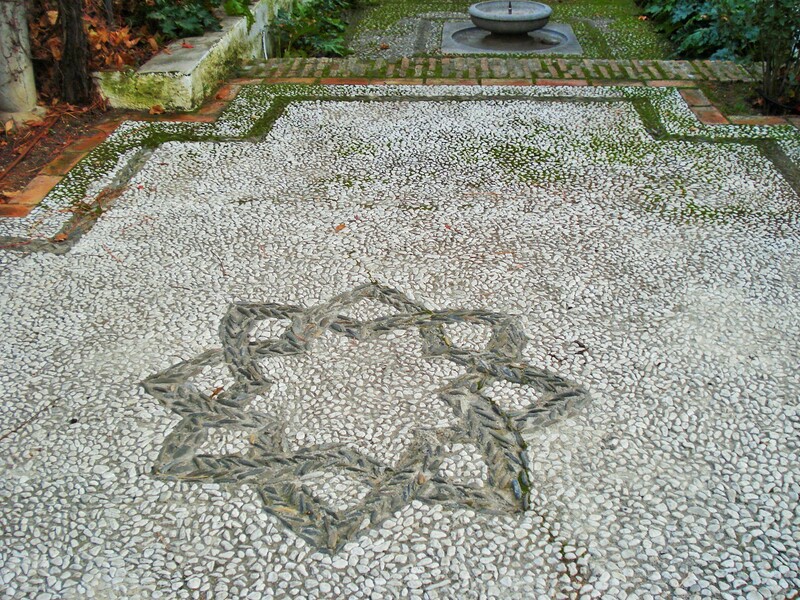 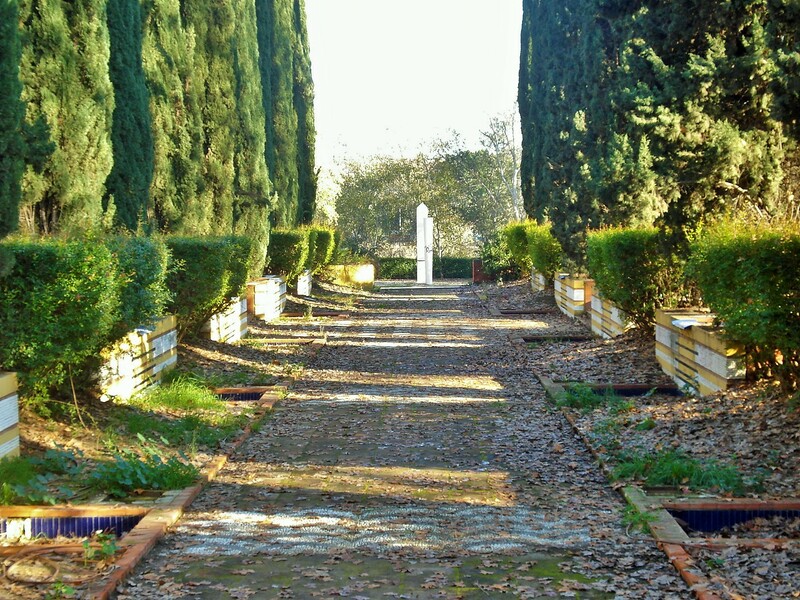 Yet, after walking around the park for a bit (and I had it just about to myself as I saw two other people the entire time), I must say I don’t regret going to see it as it must have been quite beautiful in its hay day, and you can still see the “bones” of this garden. 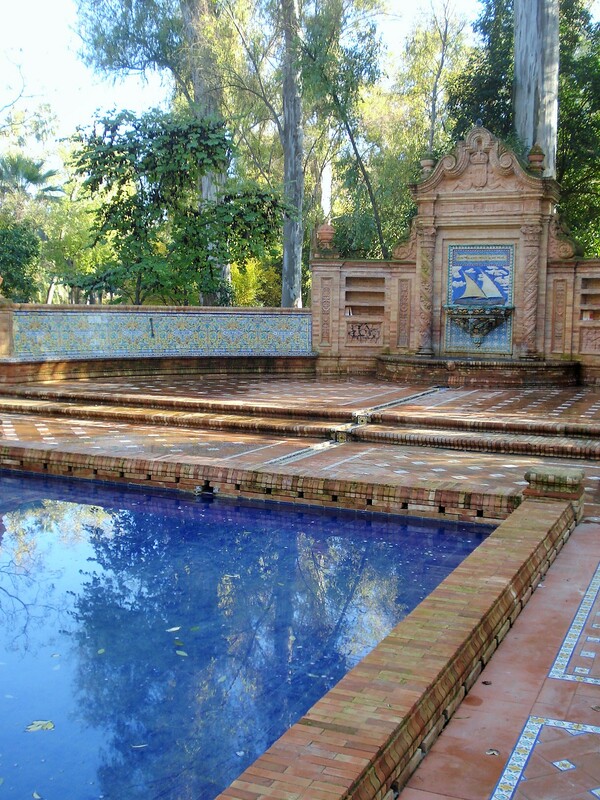 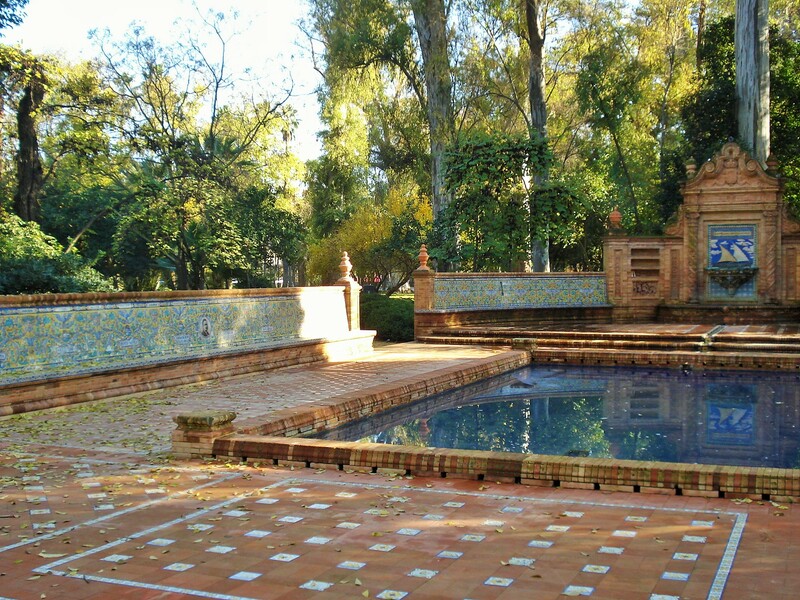 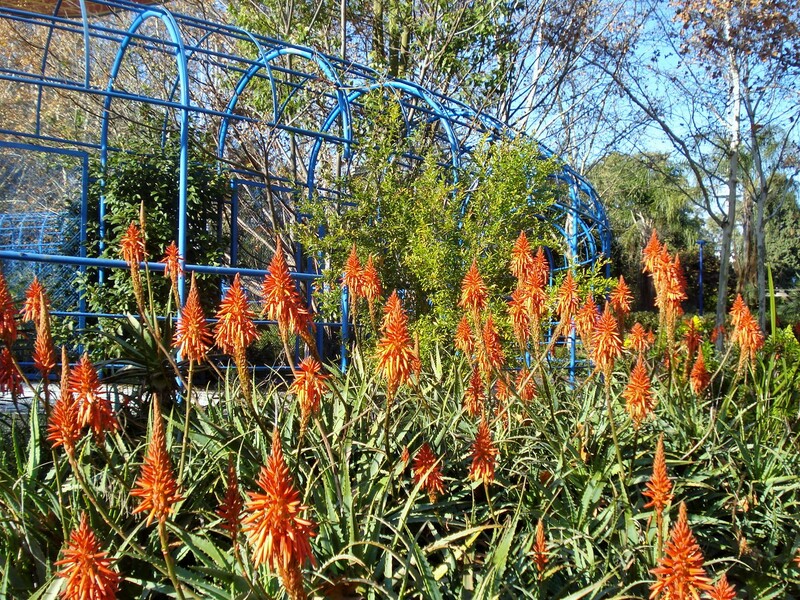 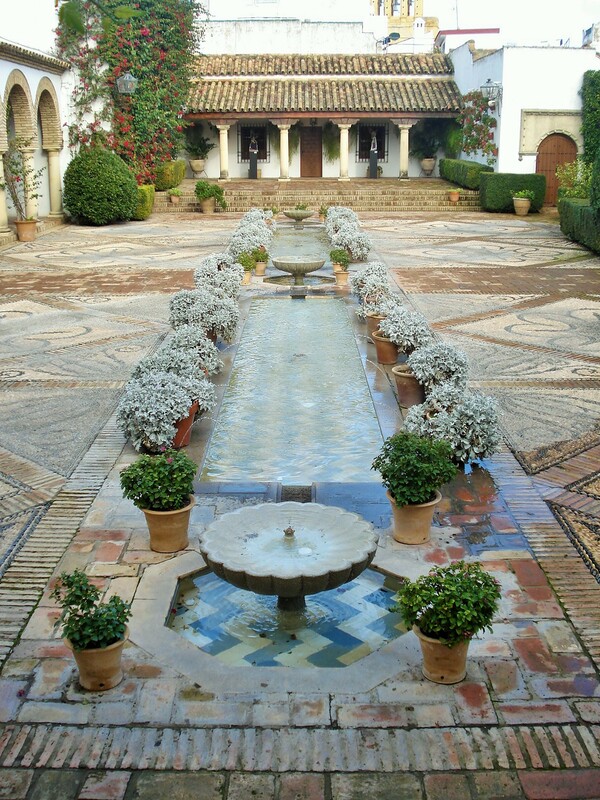 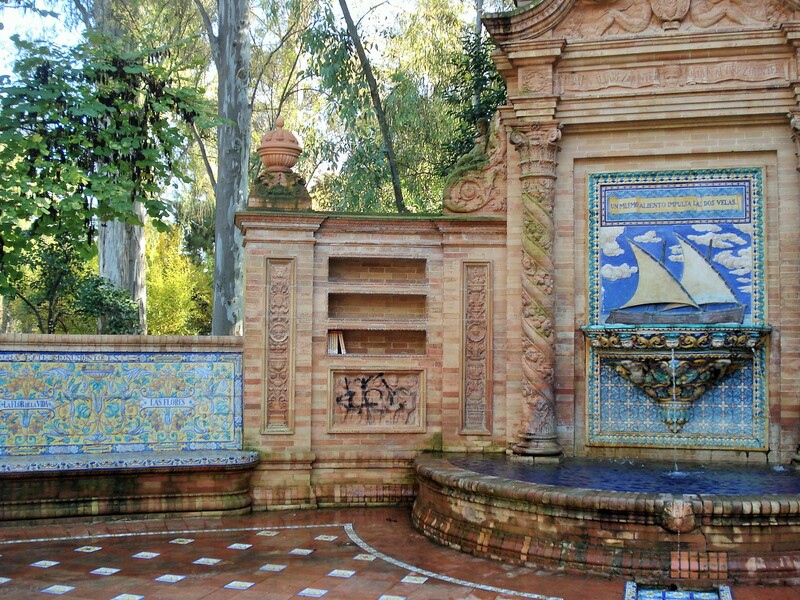 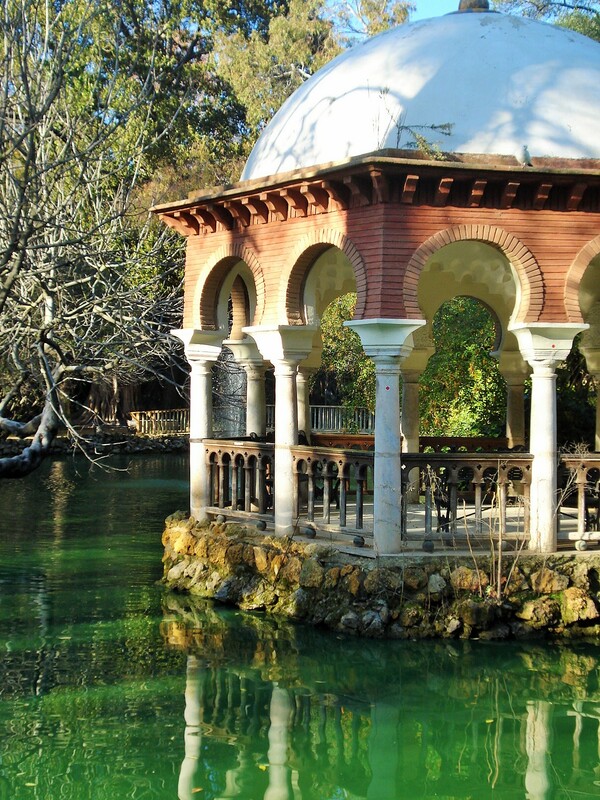 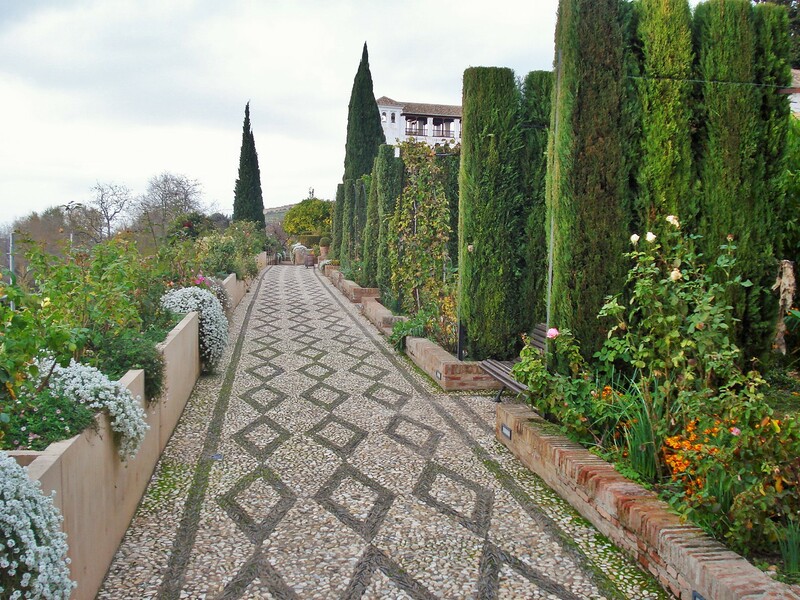 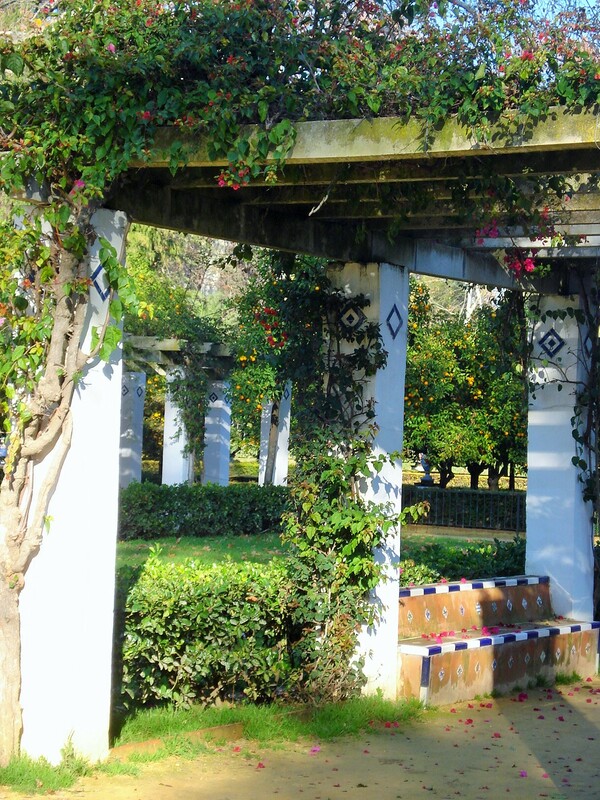 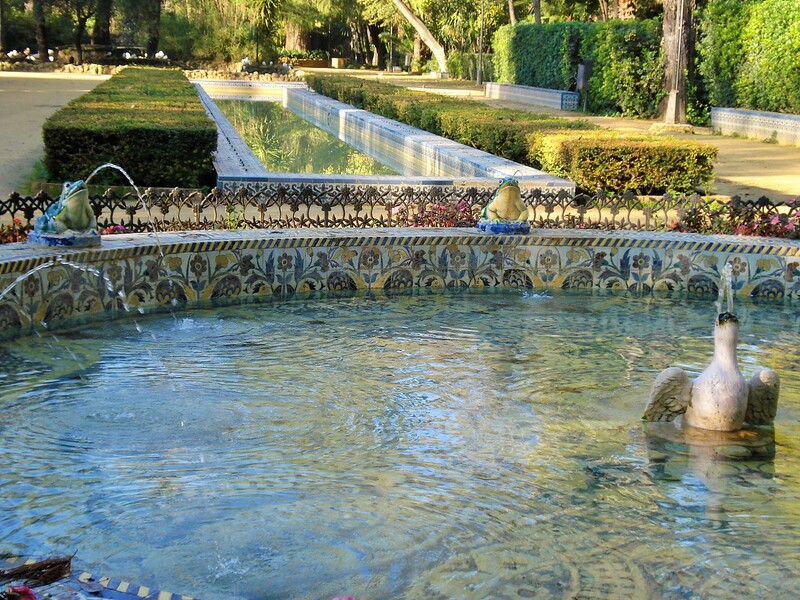 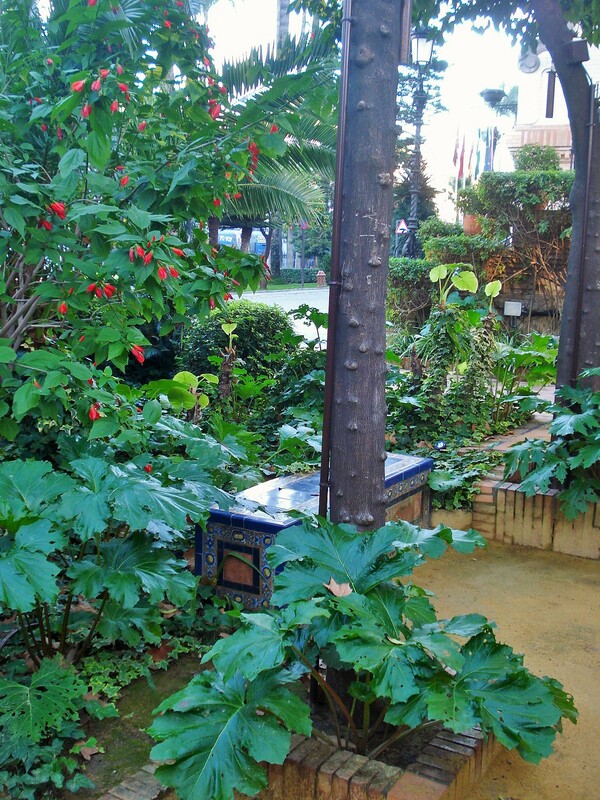 It is actually quite an interesting design in that it takes all the traditional features of the moorish influenced gardens of Andalusia, to create a very modern and updated version of it. 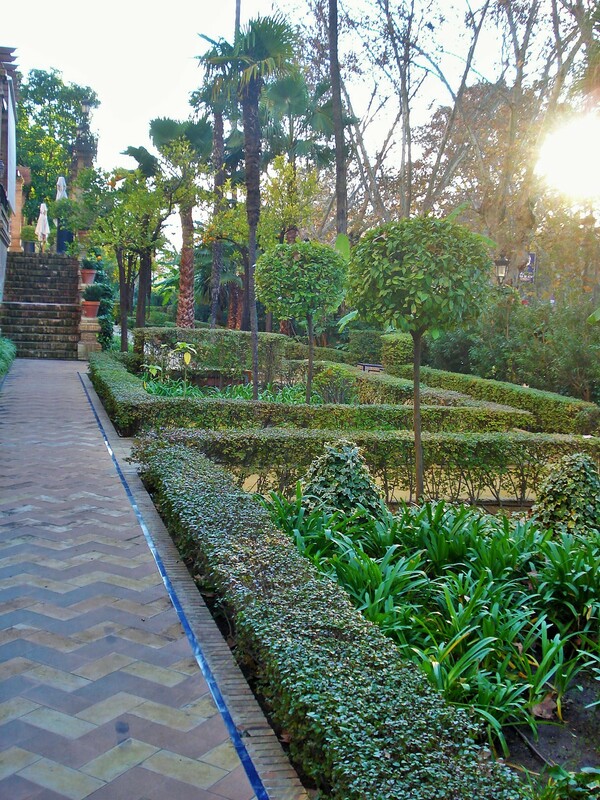 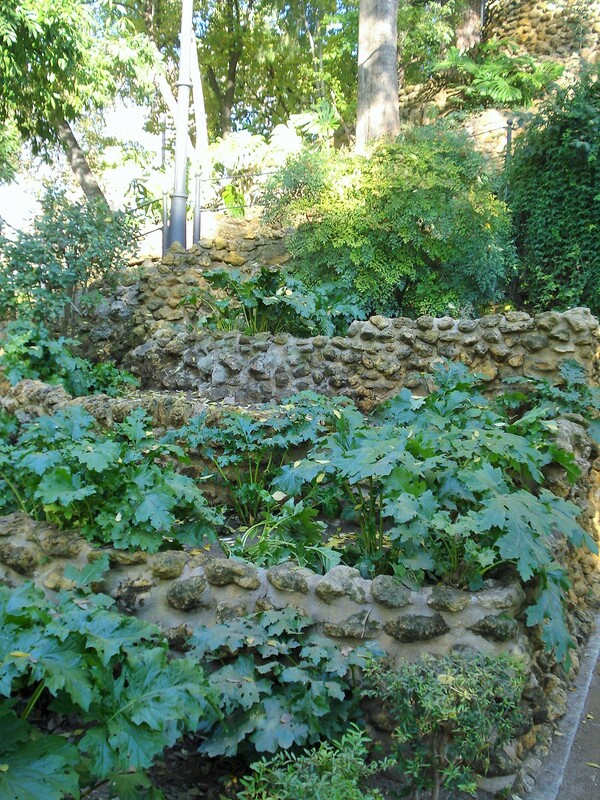 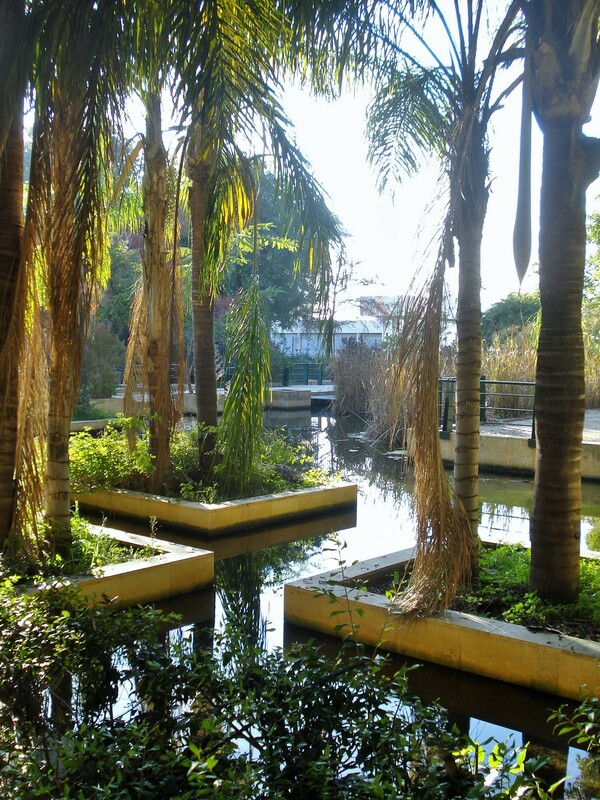 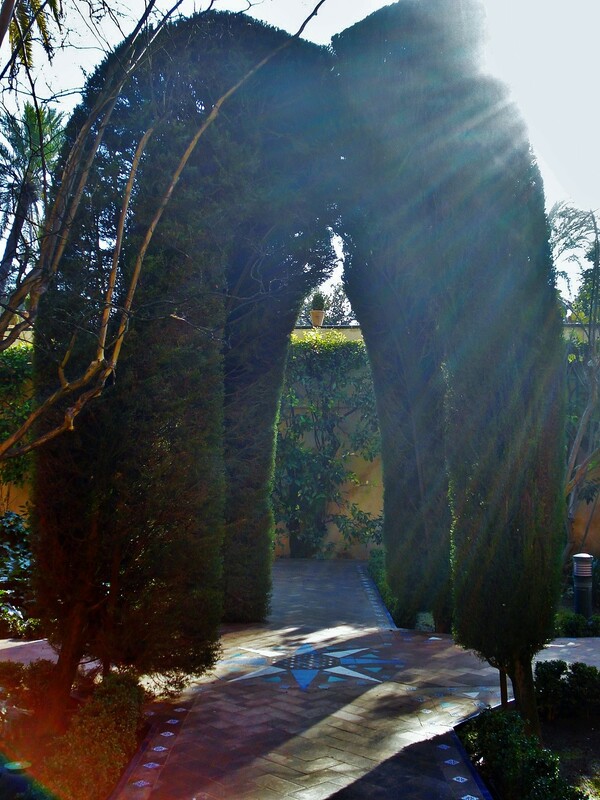 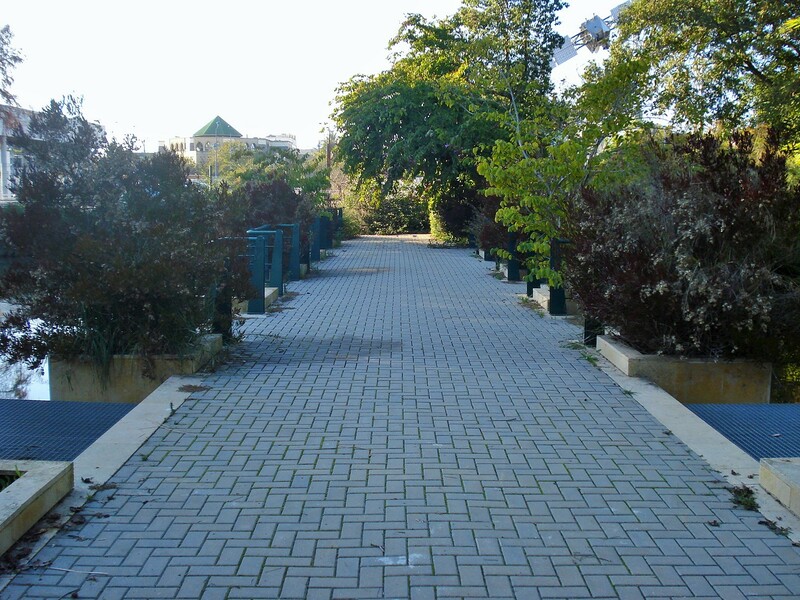 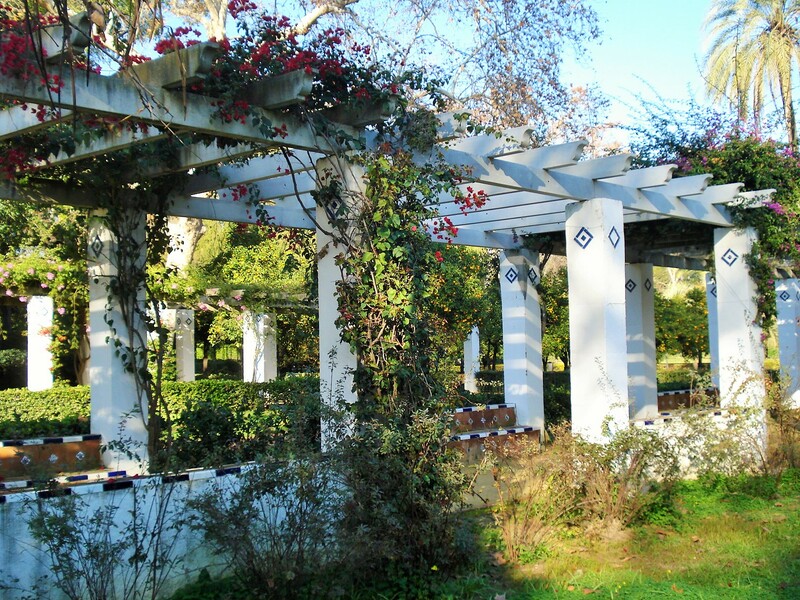 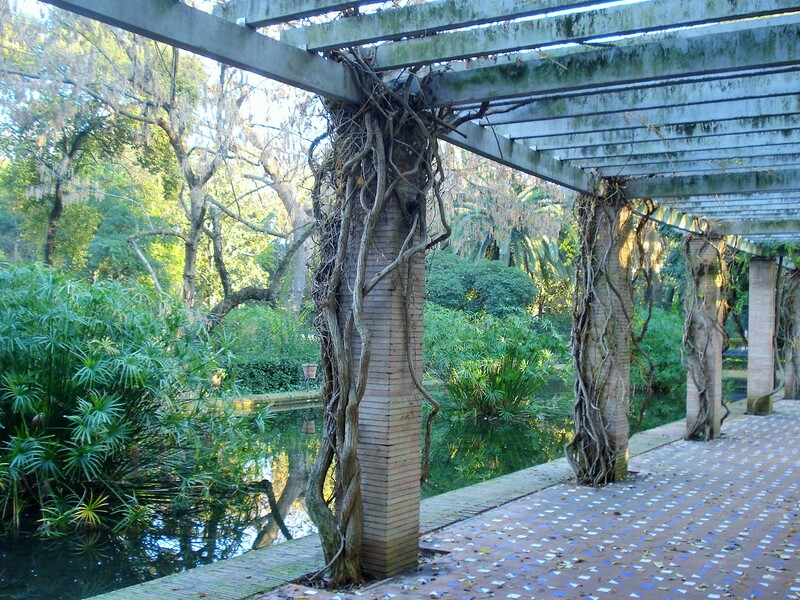 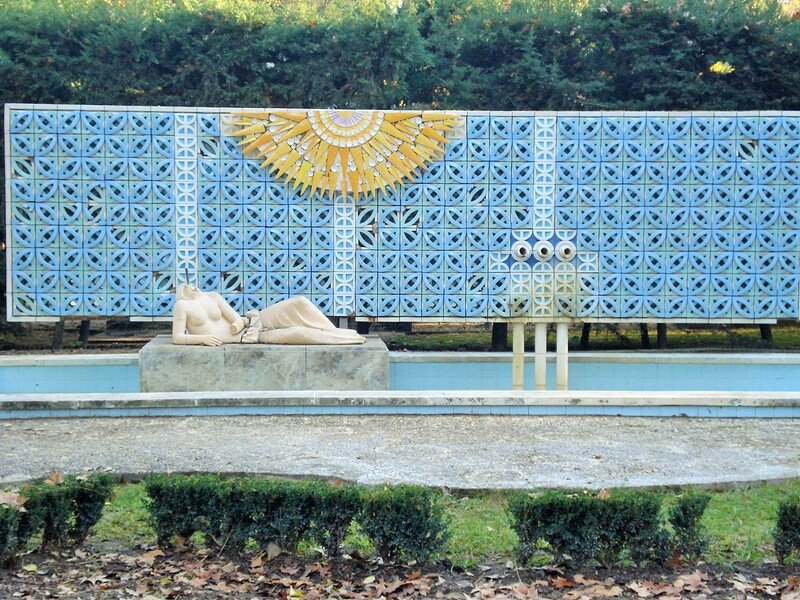 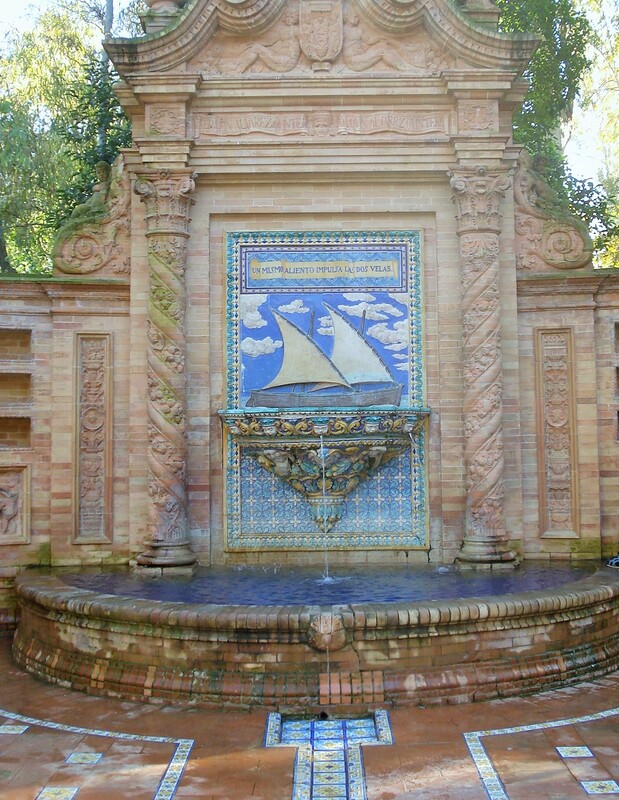 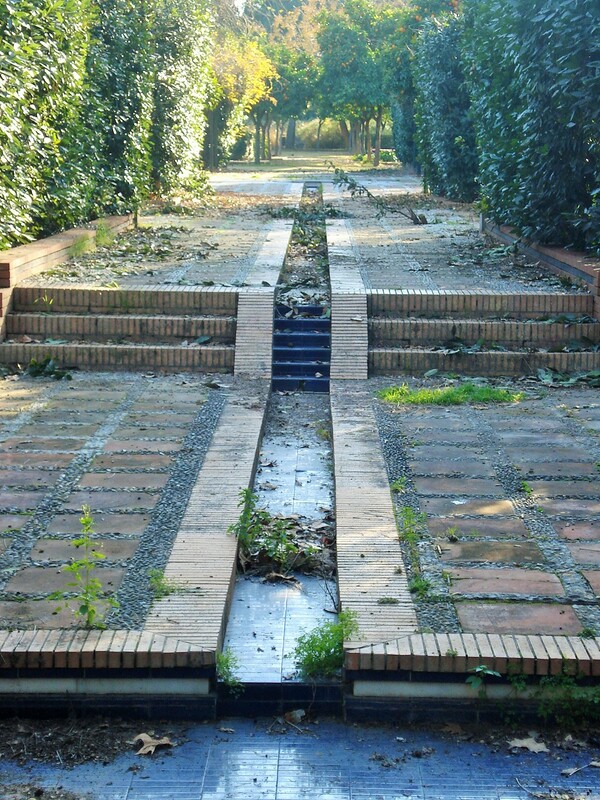 As I walked through, I noticed the alleys dotted with fountains, the terraced canals, the maze, the sunken garden structures, but built using definitely modern materials and lines. 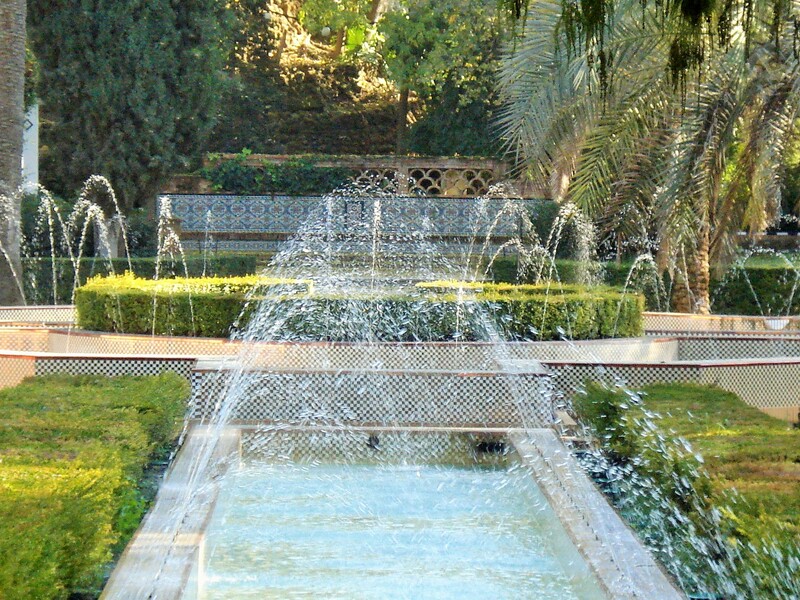 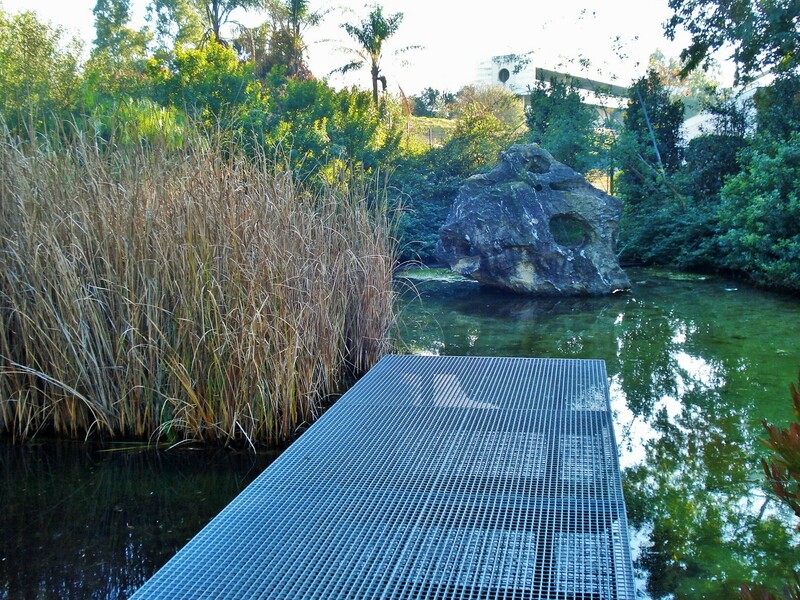 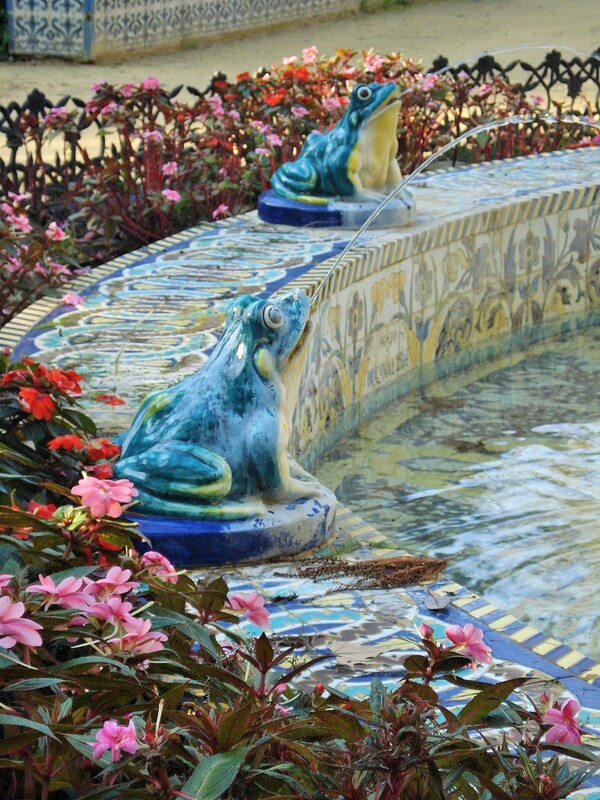 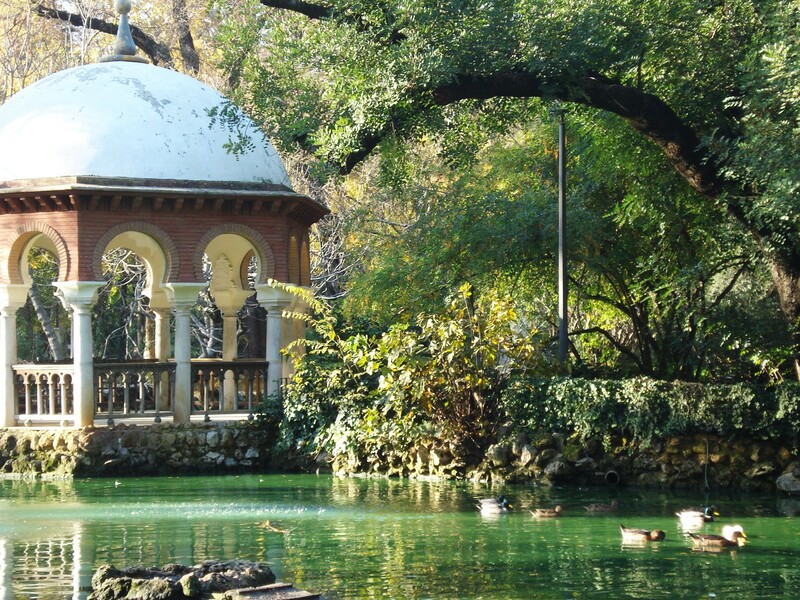 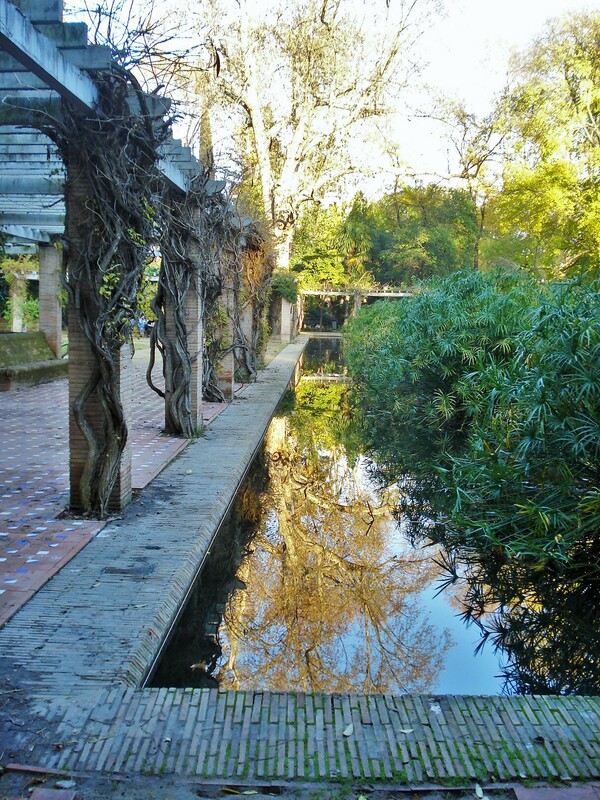 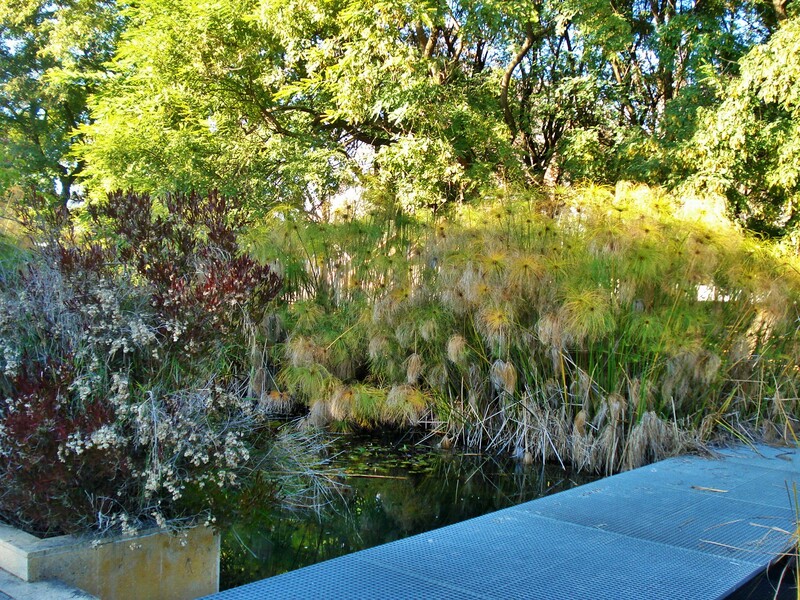 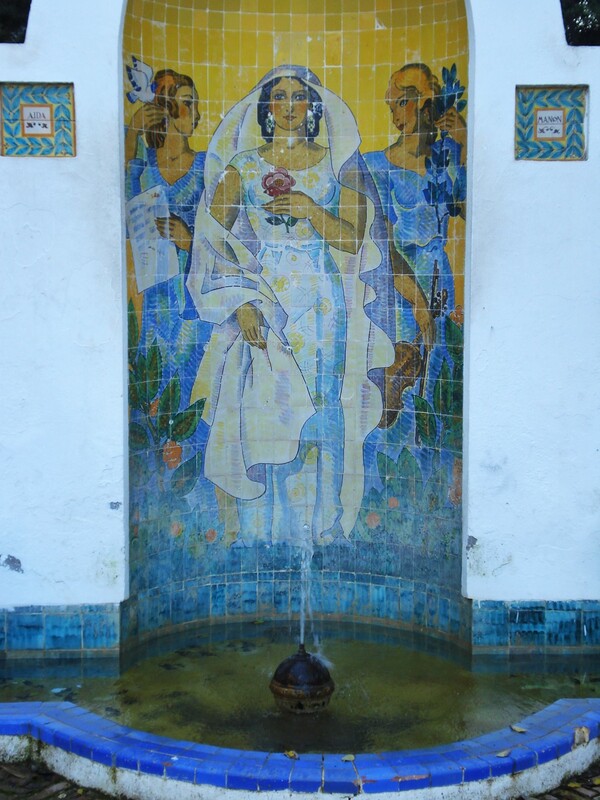 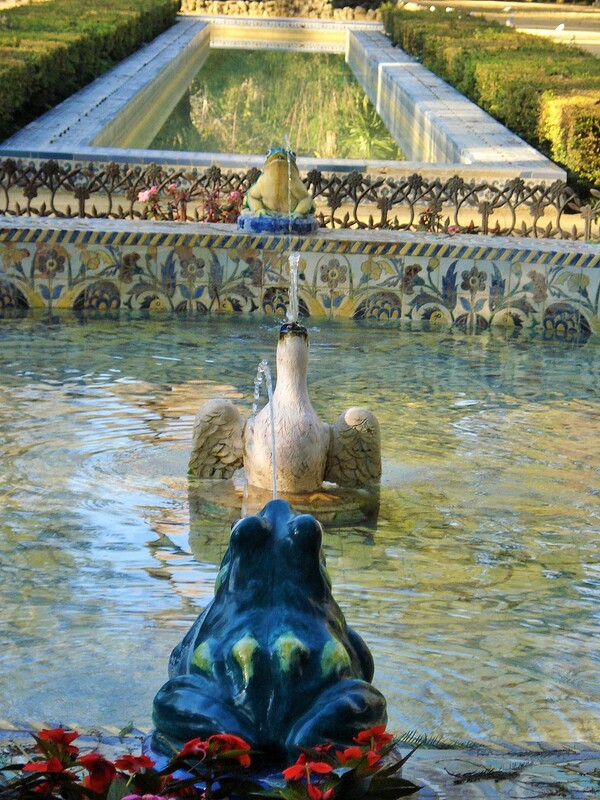 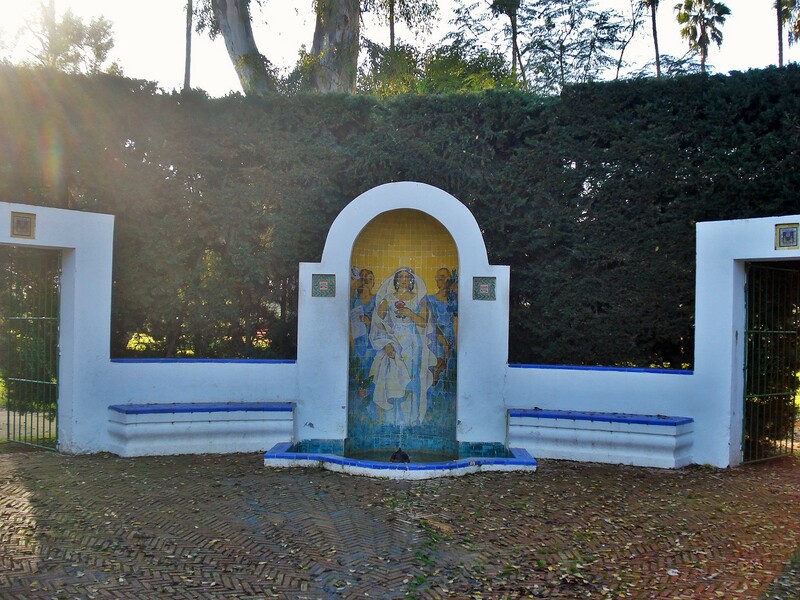 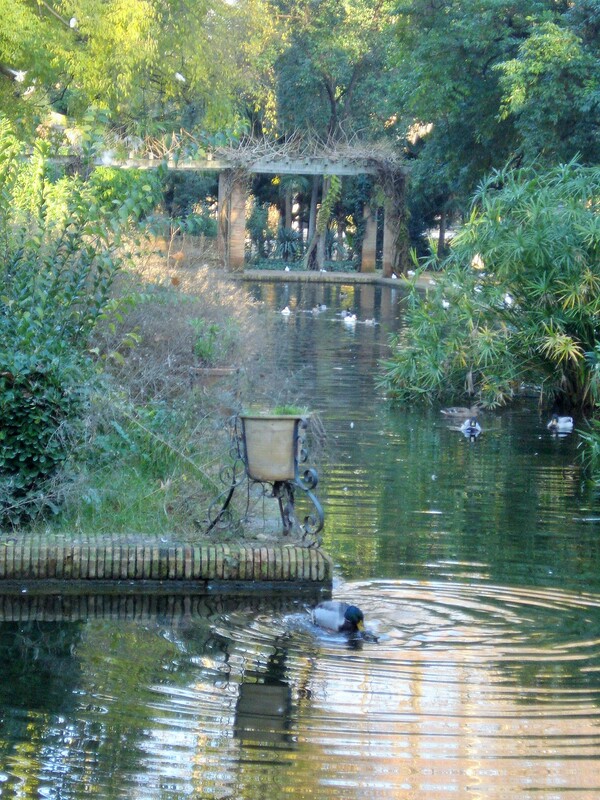 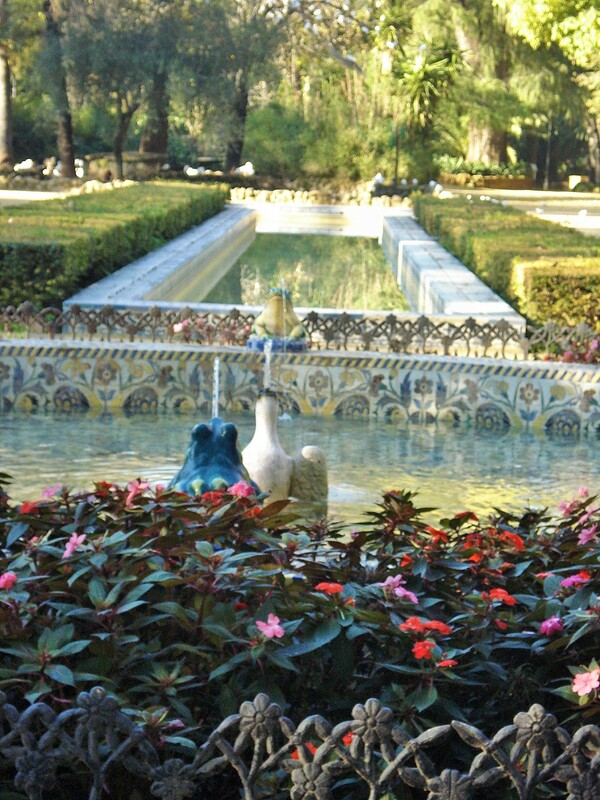 If you ever visit his garden, don’t miss the lovely water garden near one of the gates.